As designers we usually turn to different sources of inspiration, and, well, sometimes the best inspiration lies right in front of us. 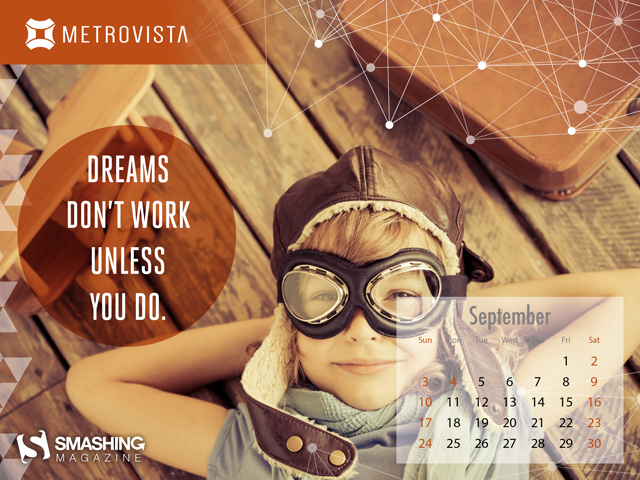 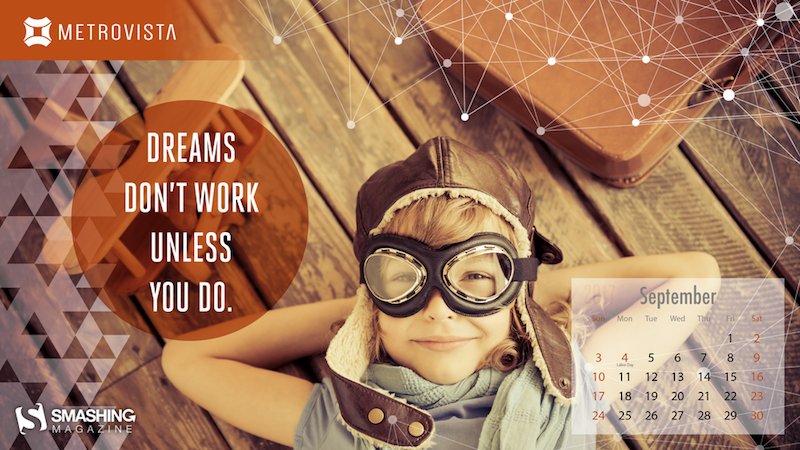 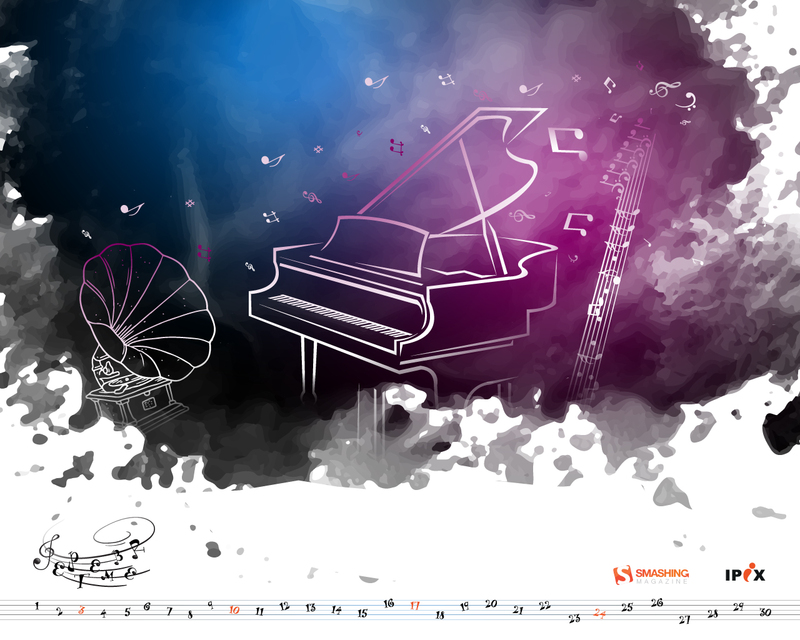 With that in mind, we embarked on a special creativity mission nine years ago: to provide you with inspiring and unique desktop wallpapers every month. Wallpapers that are a bit more distinctive as the usual crowd and that are bound to fuel your ideas. 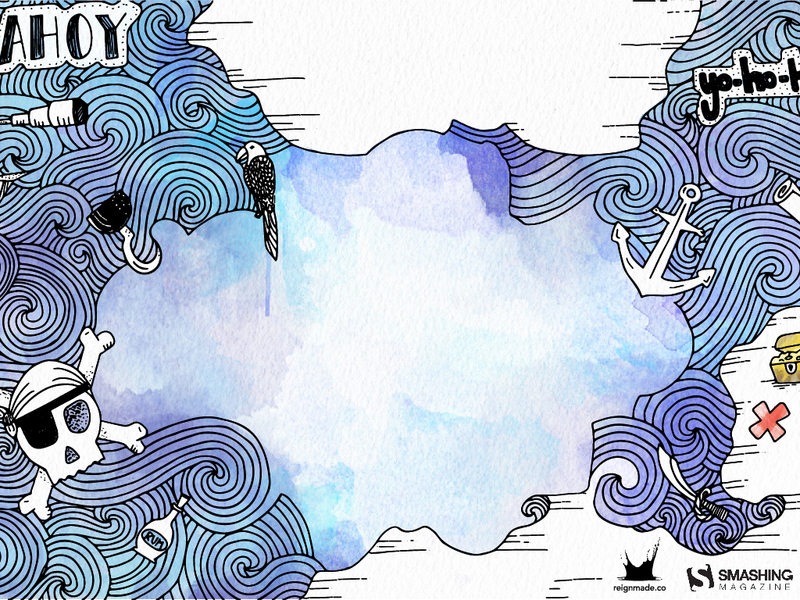 We are very thankful to all artists and designers who have contributed and are still diligently contributing to this mission, who challenge their artistic abilities each month anew to keep the steady stream of wallpapers flowing. 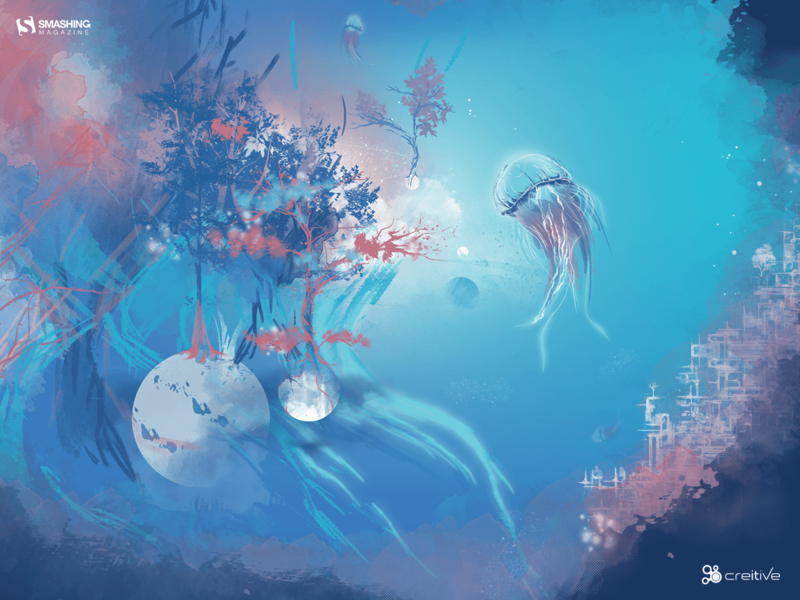 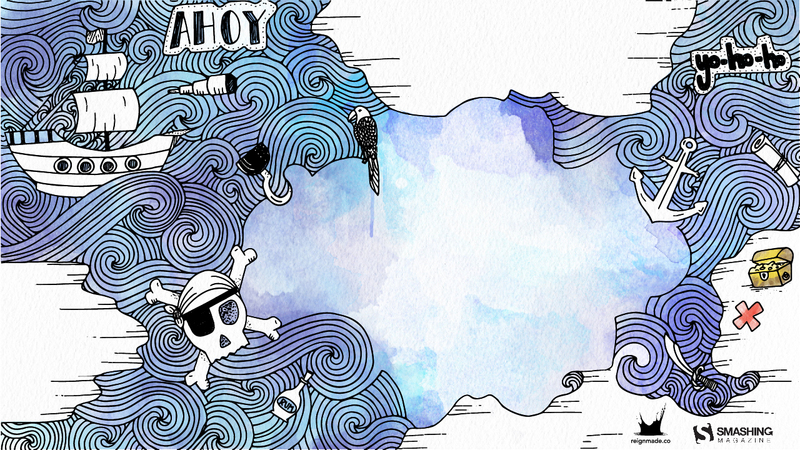 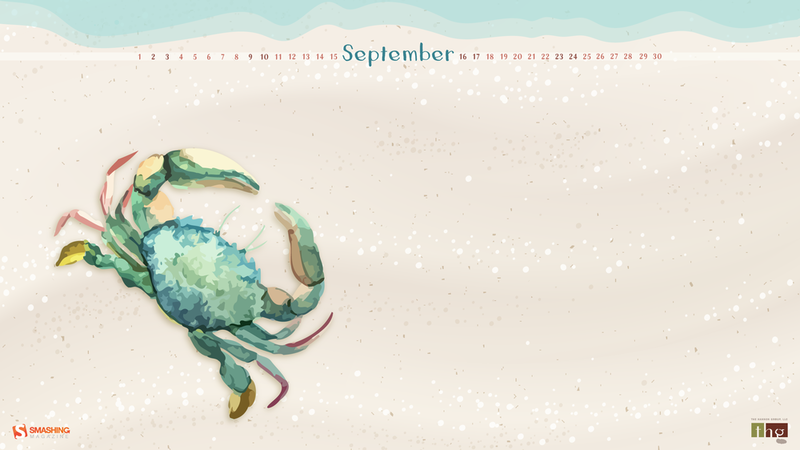 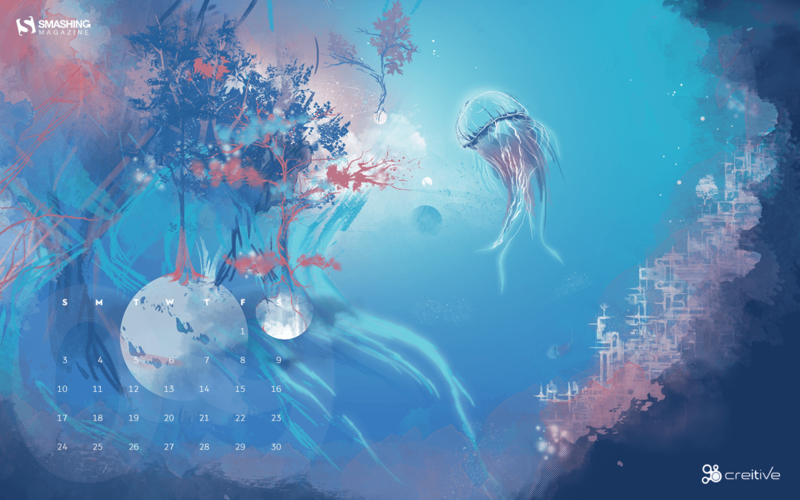 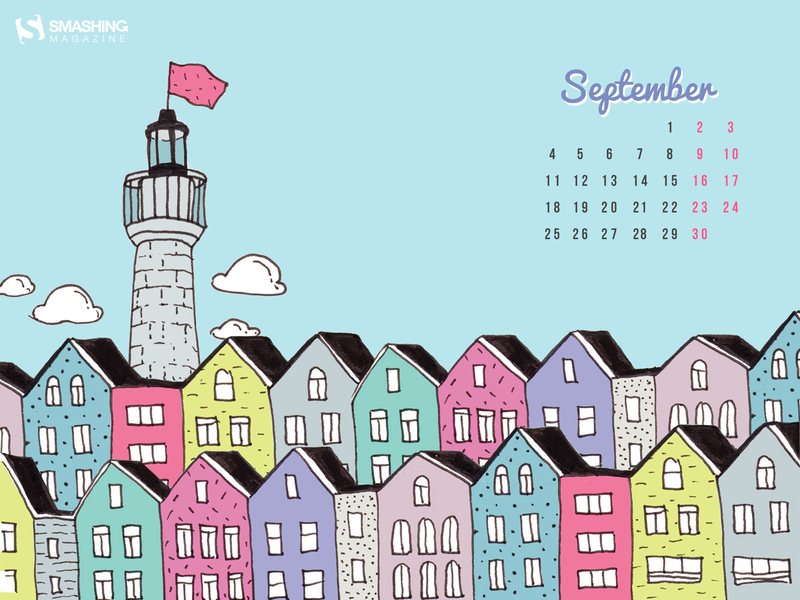 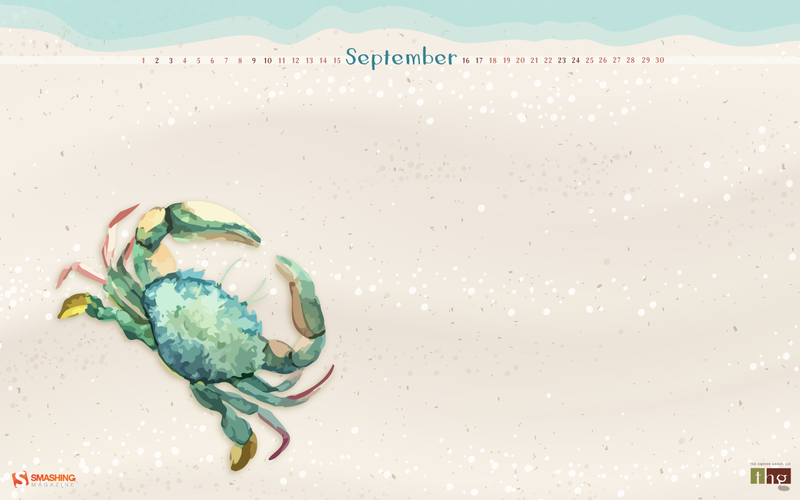 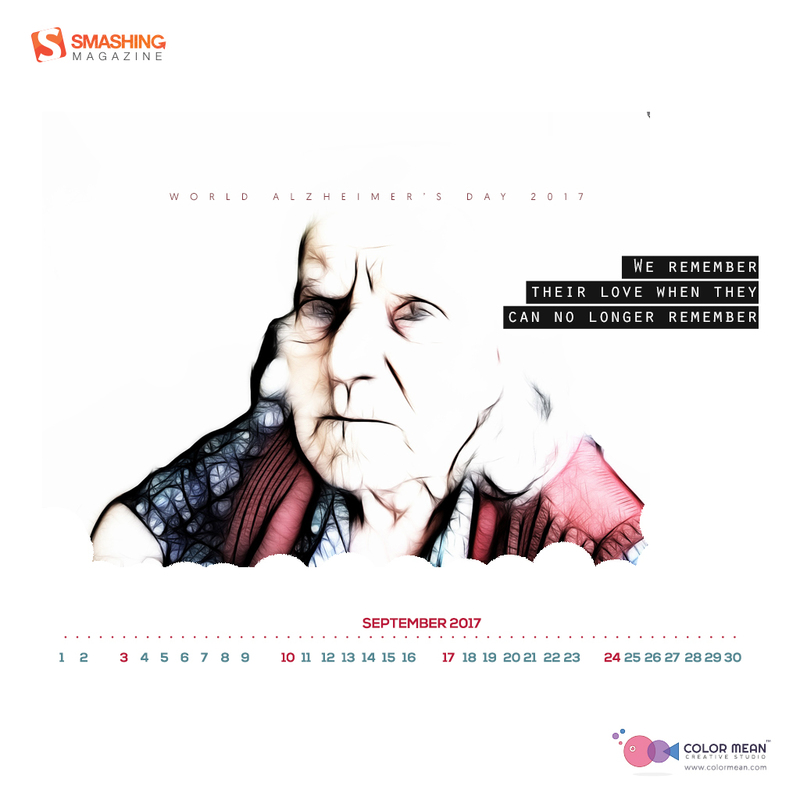 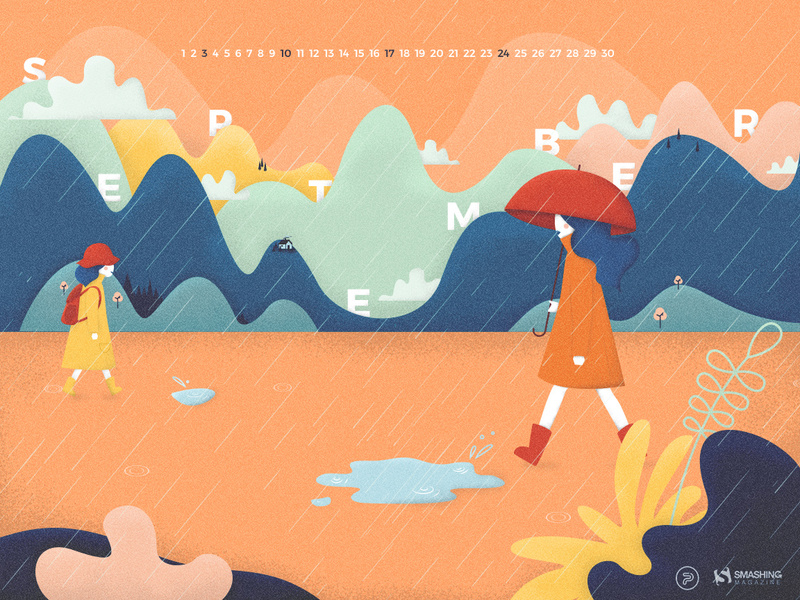 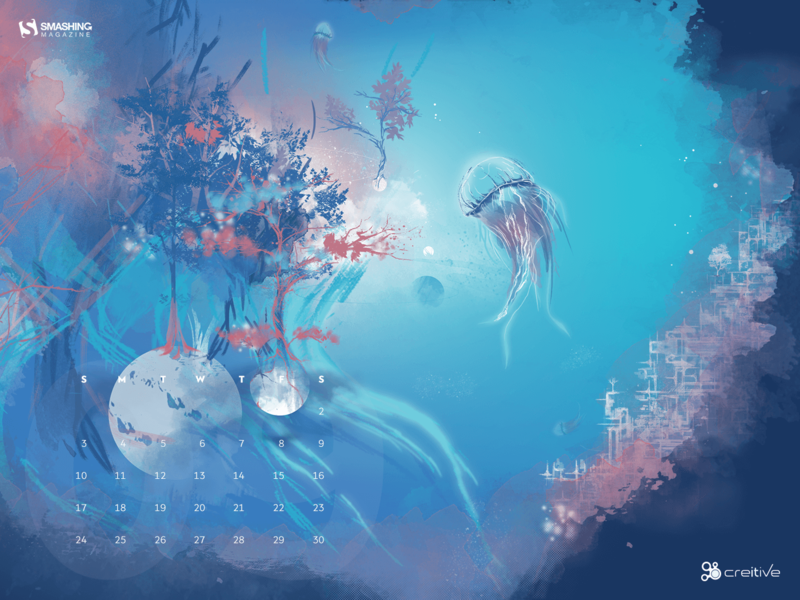 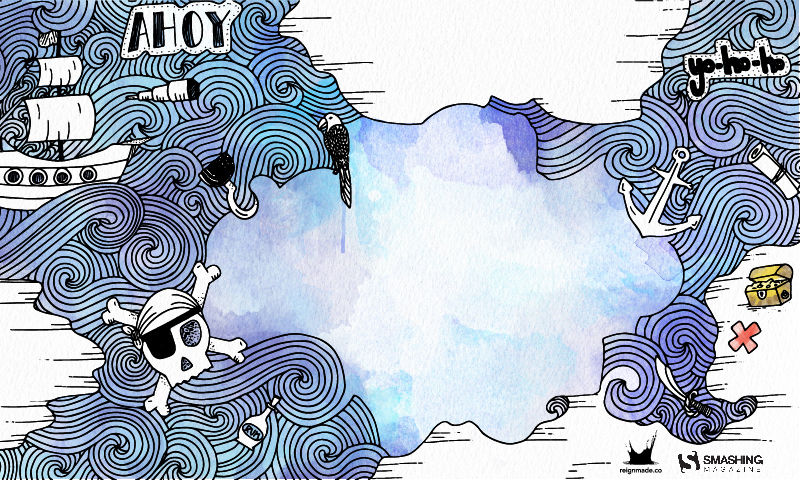 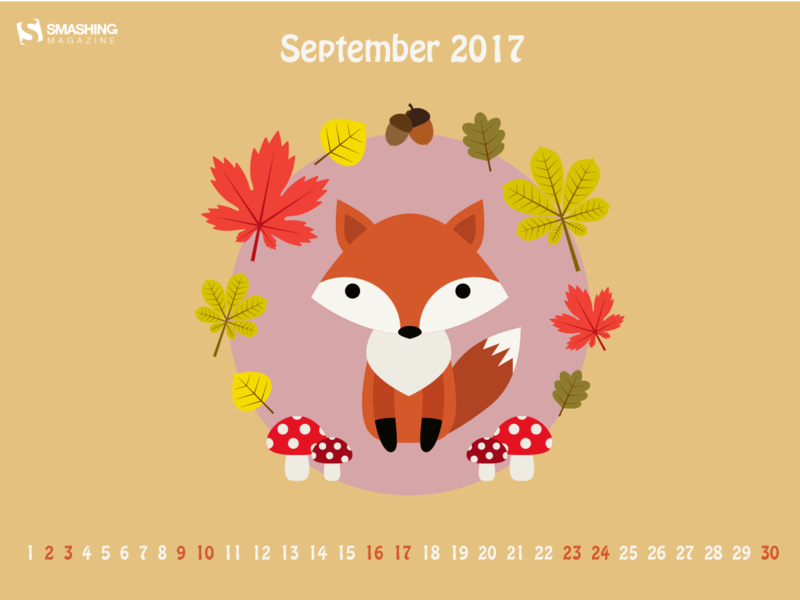 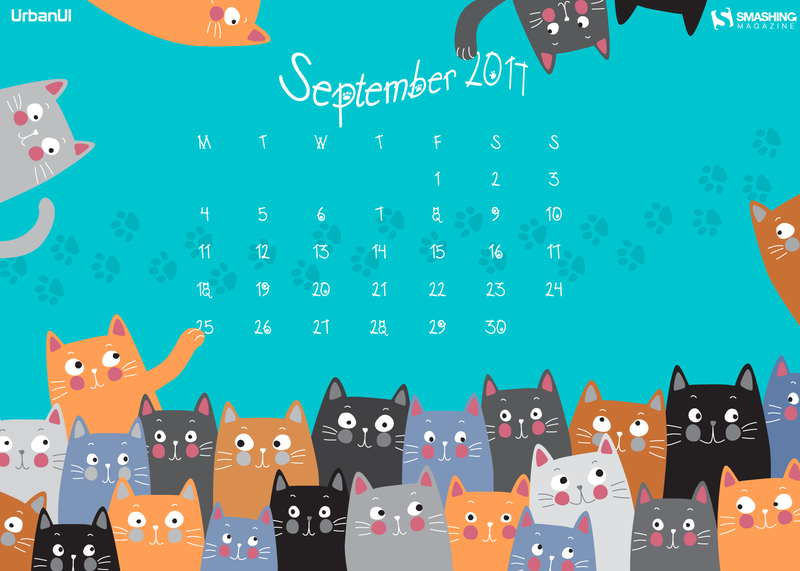 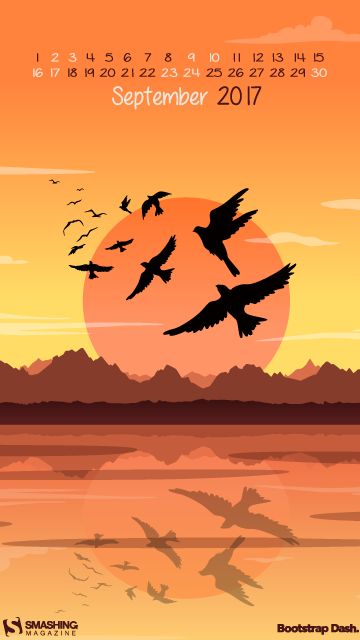 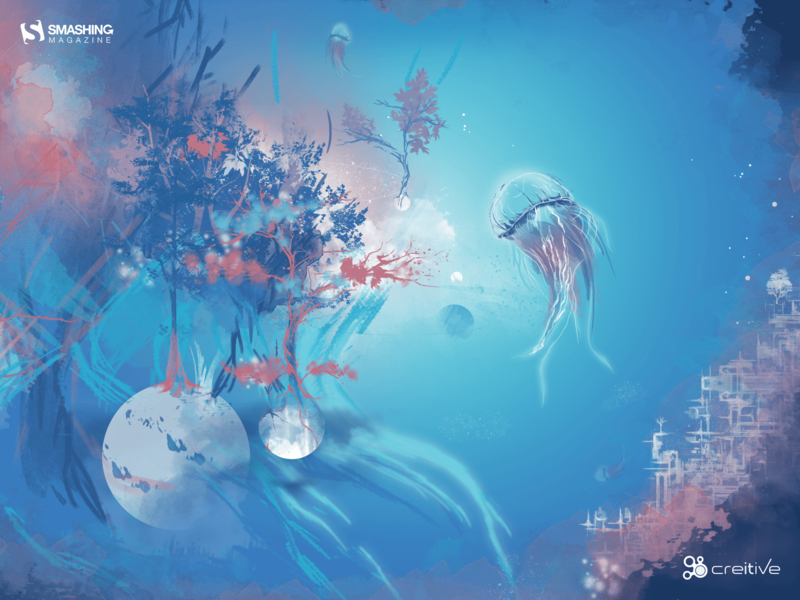 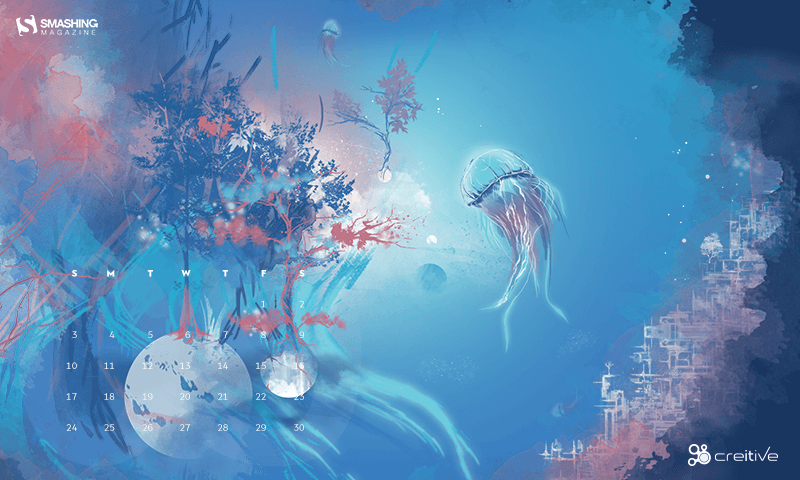 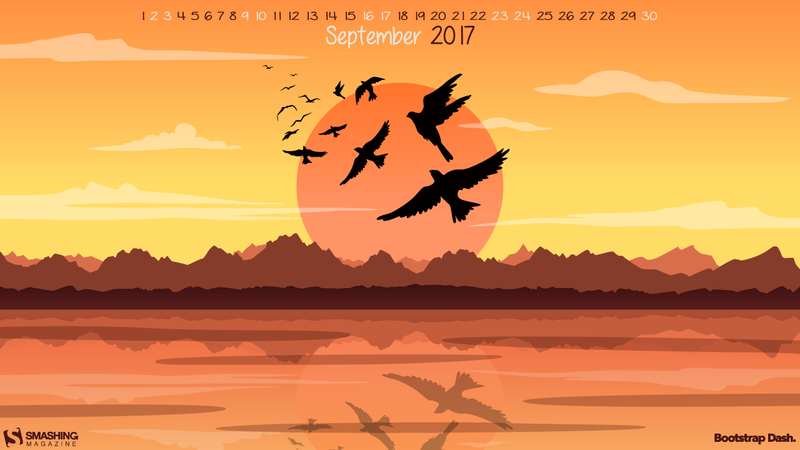 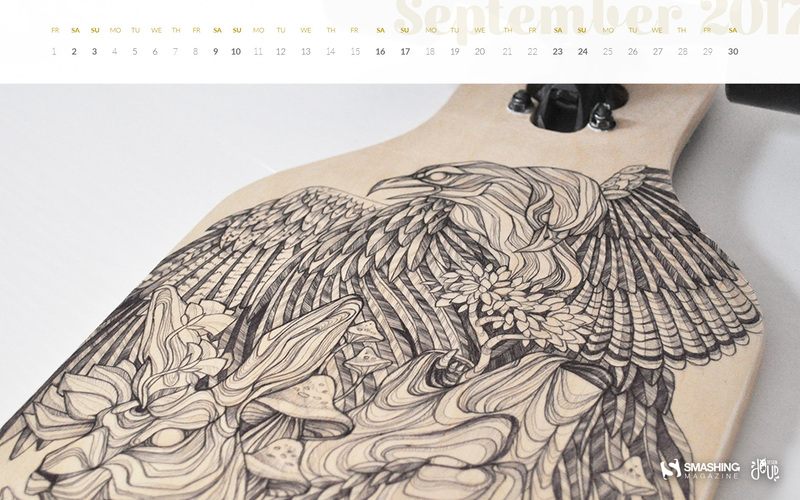 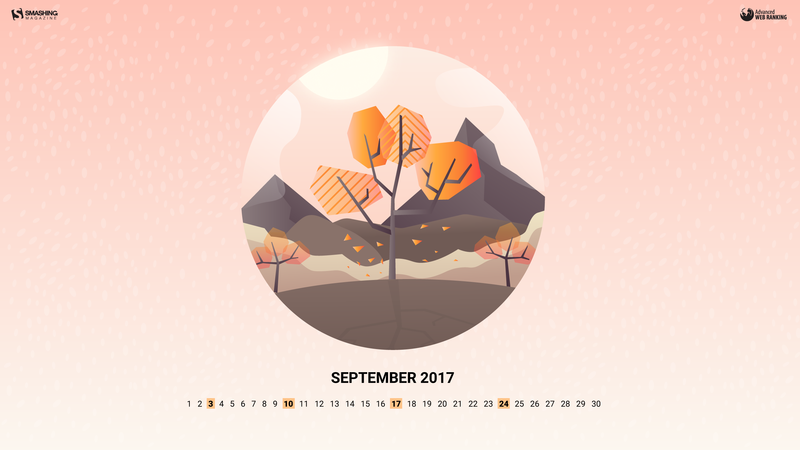 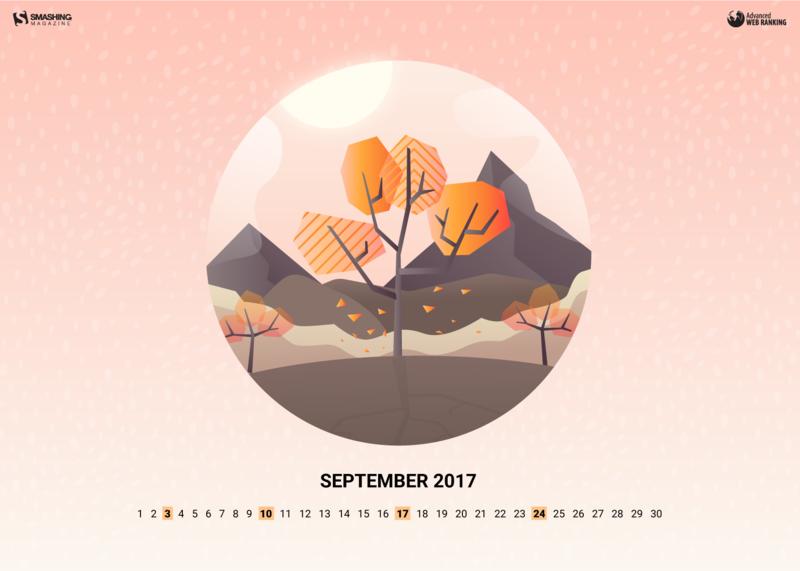 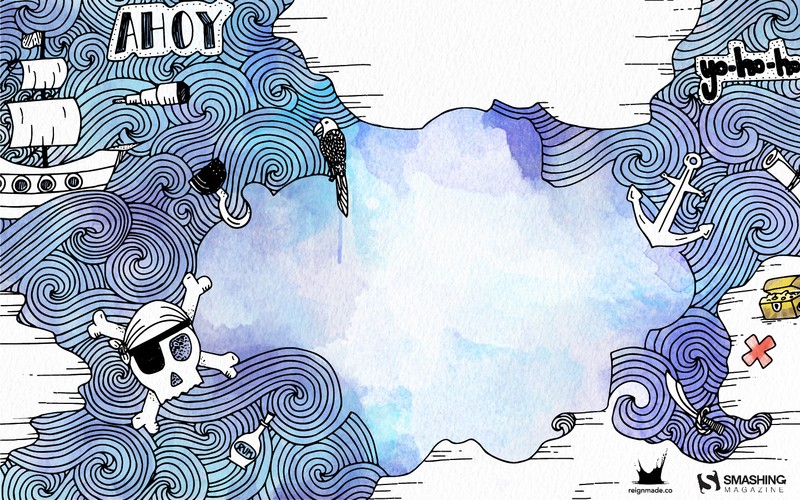 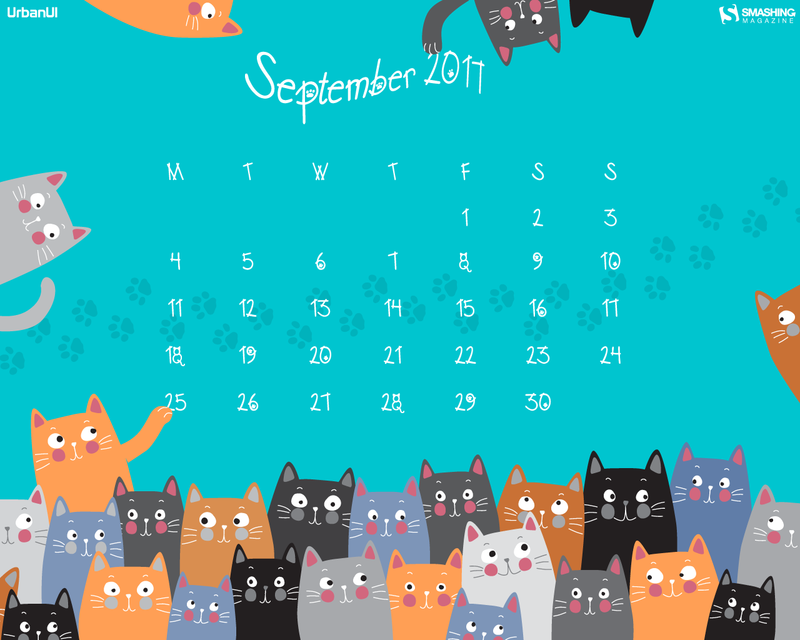 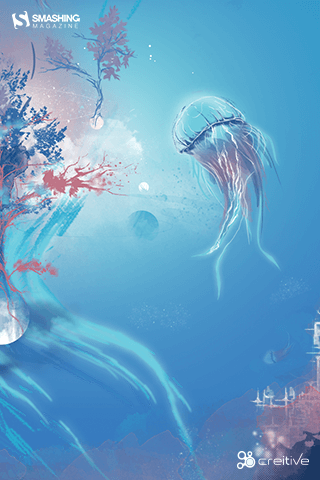 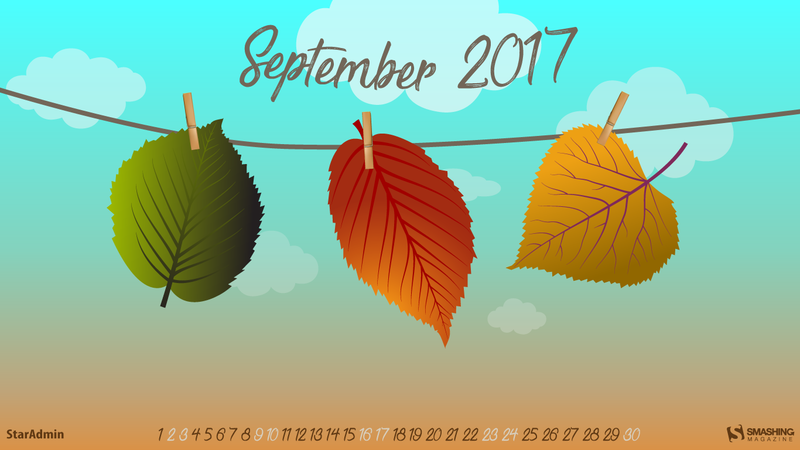 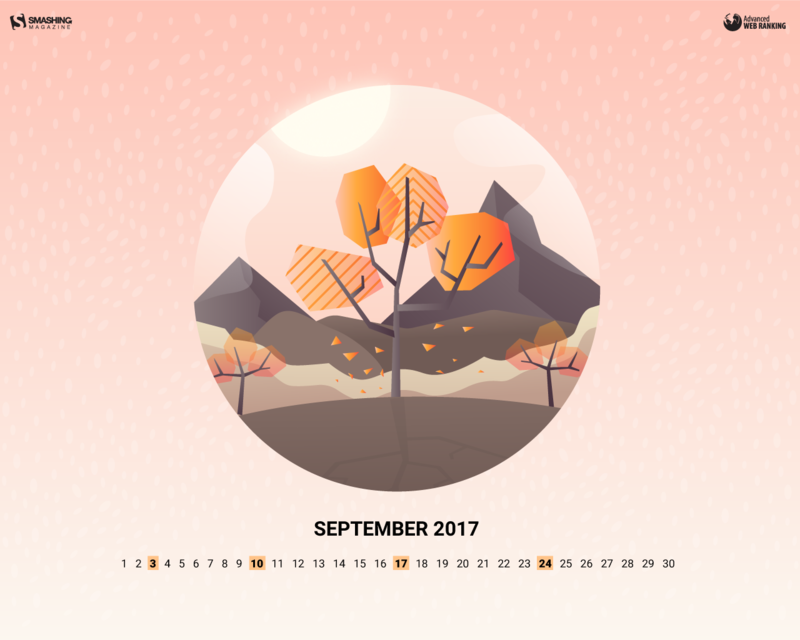 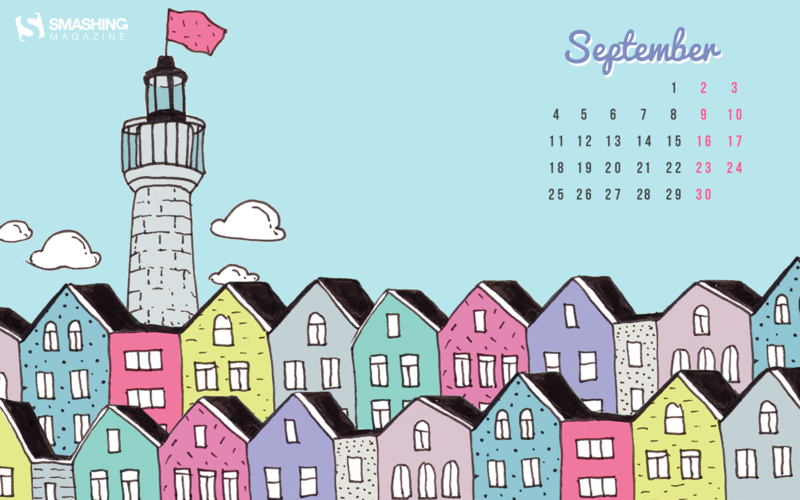 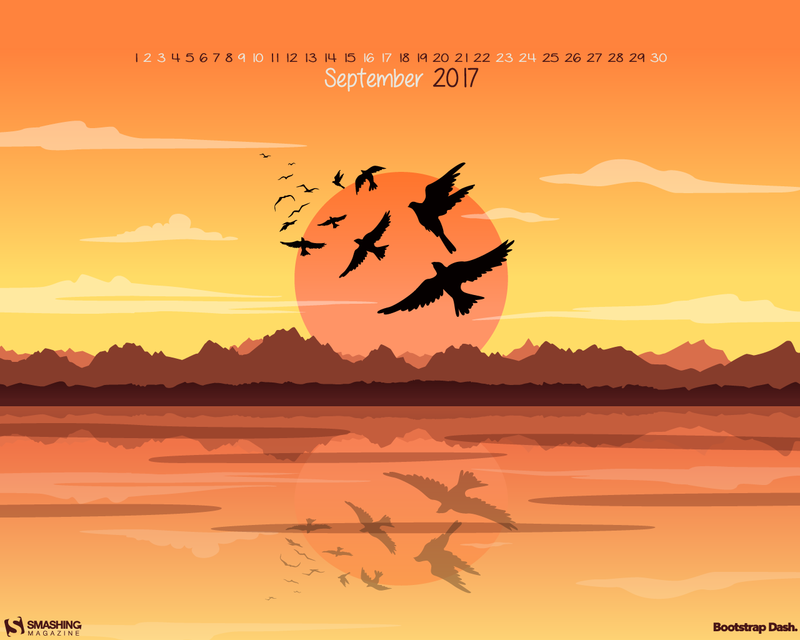 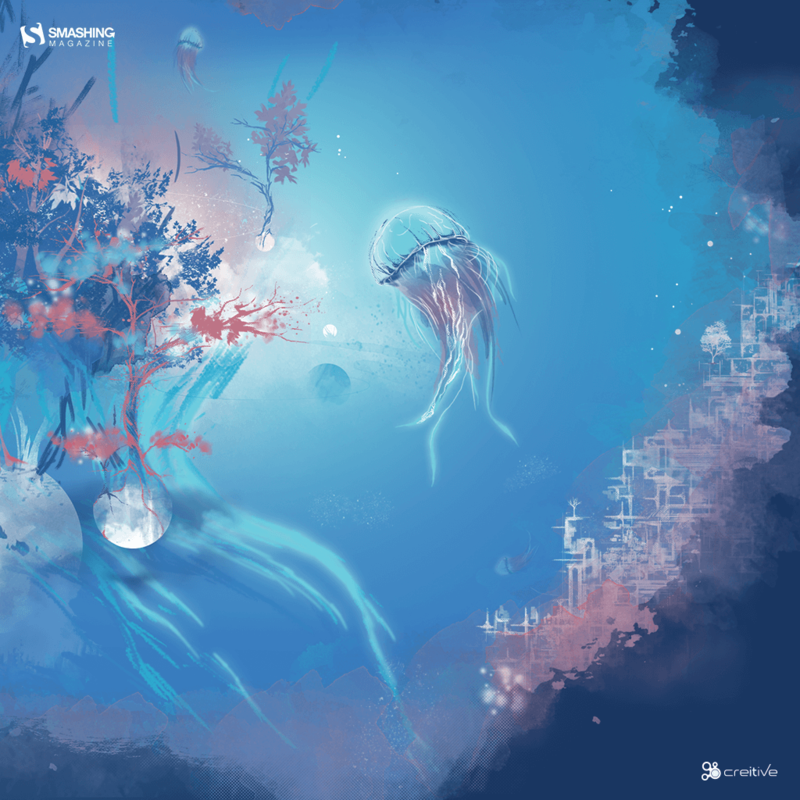 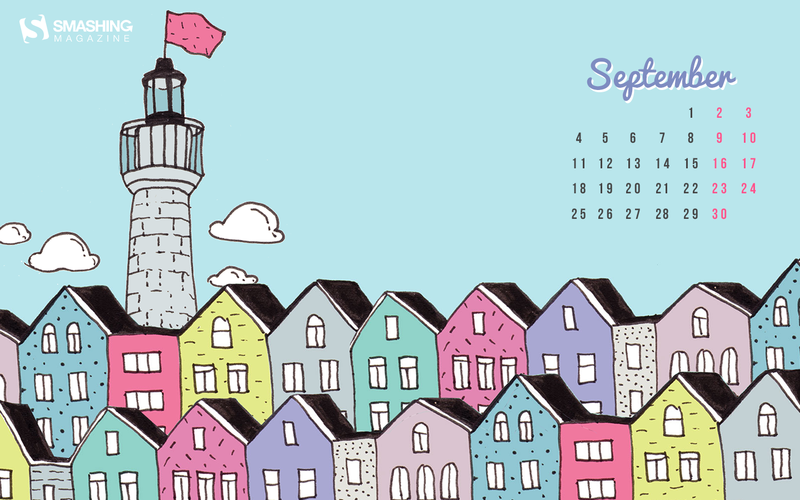 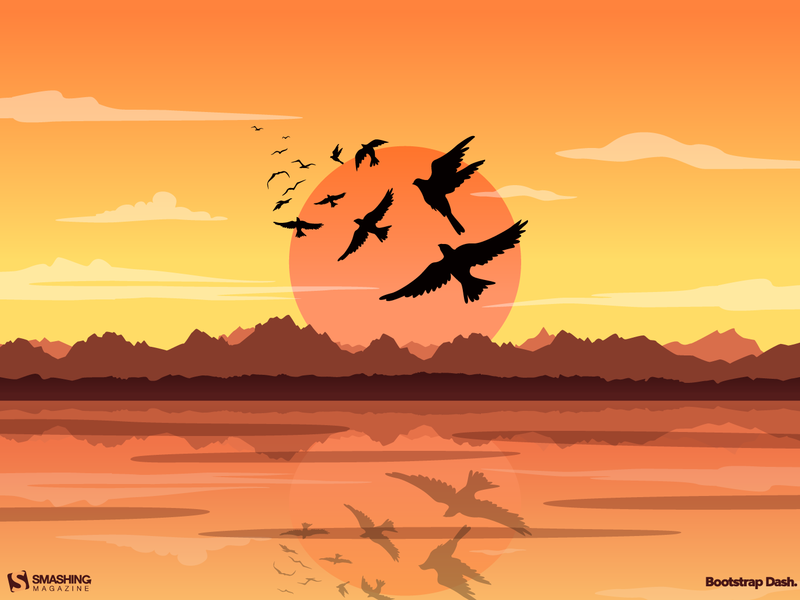 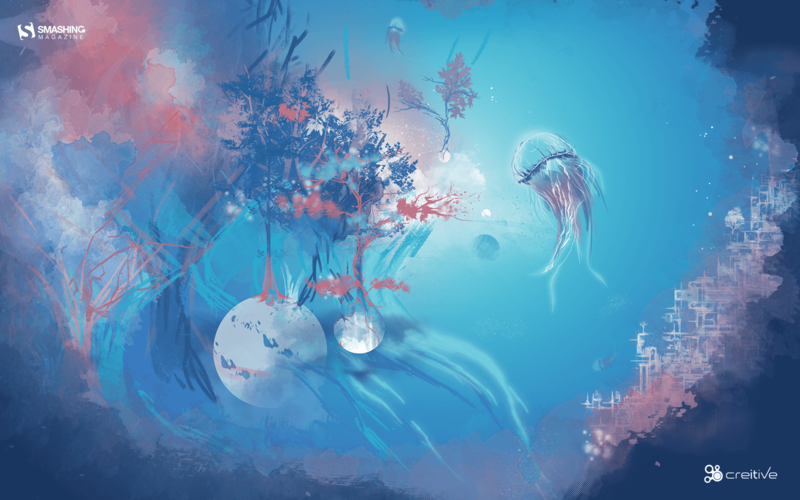 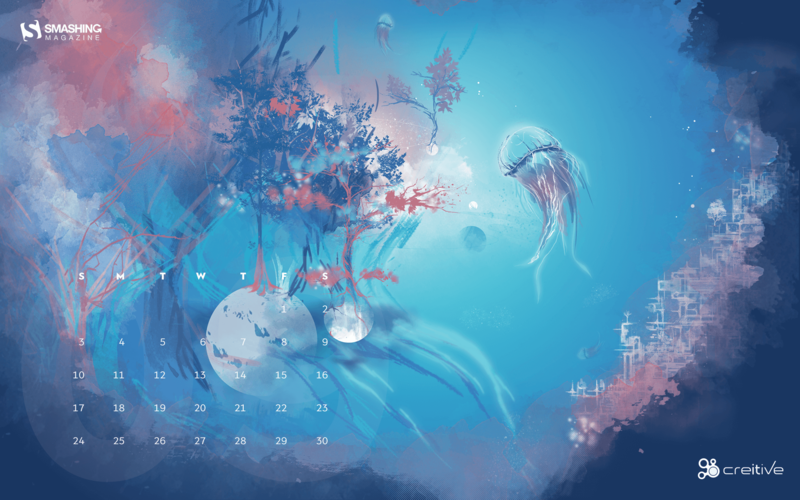 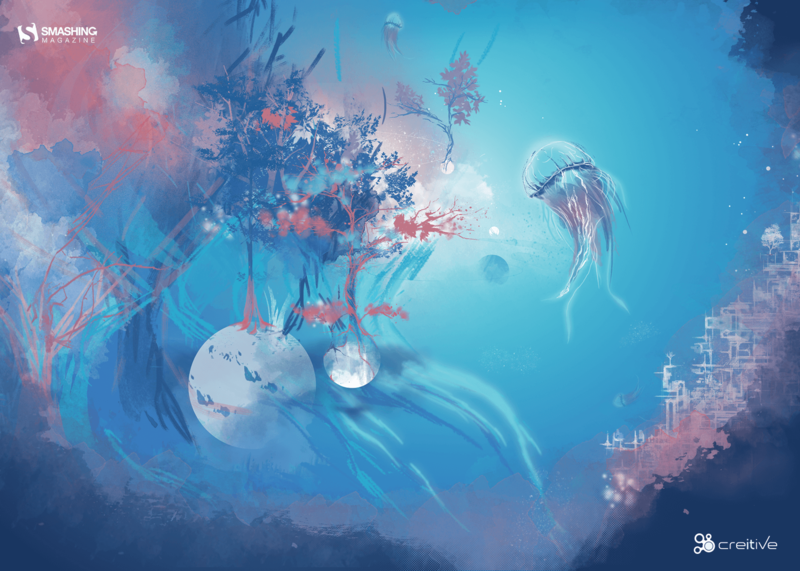 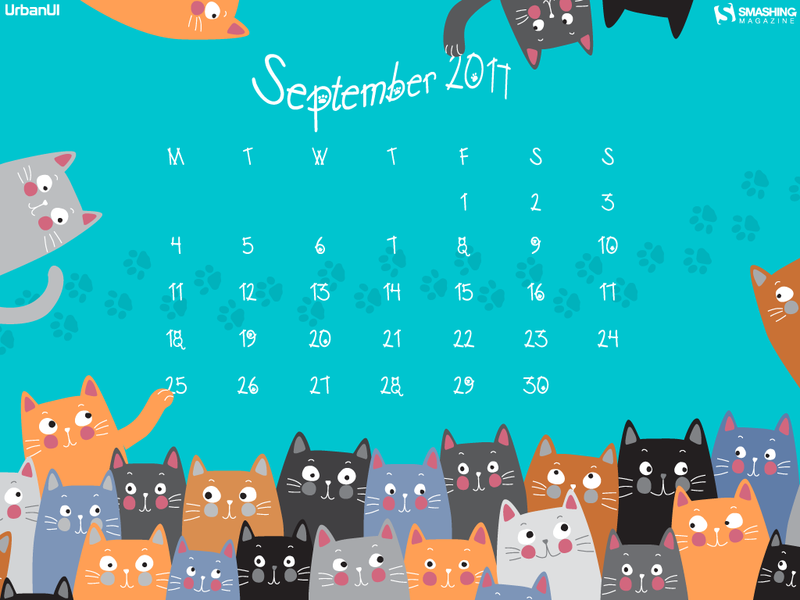 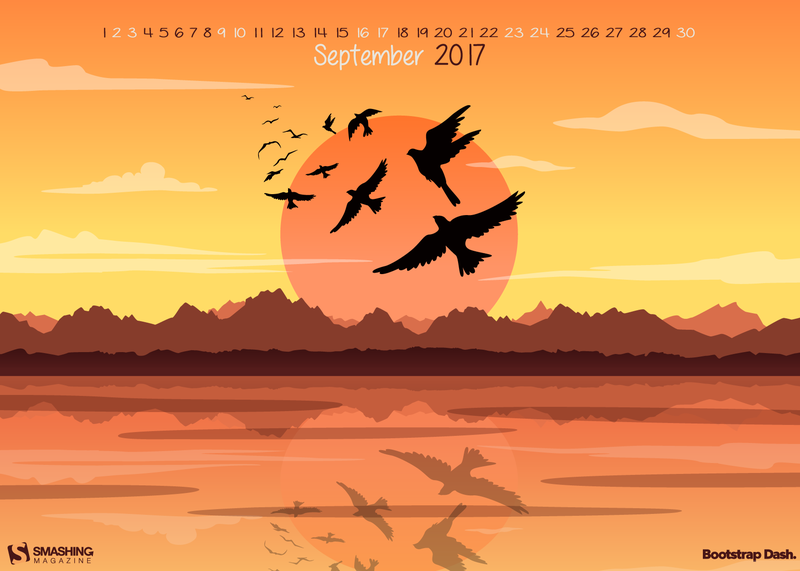 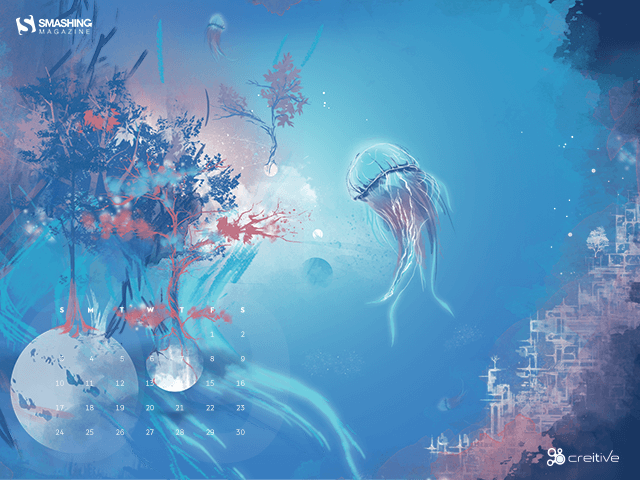 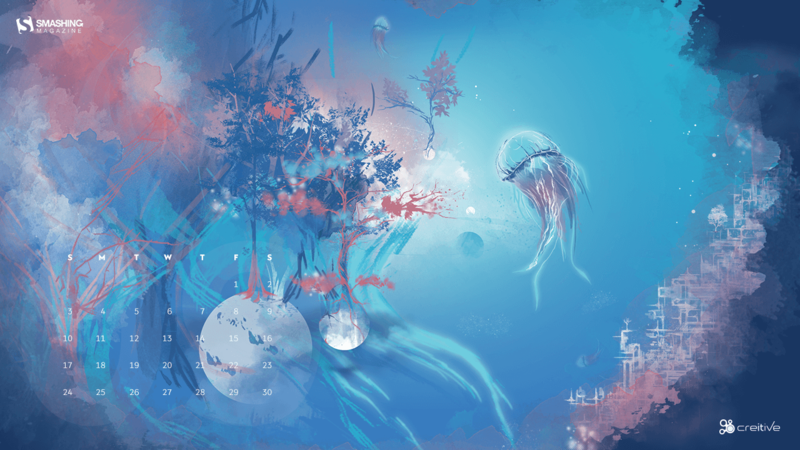 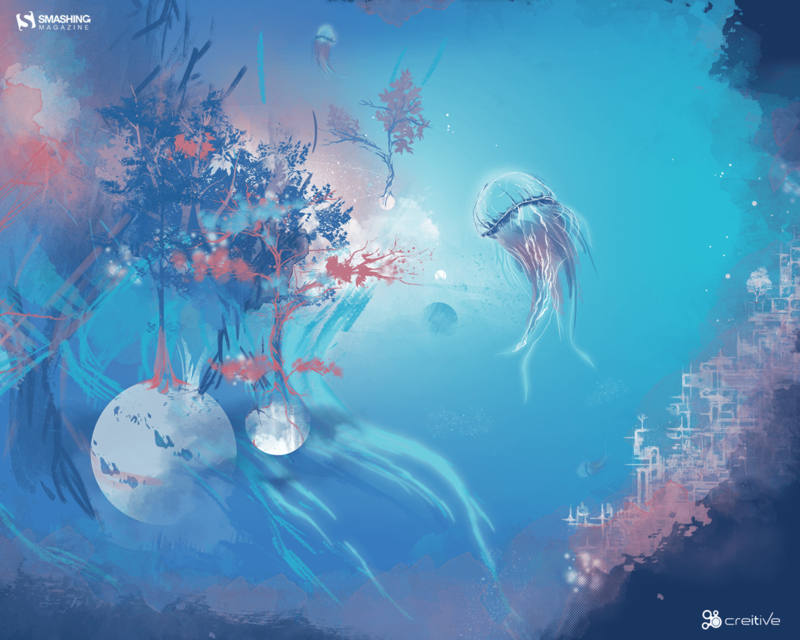 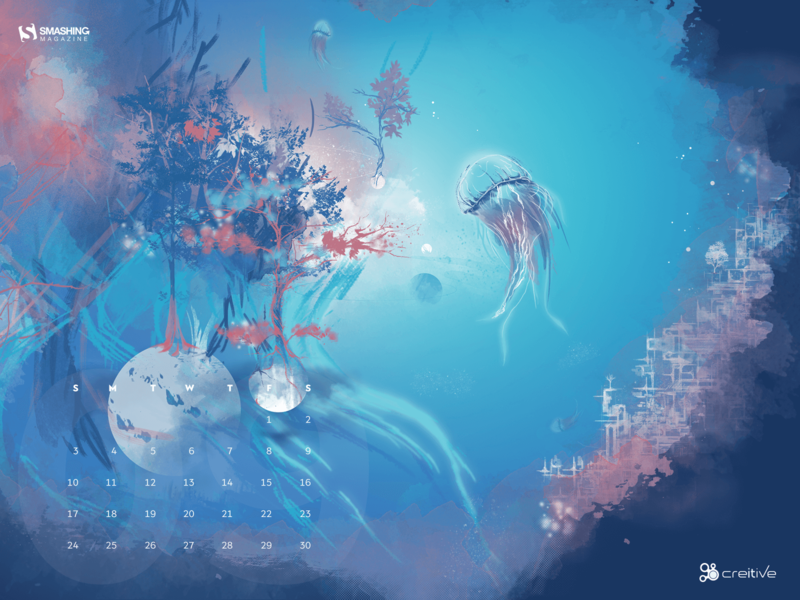 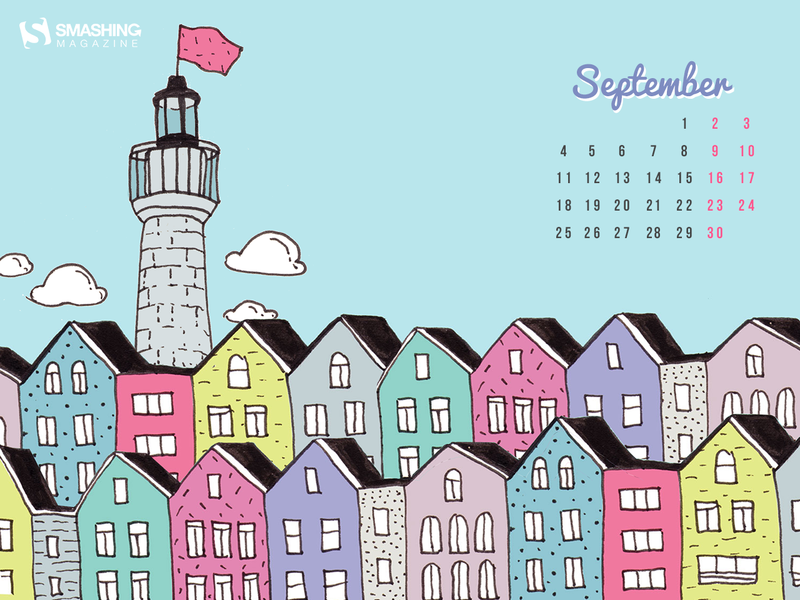 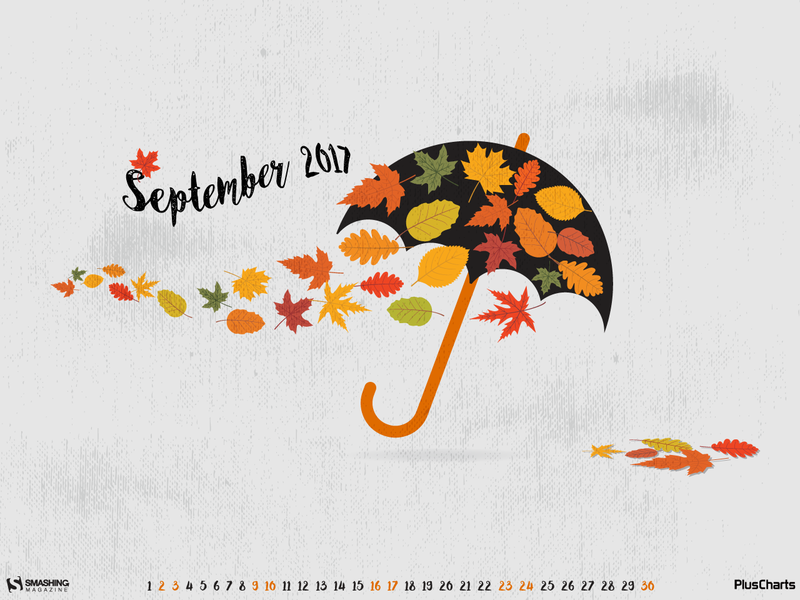 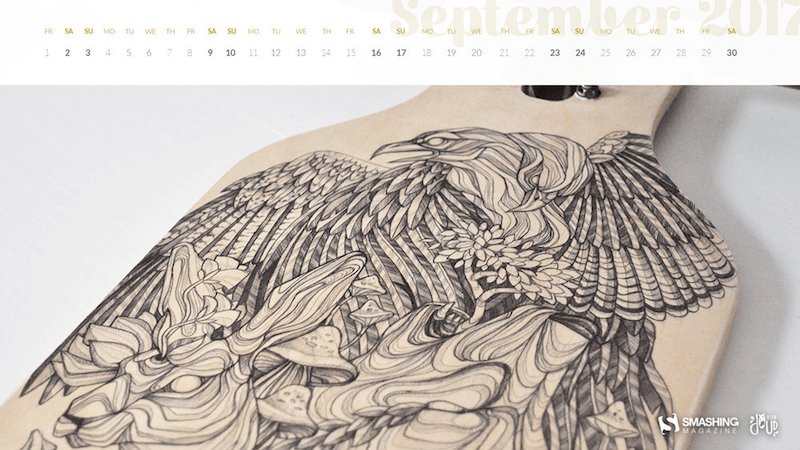 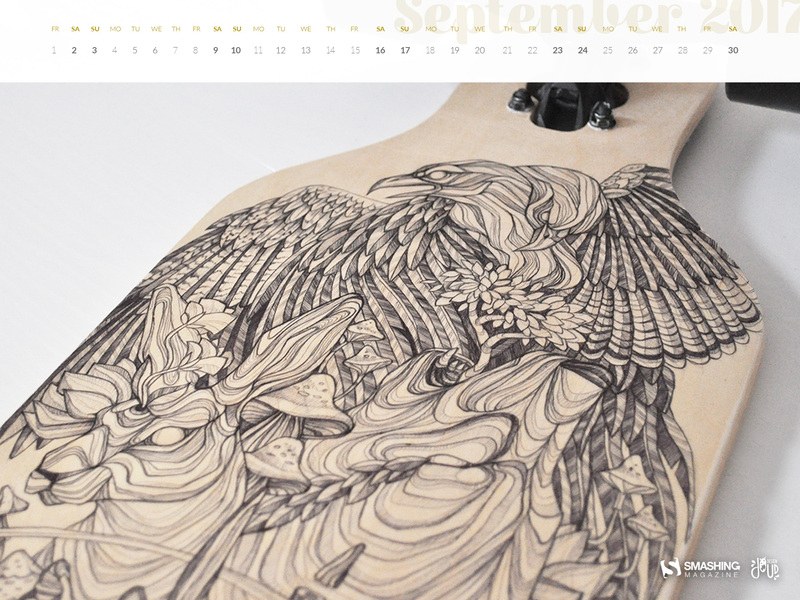 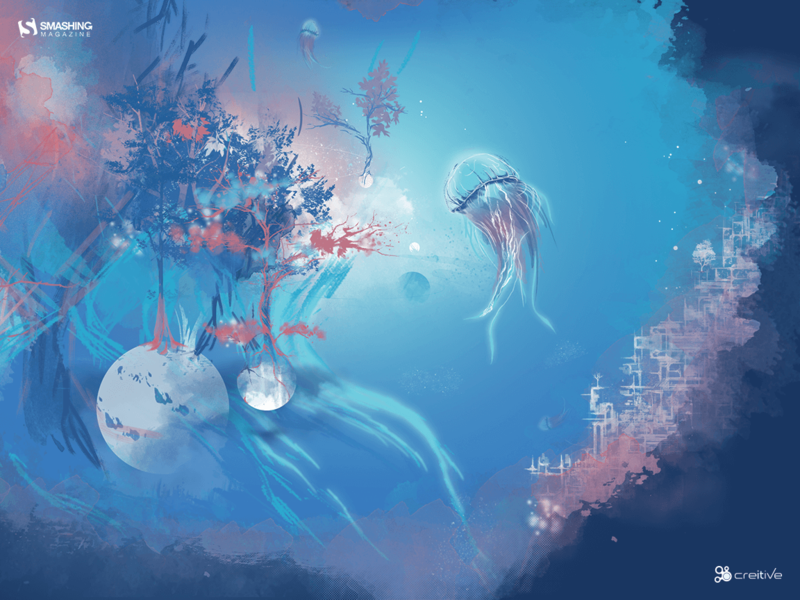 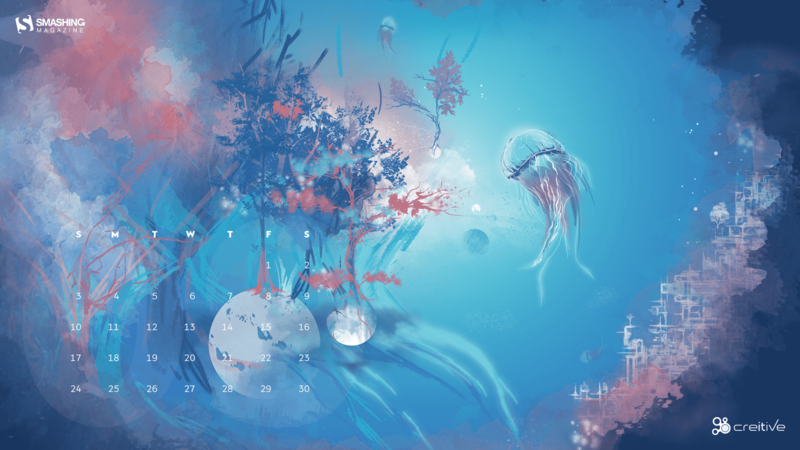 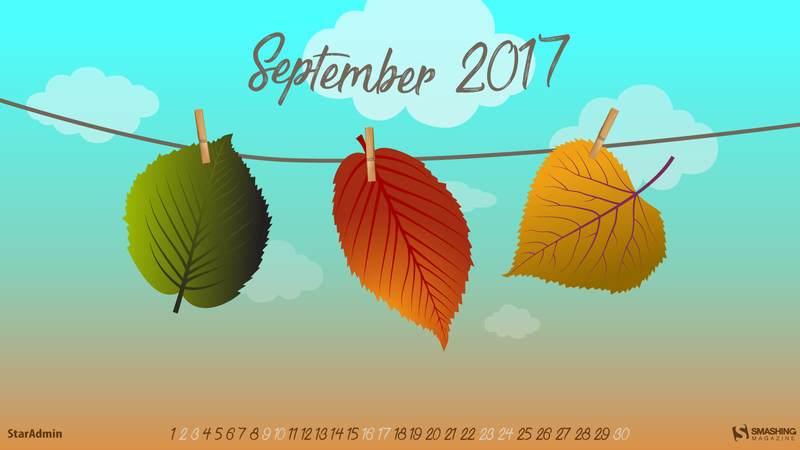 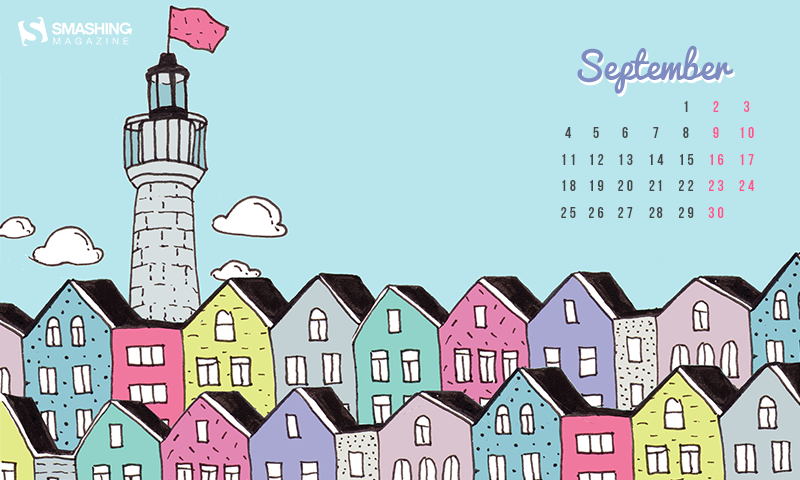 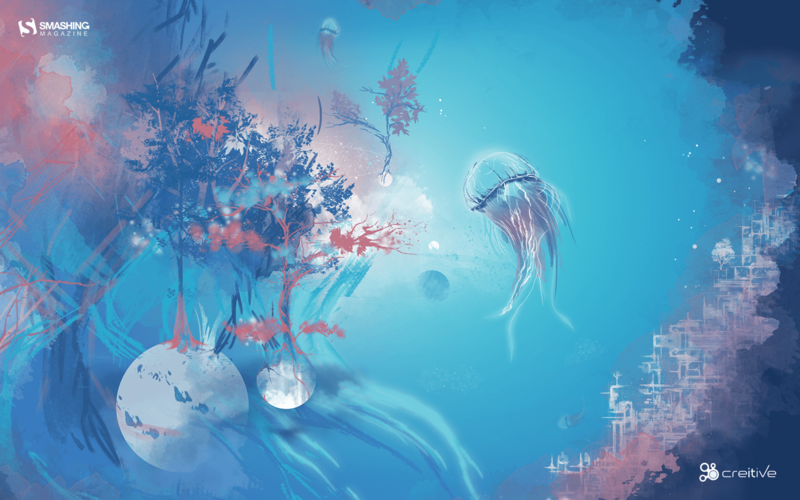 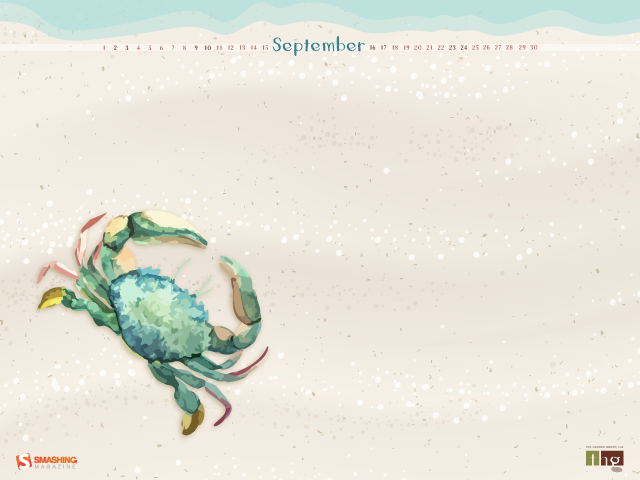 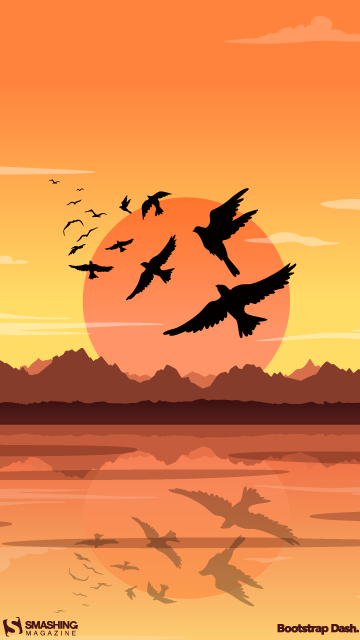 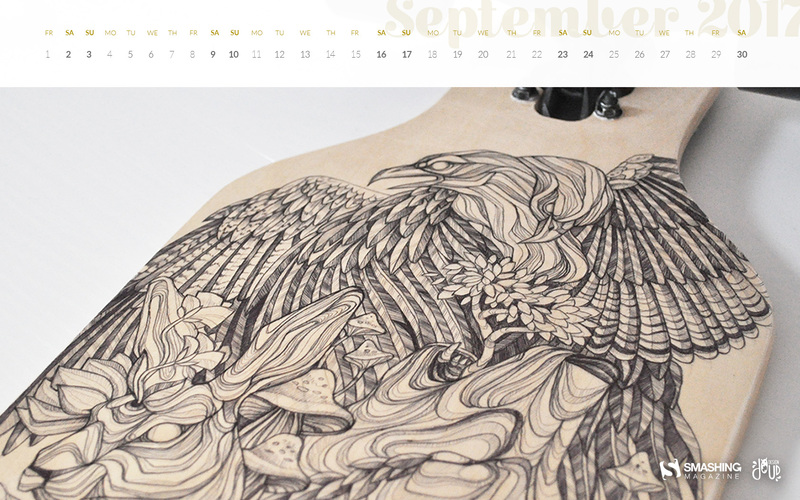 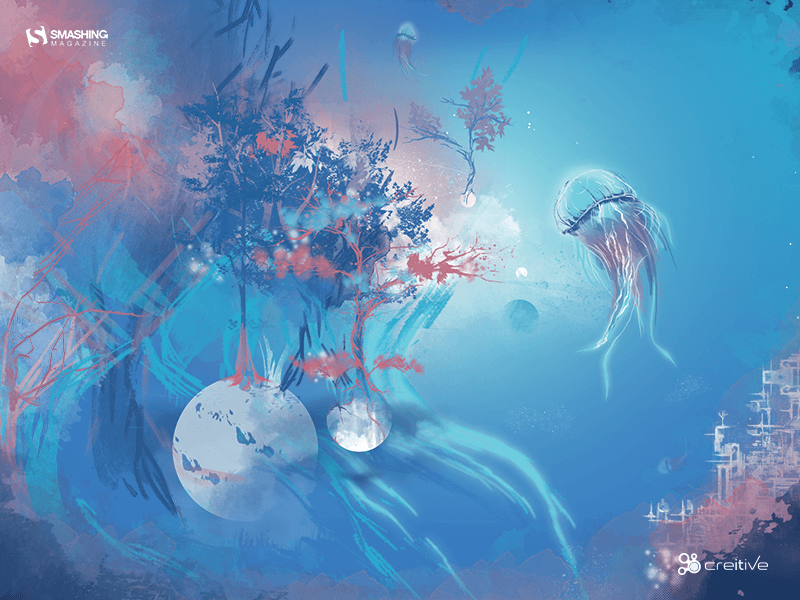 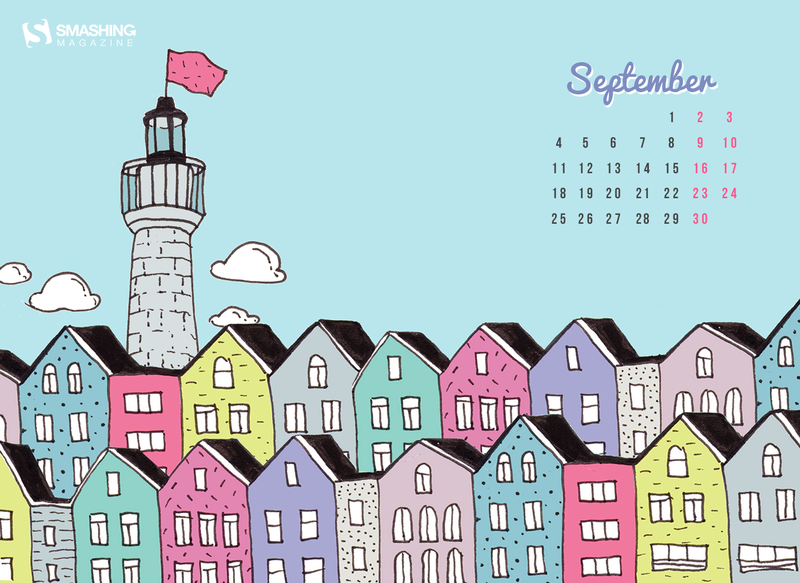 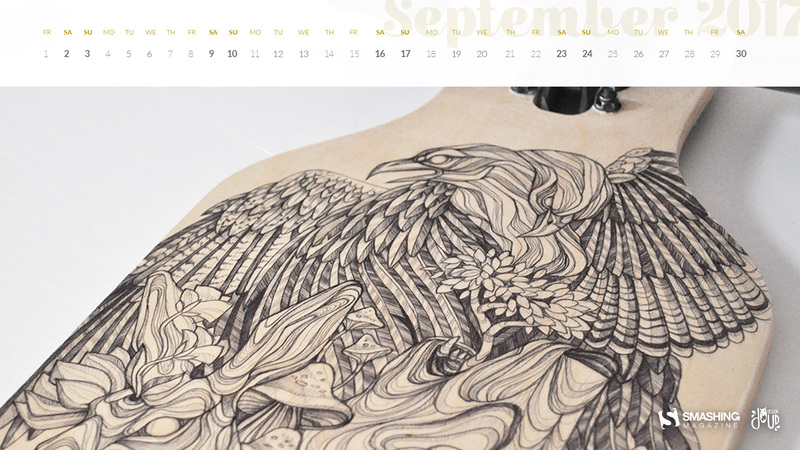 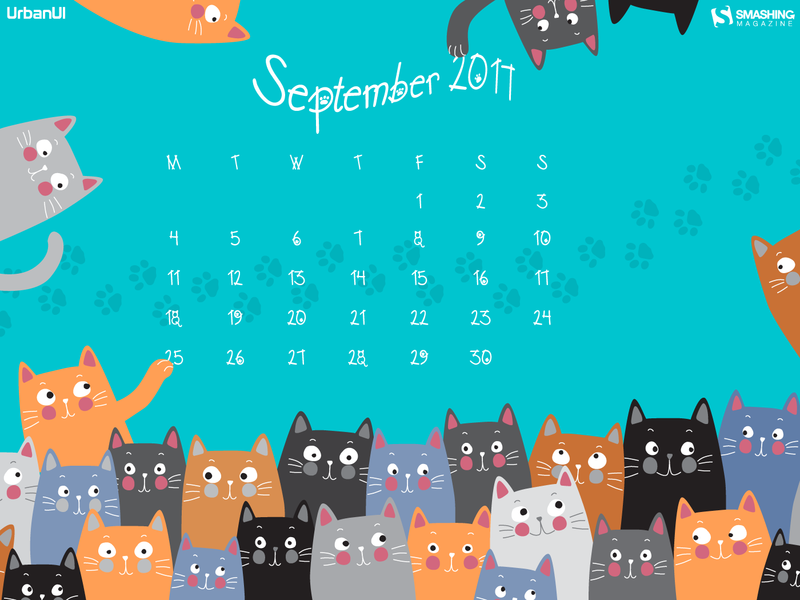 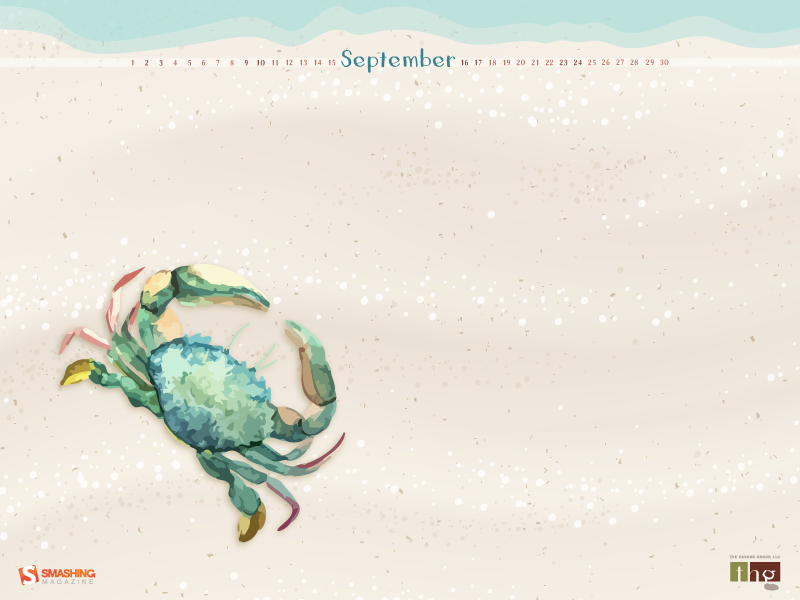 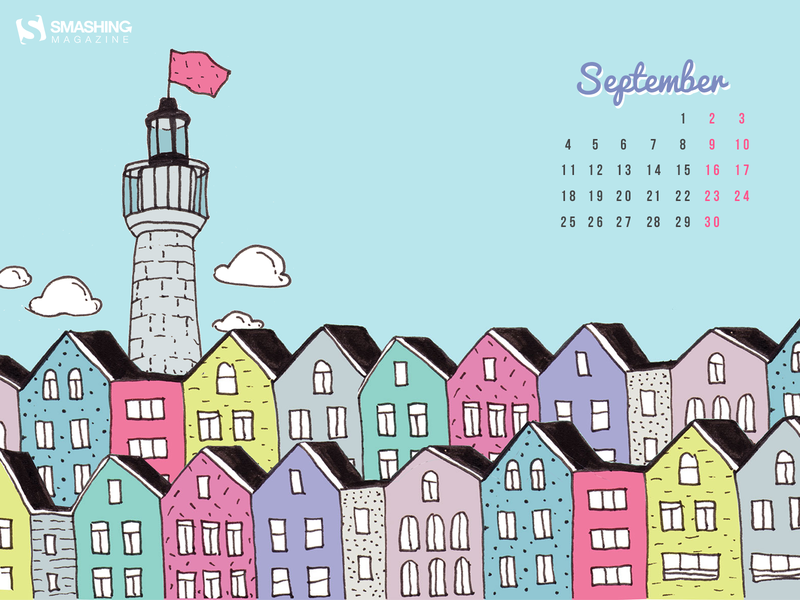 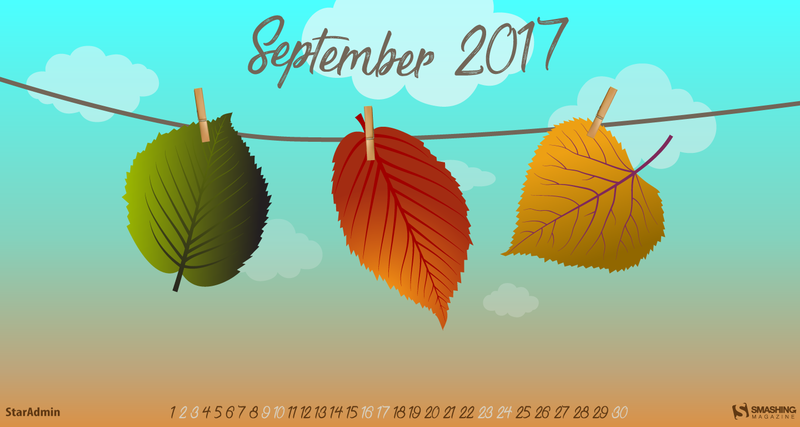 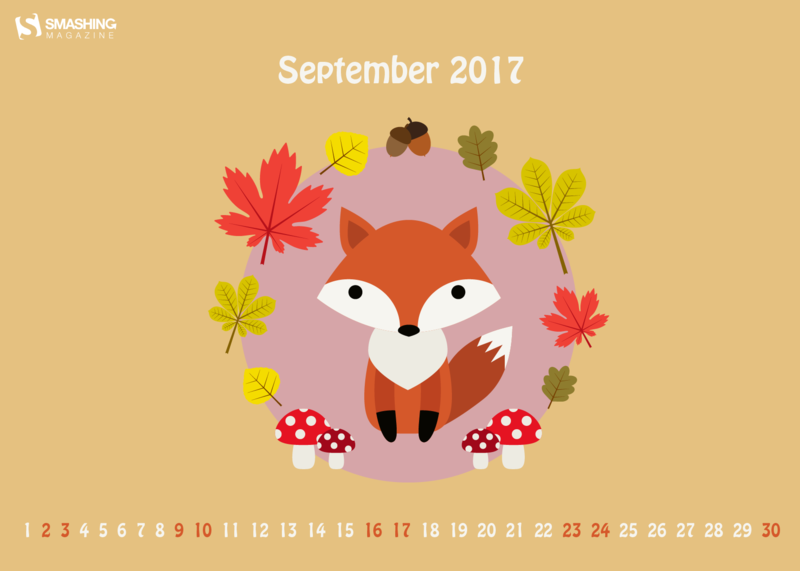 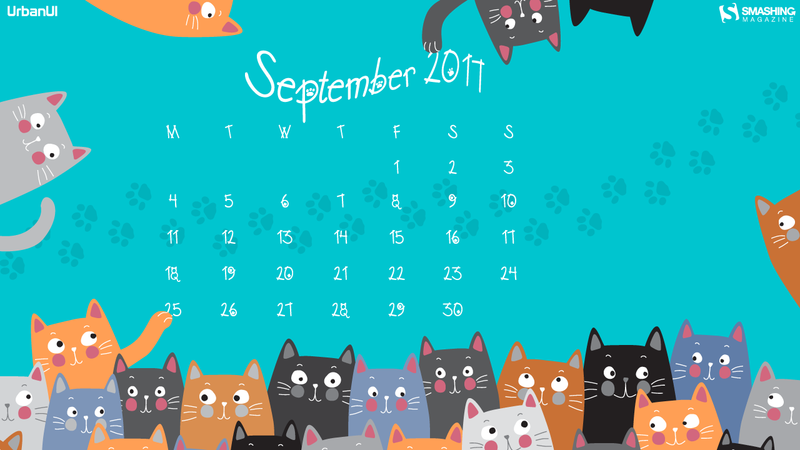 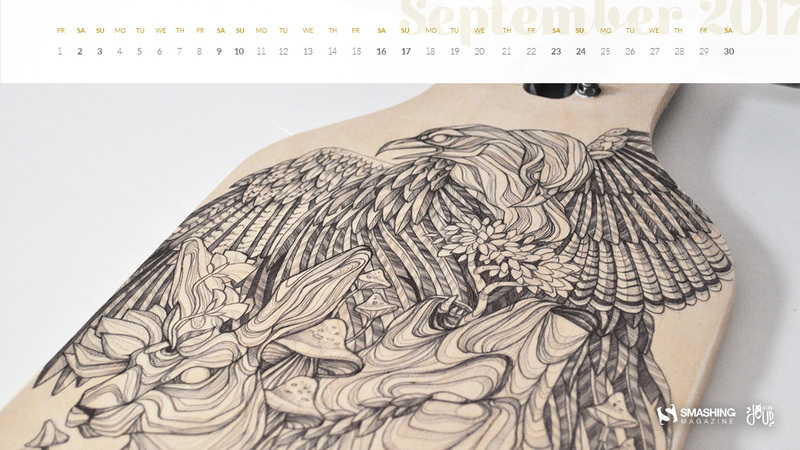 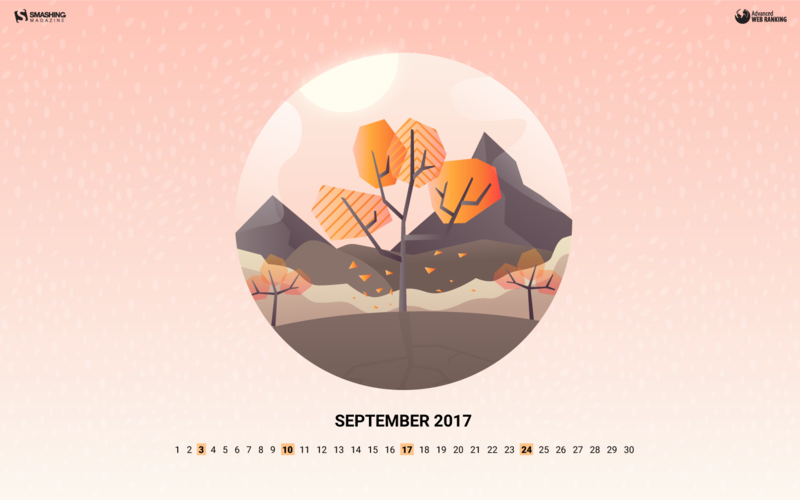 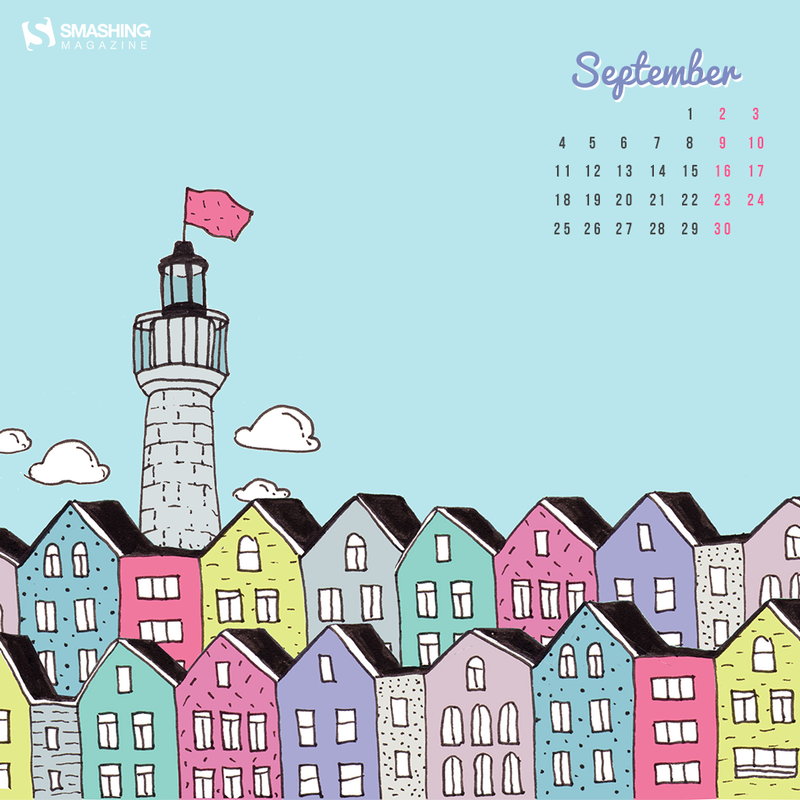 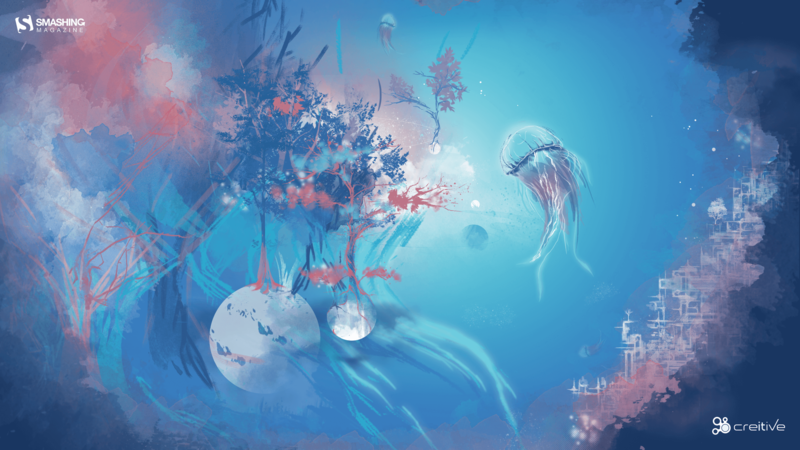 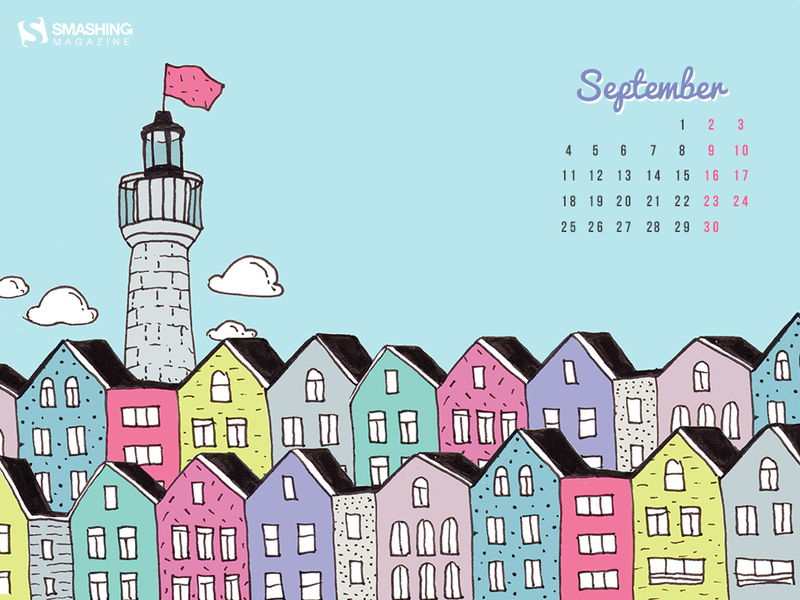 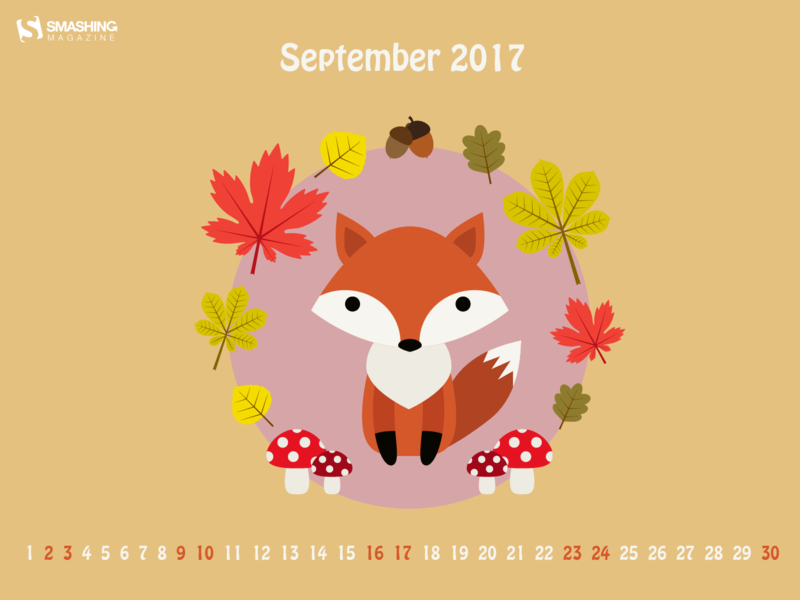 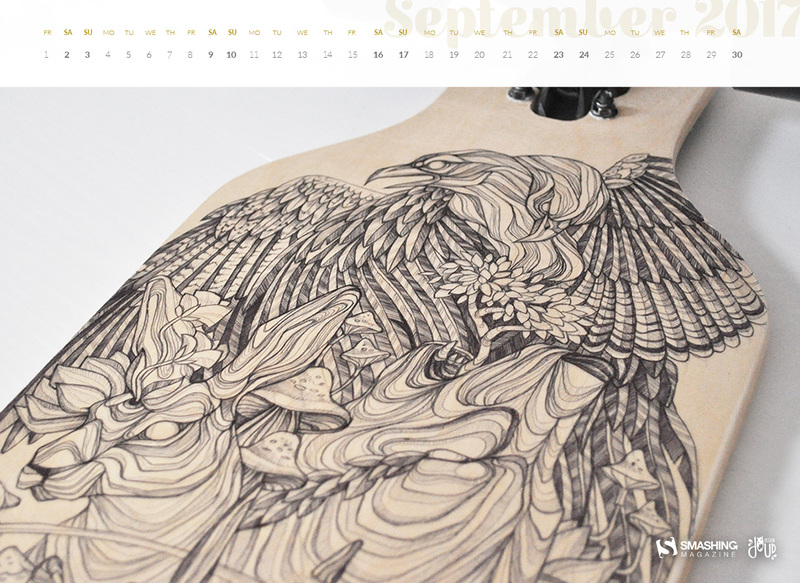 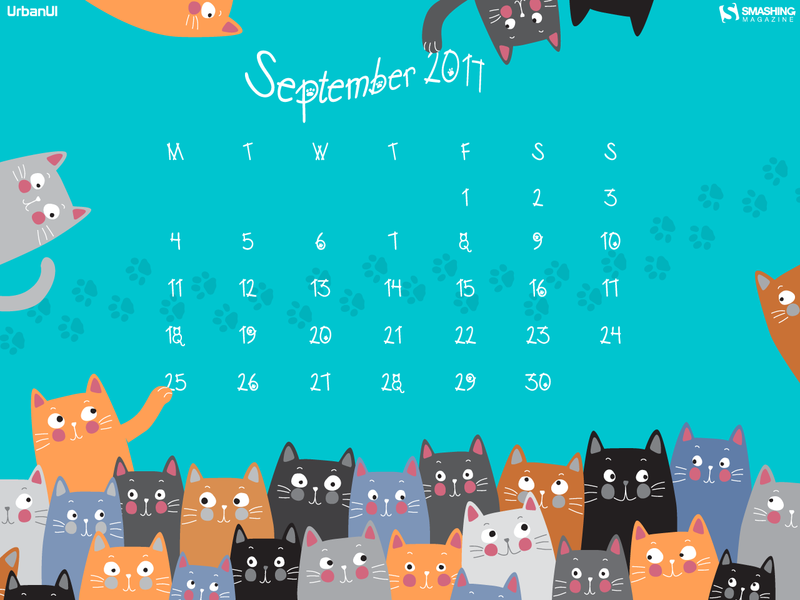 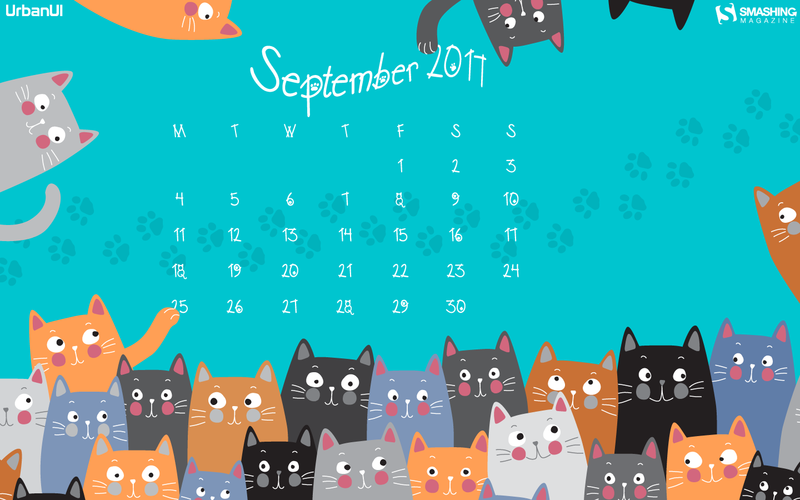 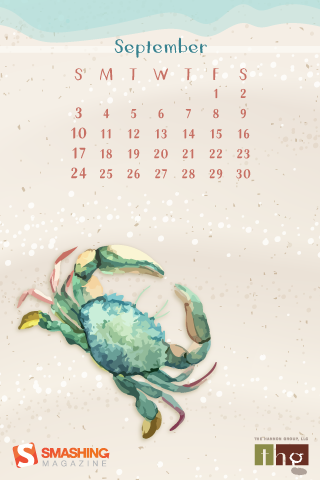 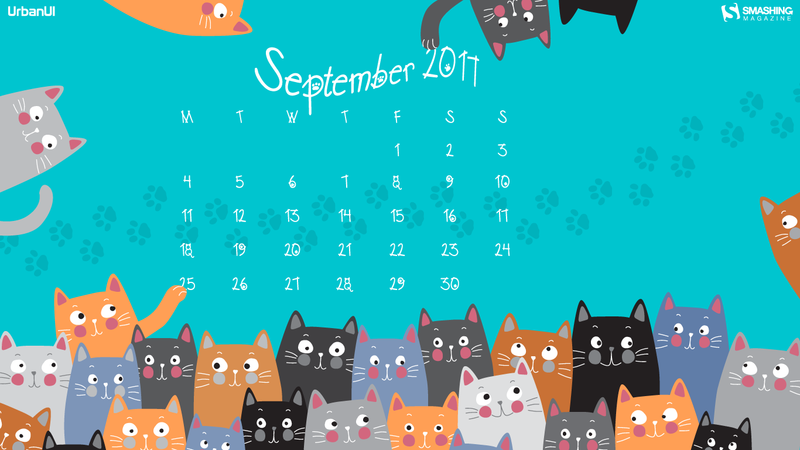 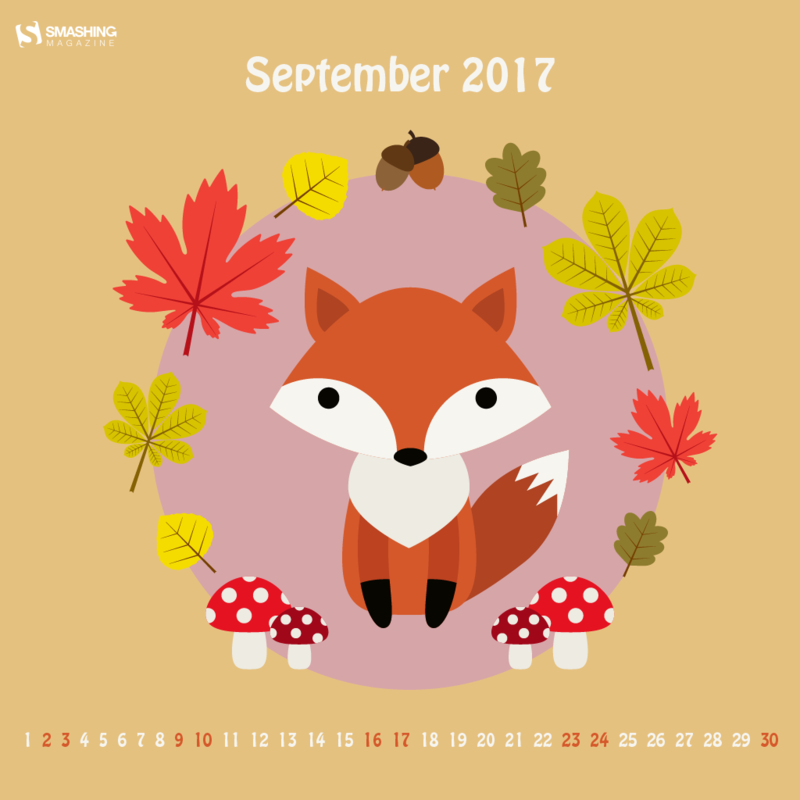 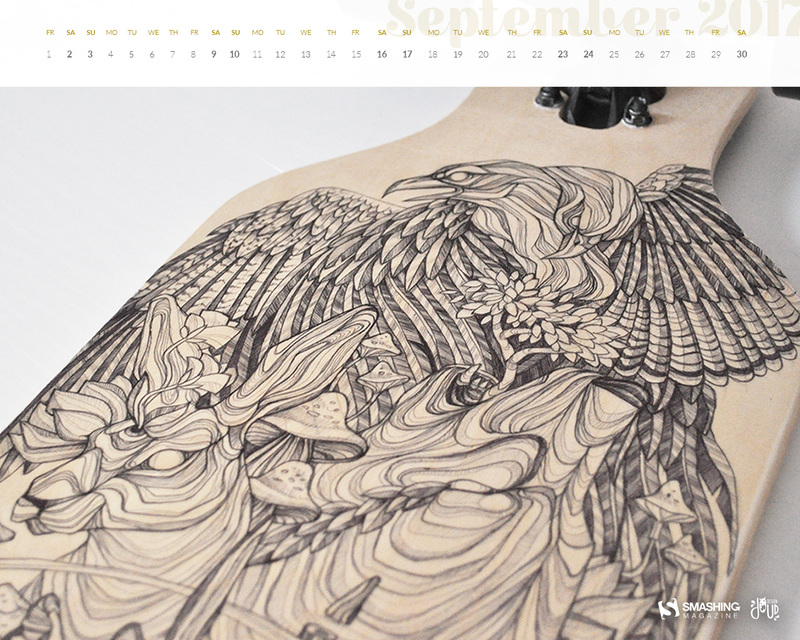 This post features their artwork for September 2017. 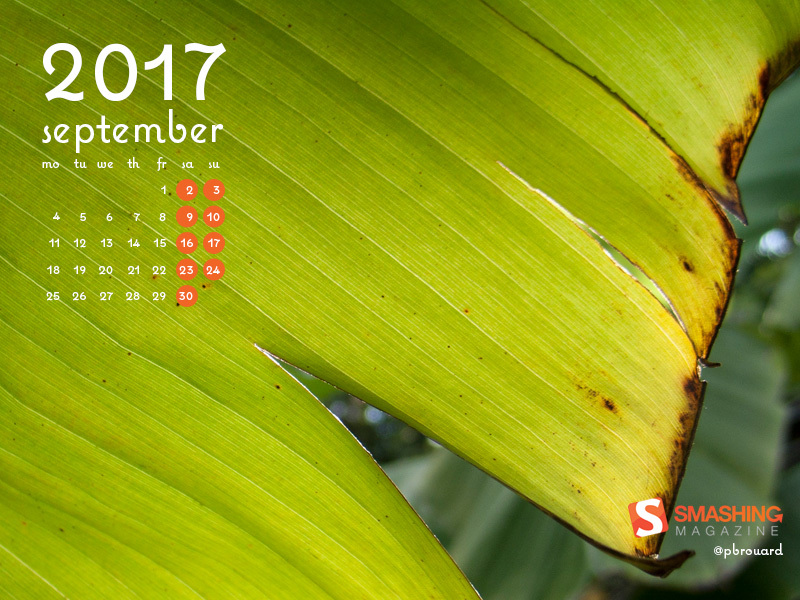 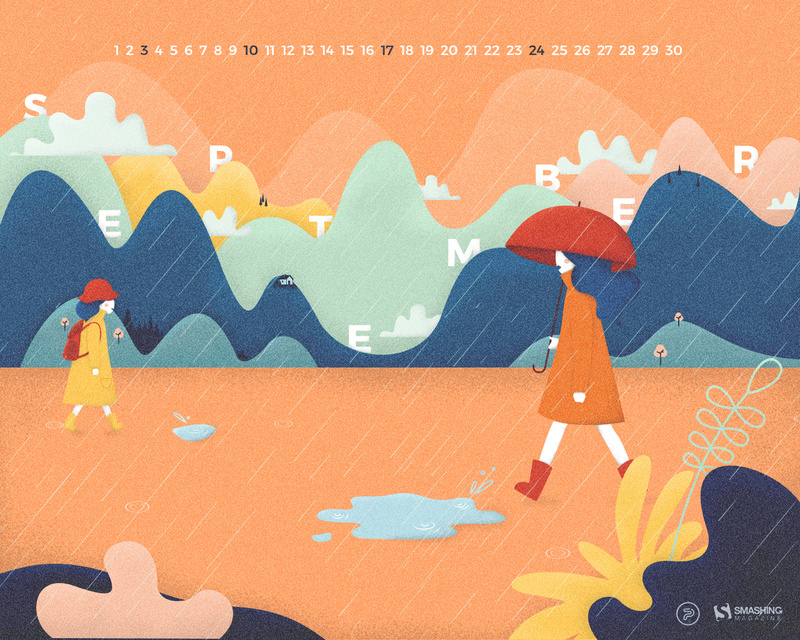 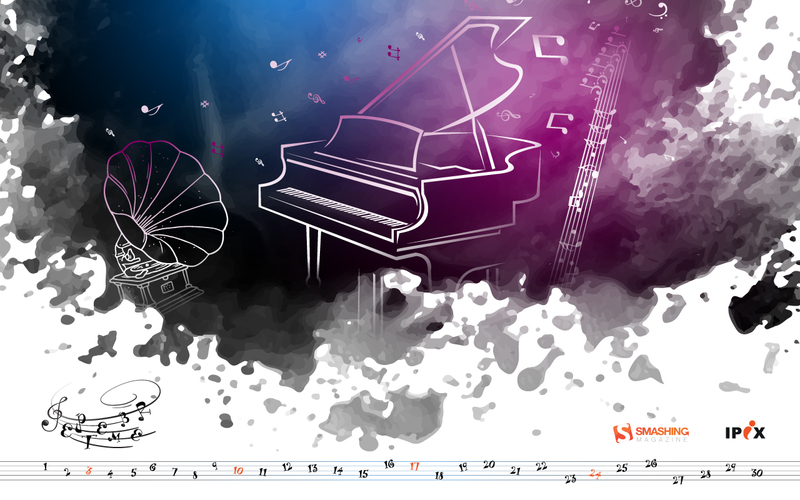 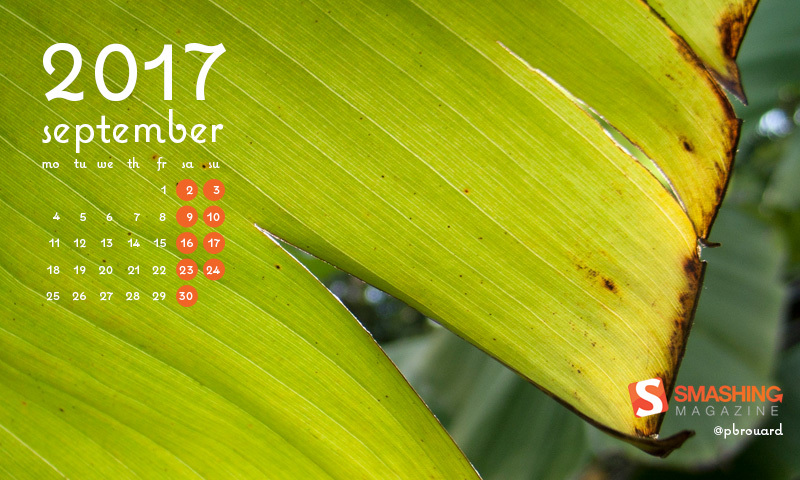 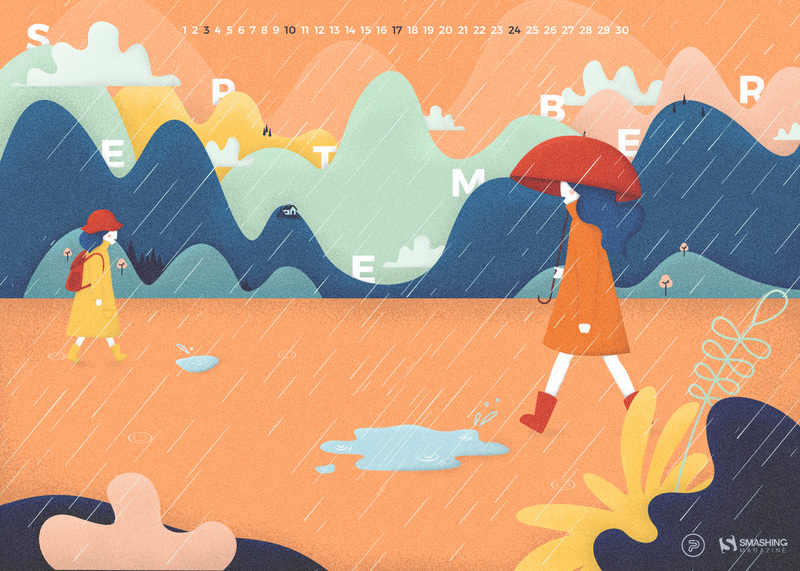 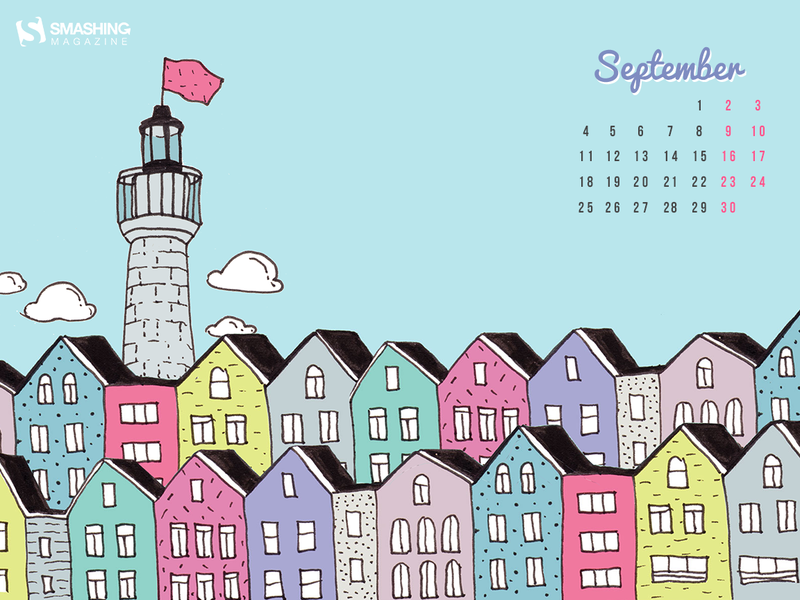 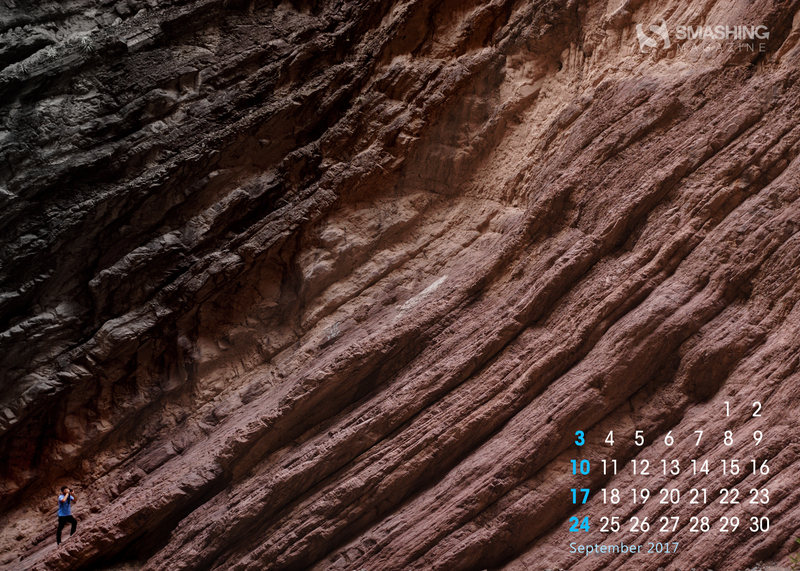 All wallpapers come in two versions — with and without a calendar — and can be downloaded for free. 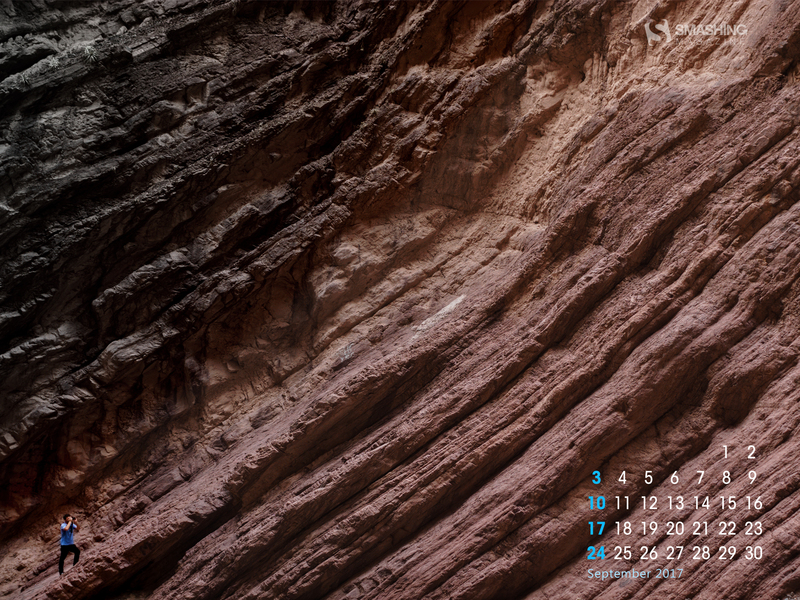 Time to freshen up your desktop! We are very thankful to all artists and designers who have contributed and are still diligently contributing to this mission, who challenge their artistic abilities each month anew to keep the steady stream of wallpapers flowing. 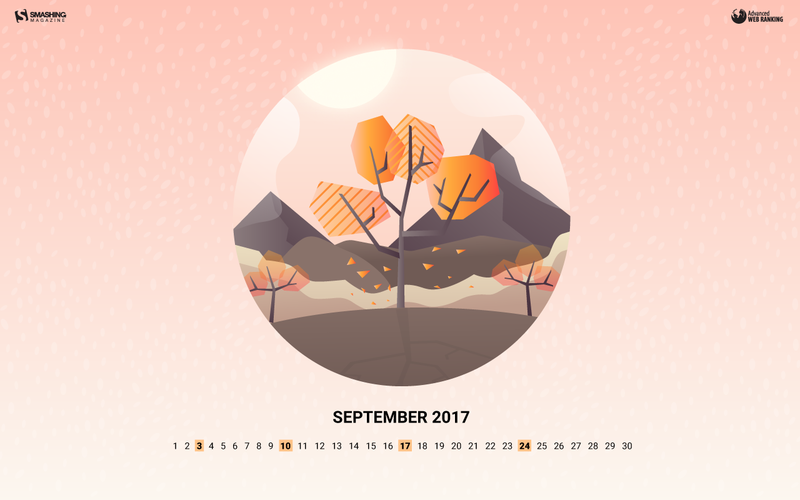 This post features their artwork for September 2017. All wallpapers come in two versions — with and without a calendar — and can be downloaded for free. Time to freshen up your desktop! 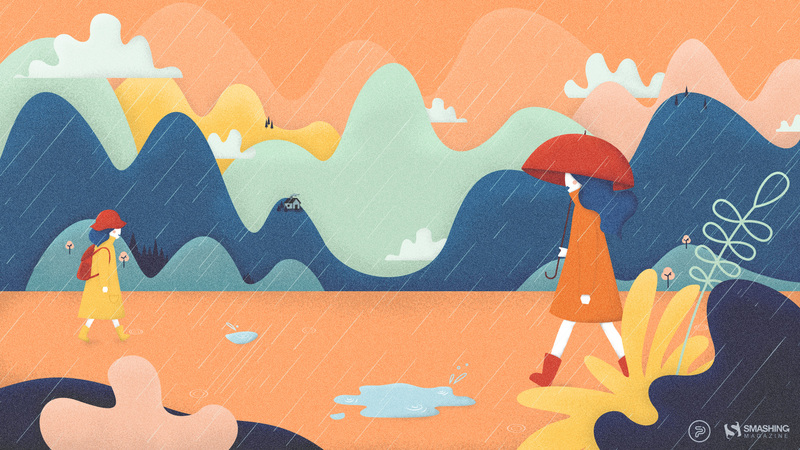 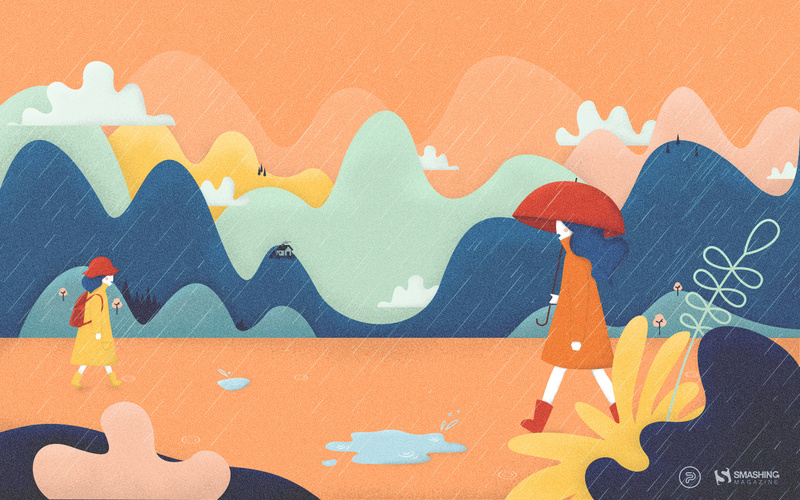 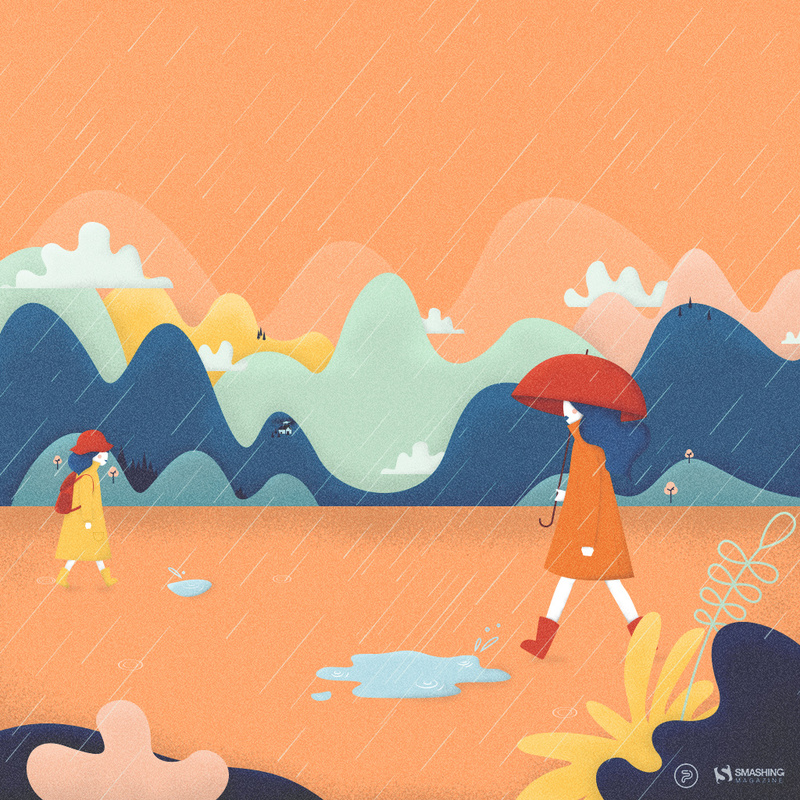 “As summer comes to an end, all the creatures pull back to their hiding places, searching for warmth within themselves and dreaming of neverending adventures under the tinted sky of closing dog days.” — Designed by Ana Masnikosa from Belgrade, Serbia. “It is inevitable. 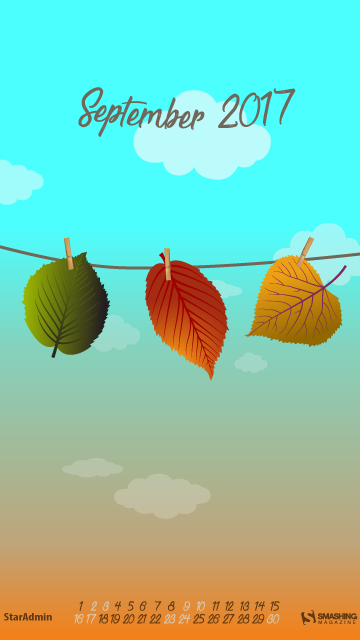 Summer is leaving silently. Let us think of ways to make the most of what is left of the beloved season.” — Designed by Bootstrap Dashboards from India. 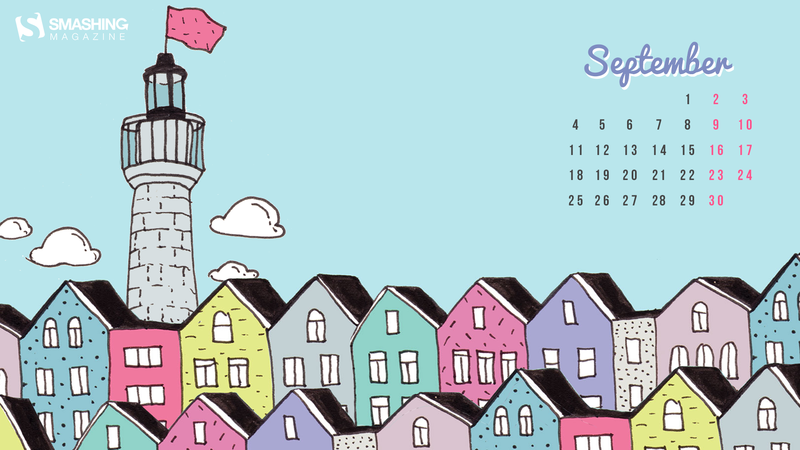 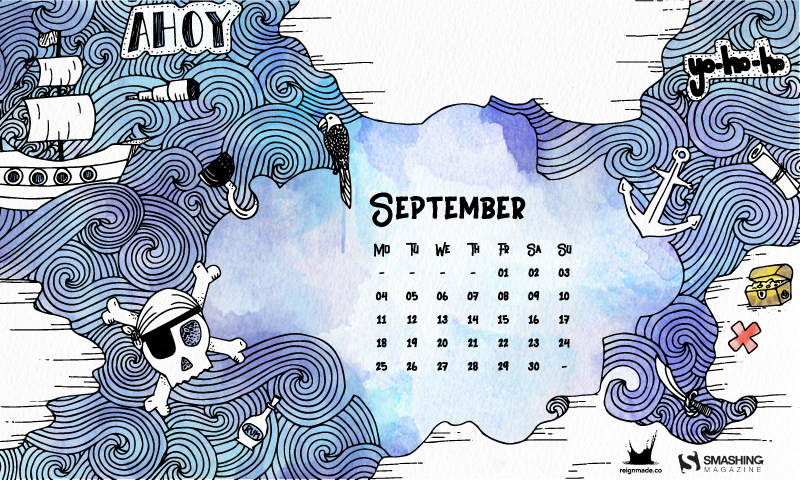 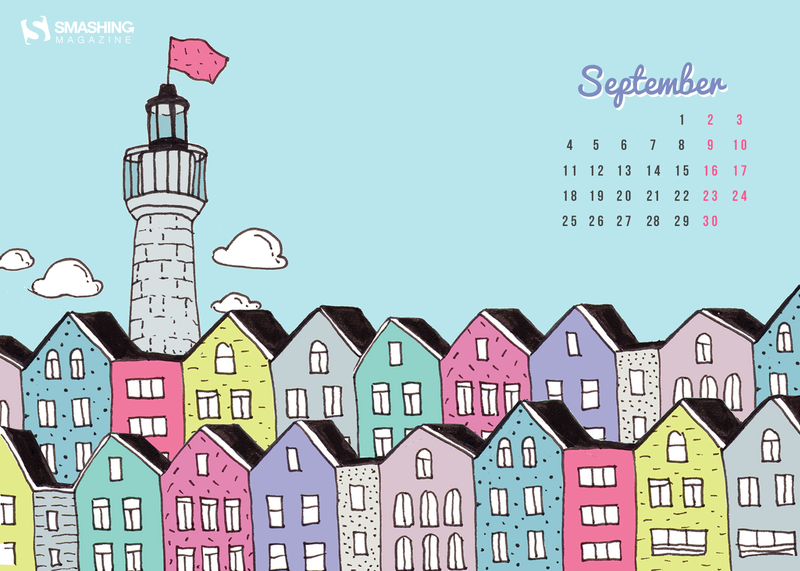 “This calendar was inspired by International Talk Like a Pirate Day (September 19) — one of the many obscure and quirky days we celebrate in New Orleans. Our fair, colorfully corrupt city has entertained its share of outlaws over the years, but none as infamous as the pirate Jean Lafitte, a Frenchman who terrorized sailors and ships in the Gulf of Mexico and distributed his booty from a warehouse in New Orleans in the early 1800s. 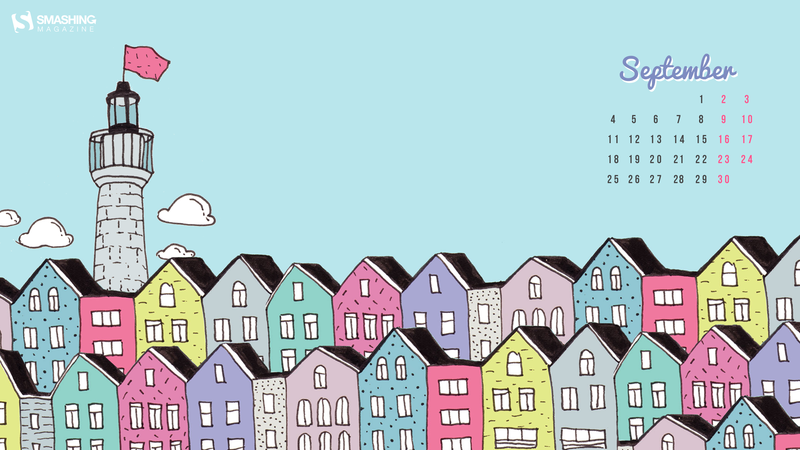 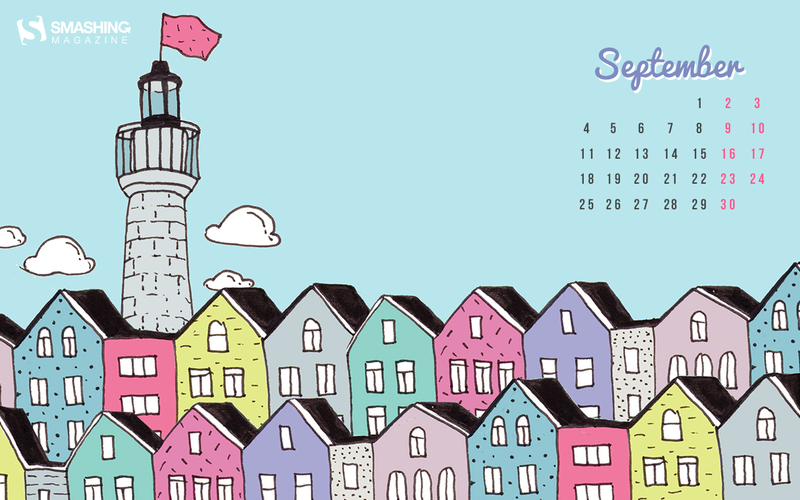 This calendar is a playful tribute to all of the misfits, outcasts and swashbucklers who call New Orleans home.” — Designed by Sonnie Sulak from New Orleans, LA. 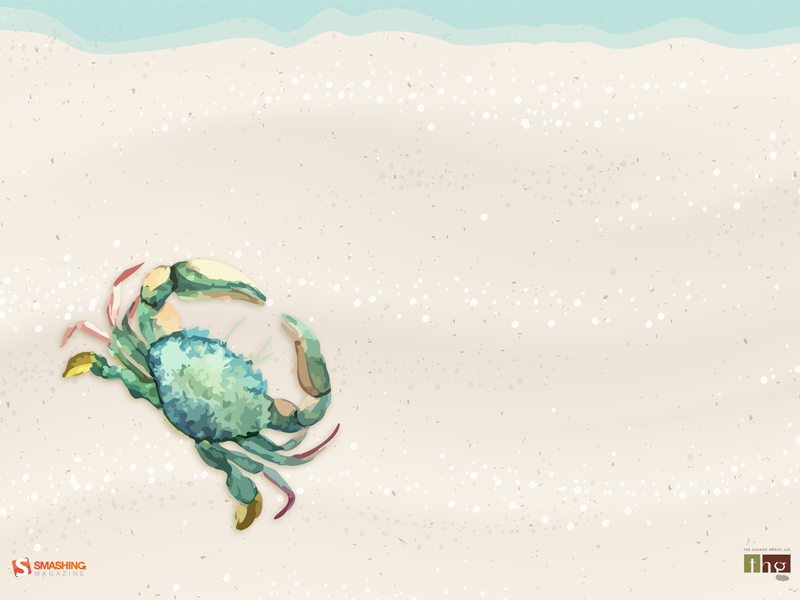 “As summer comes to a close, so does the end of blue crab season in Maryland. Blue crabs have been a regional delicacy since the 1700s and have become Maryland’s most valuable fishing industry, adding millions of dollars to the Maryland economy each year. 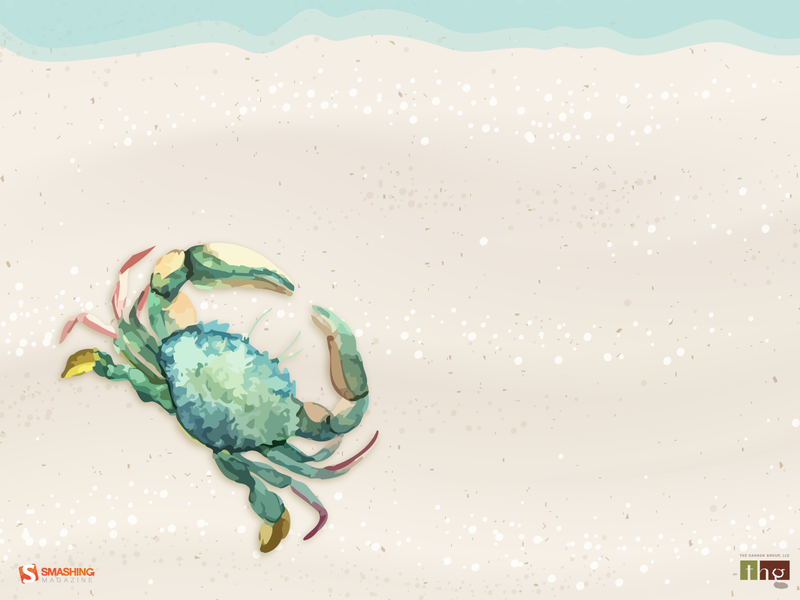 With more than 455 million blue crabs swimming in the Chesapeake Bay, these tasty critters can be prepared in a variety of ways and have become a summer staple in many homes and restaurants across the state. The blue crab has contributed so much to the state’s regional culture and economy, in 1989 it was named the State Crustacean, cementing its importance in Maryland history.” — Designed by The Hannon Group from Washington DC. 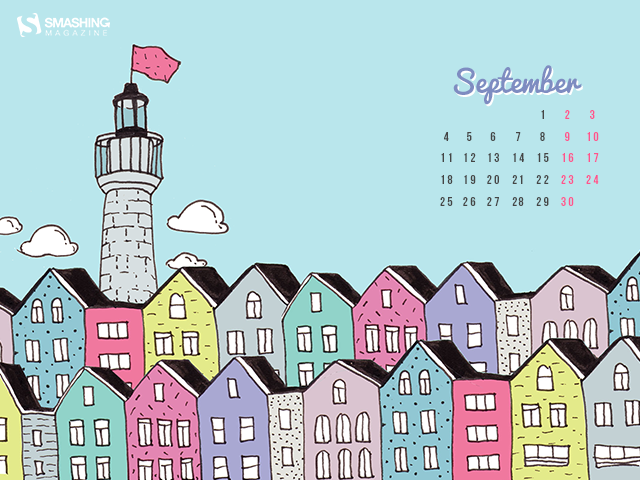 “It’s officially the end of the summer and I’m still in vacation mood, dreaming about all the amazing places I’ve seen. 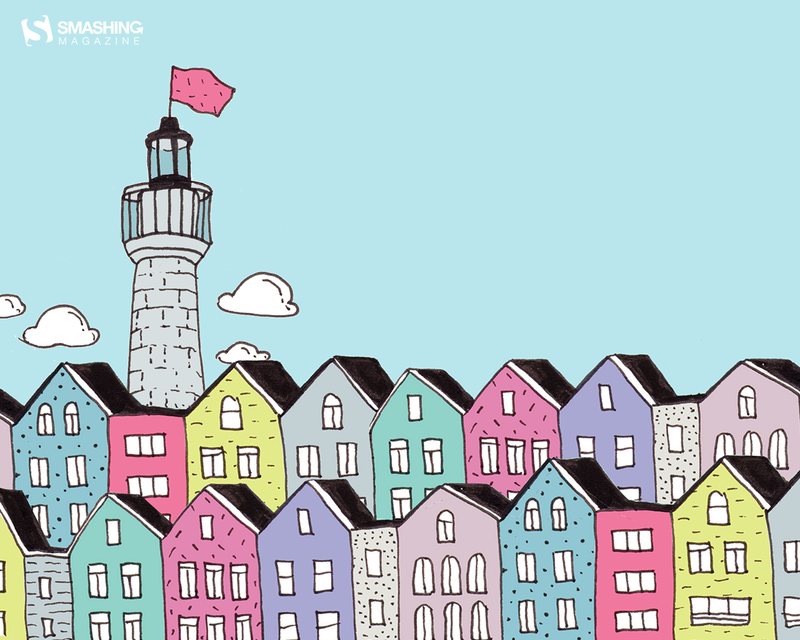 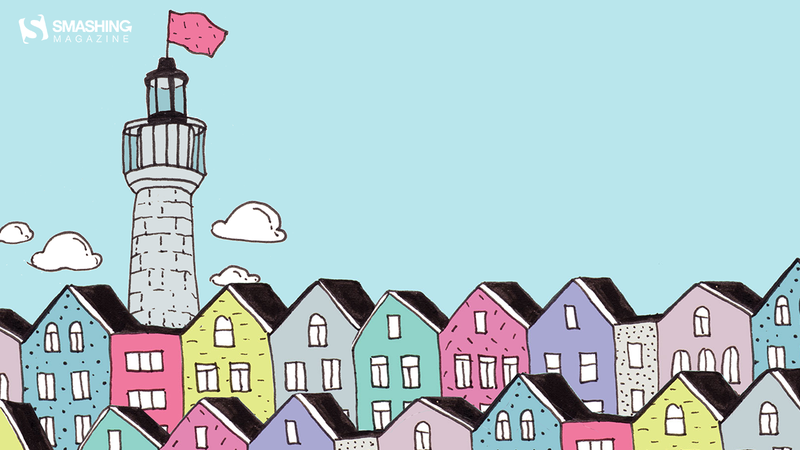 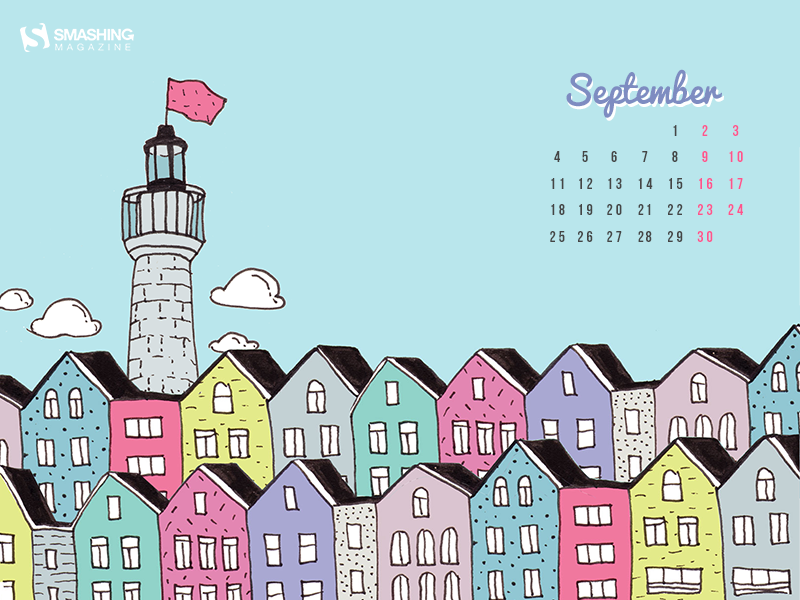 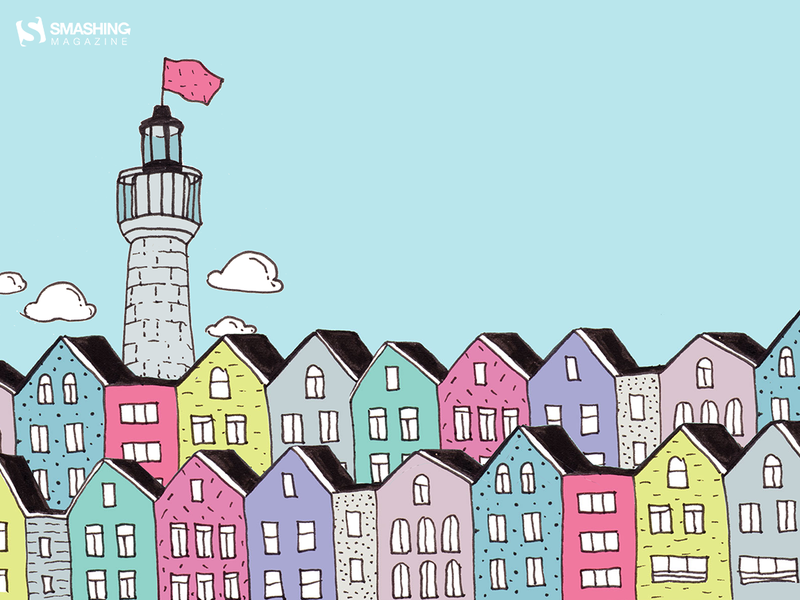 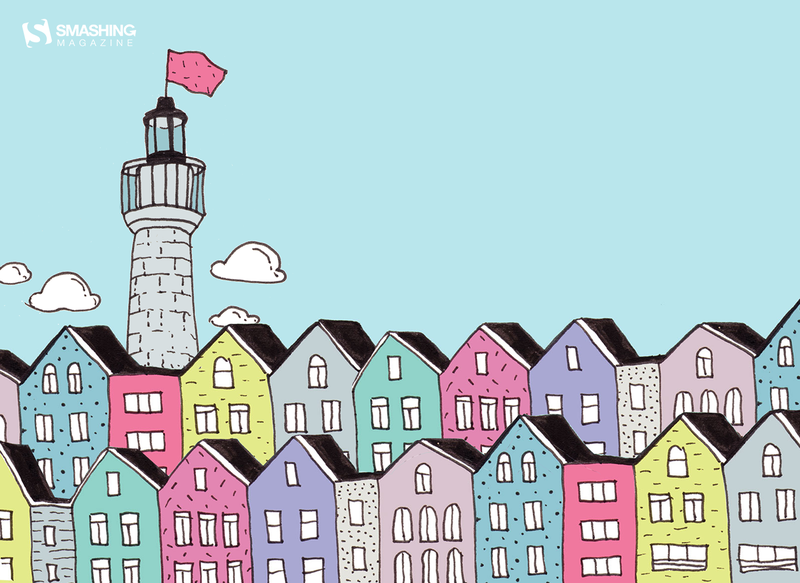 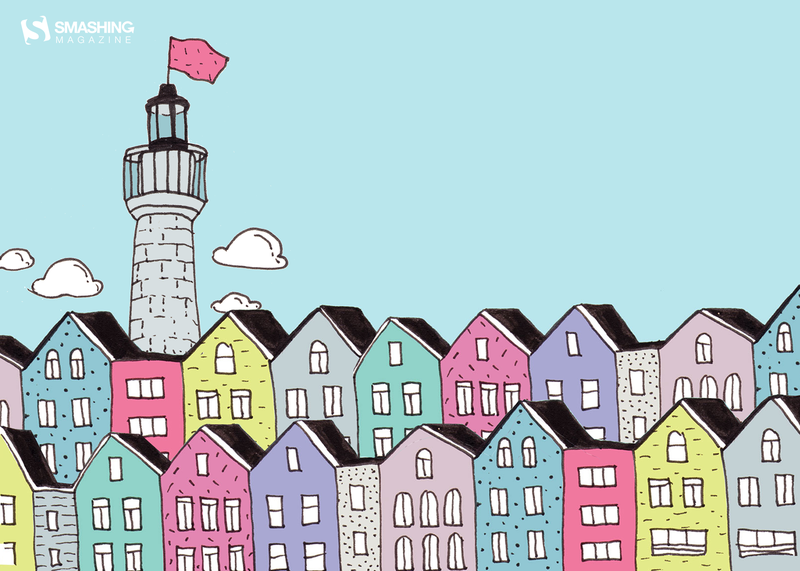 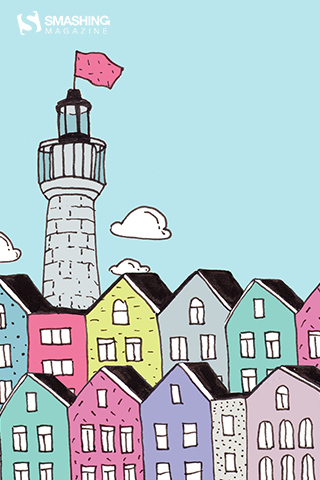 This illustration is inspired by a small town in France, on the Atlantic coast, right by the beach.” — Designed by Miruna Sfia from Romania. “This autumn, we expect to see a lot of rainy days and blues, so we wanted to change the paradigm and wish a warm welcome to the new season. After all, if you come to think of it: rain is not so bad if you have an umbrella and a raincoat. 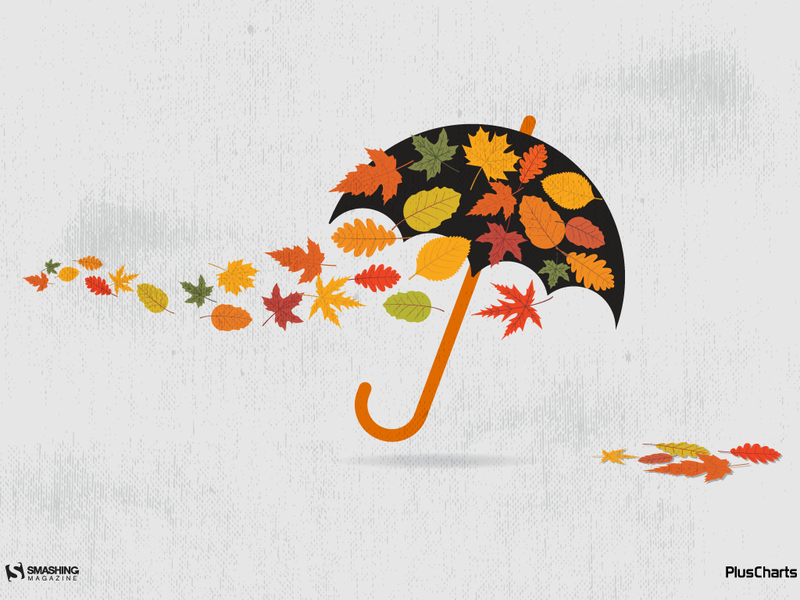 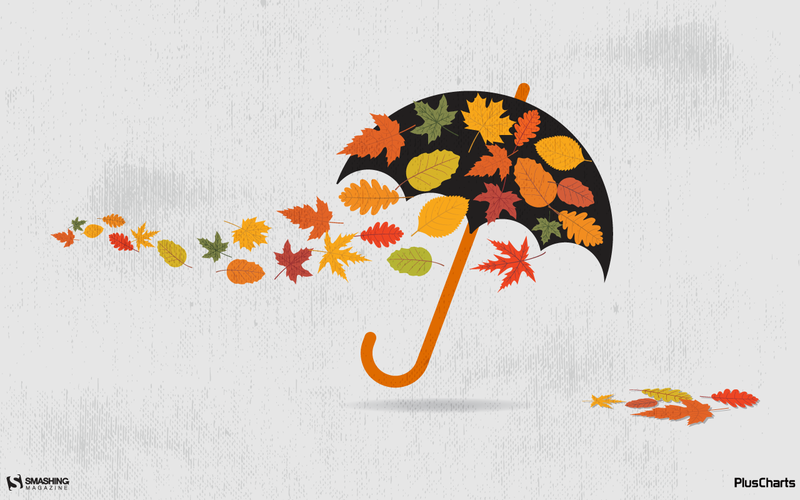 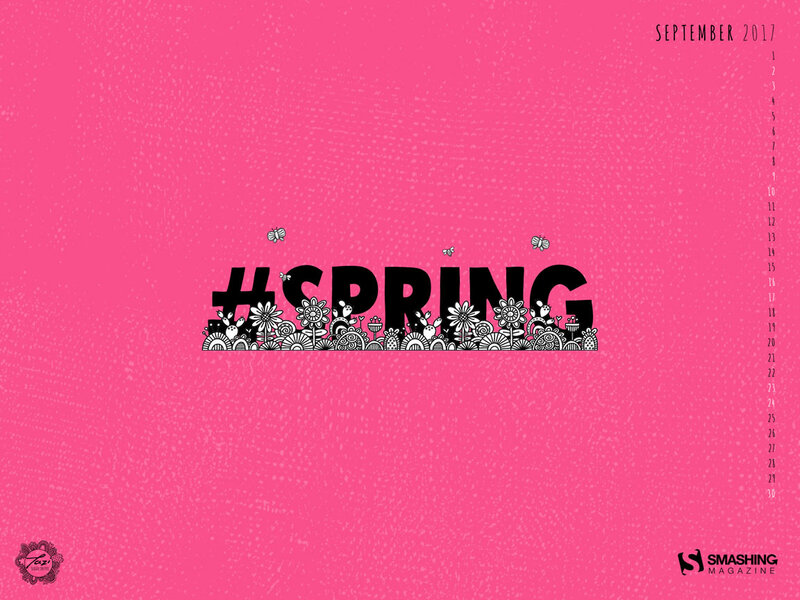 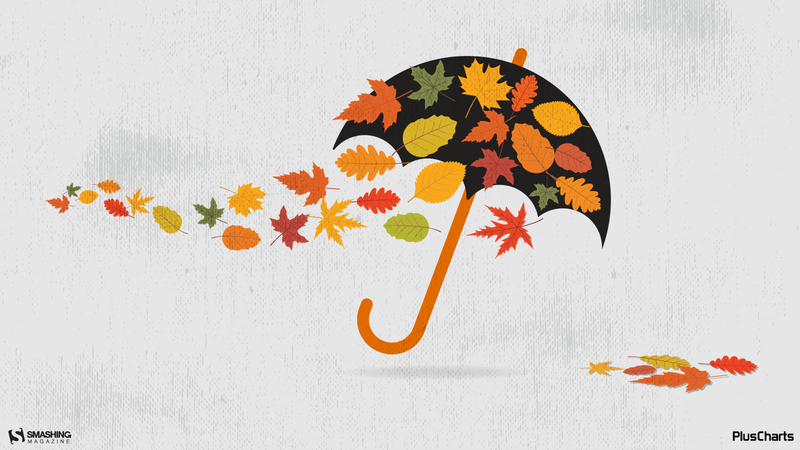 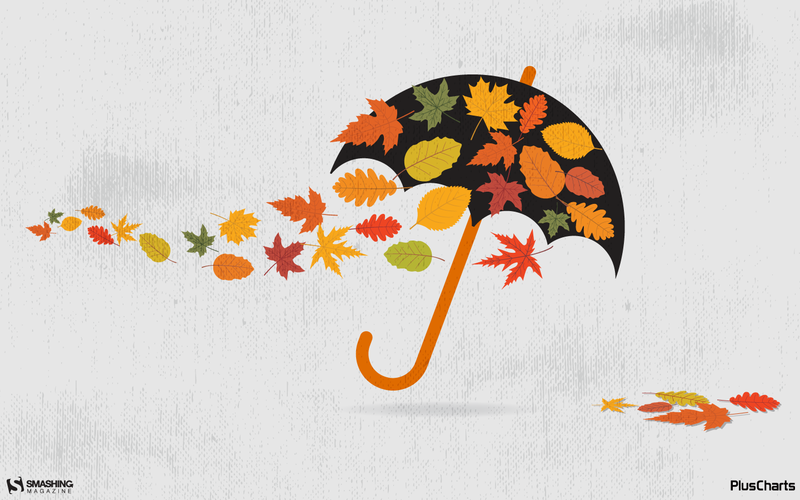 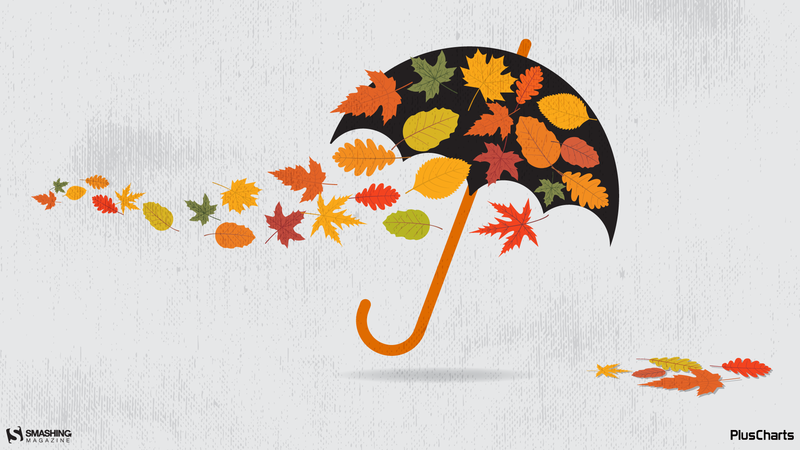 Come autumn, we welcome you!” — Designed by PopArt Studio from Serbia. “Cats are beautiful animals. They’re quiet, clean and warm. 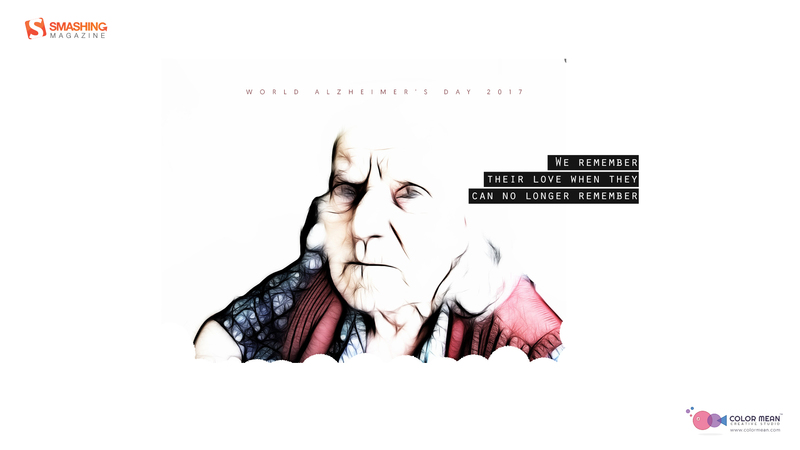 They’re funny and can become an endless source of love and entertainment. 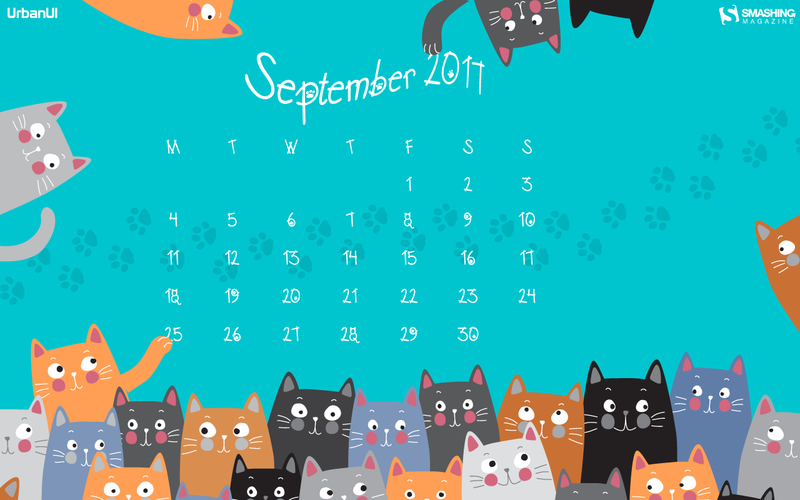 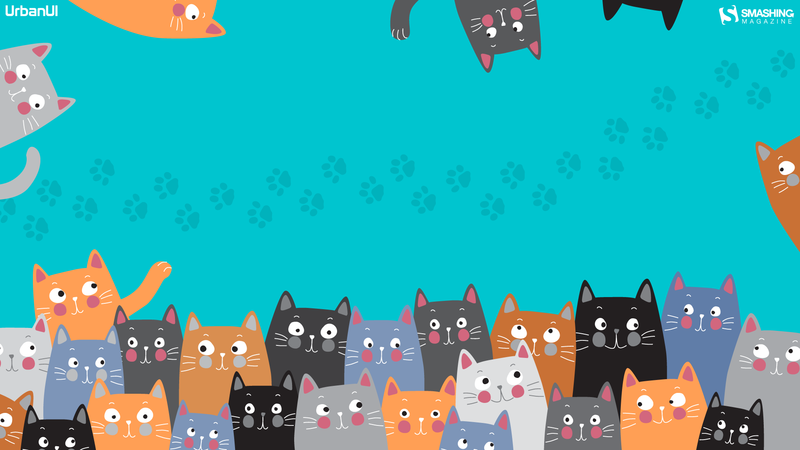 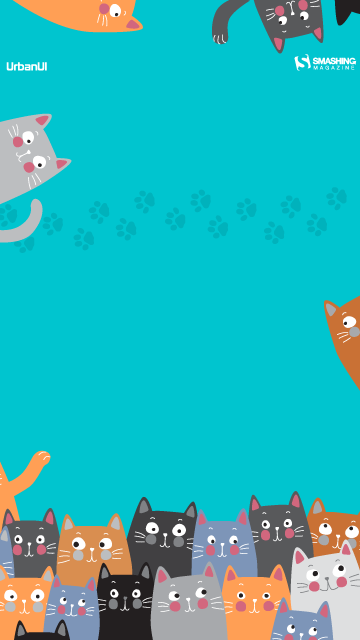 Here for the cats!” — Designed by UrbanUI from India. 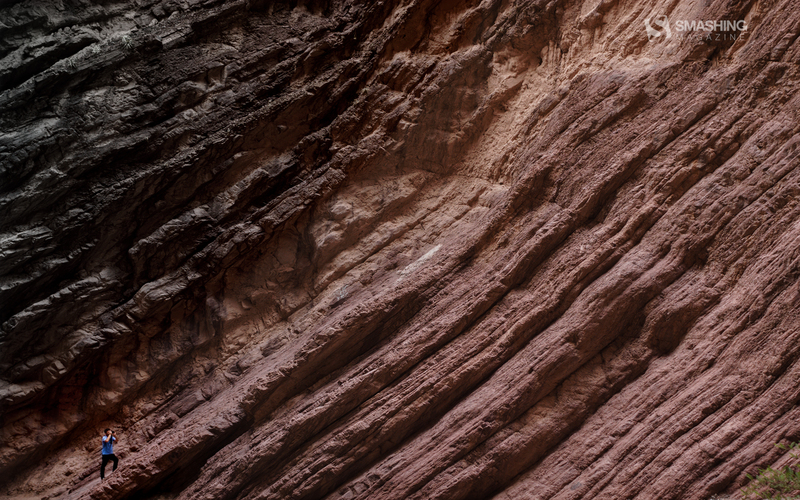 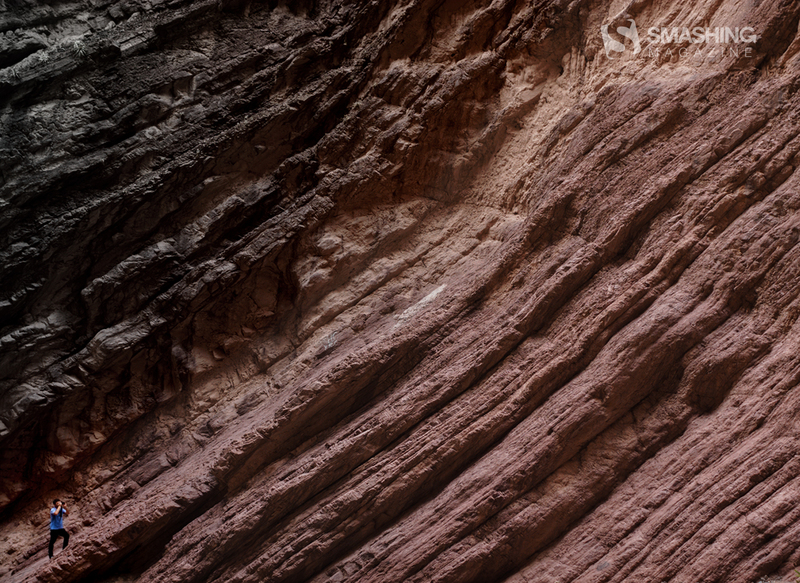 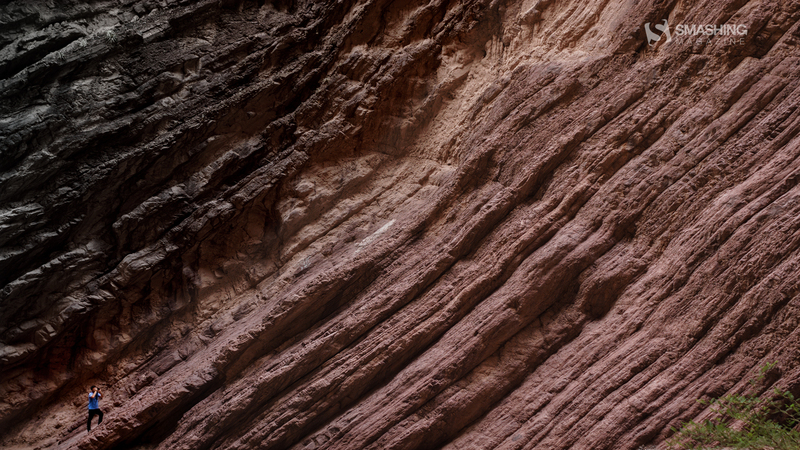 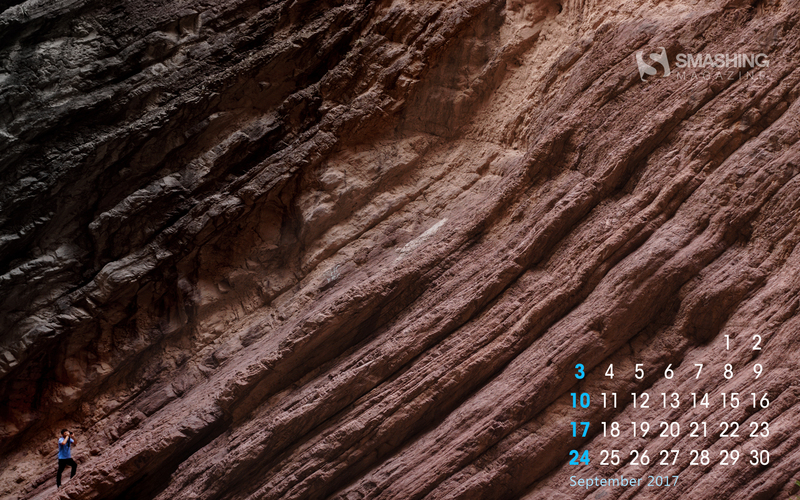 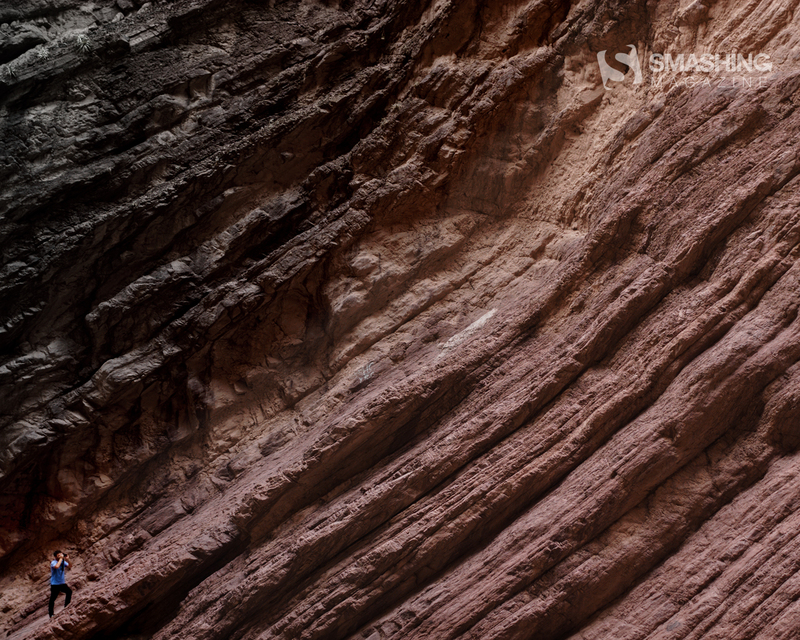 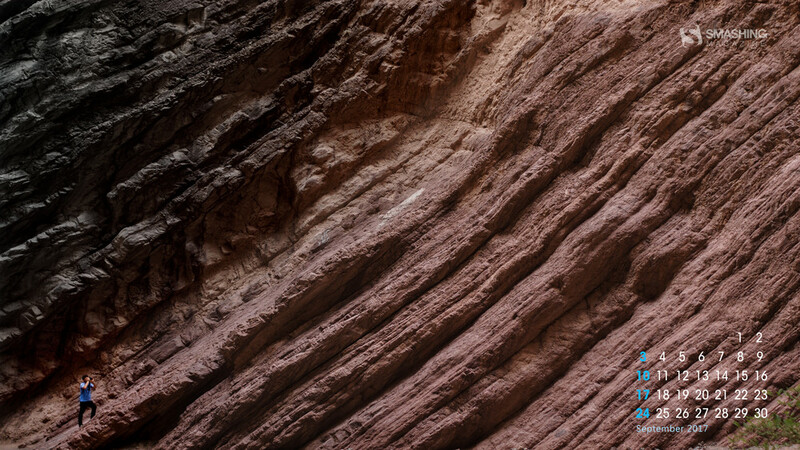 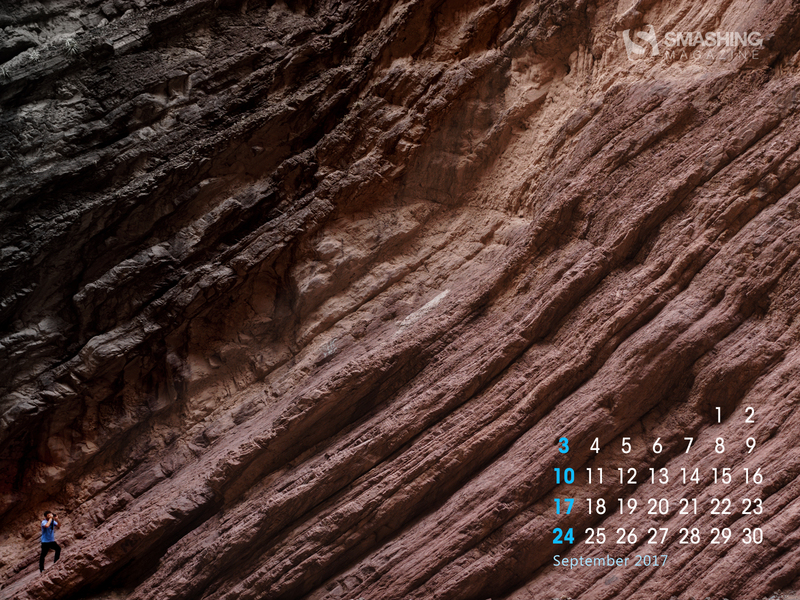 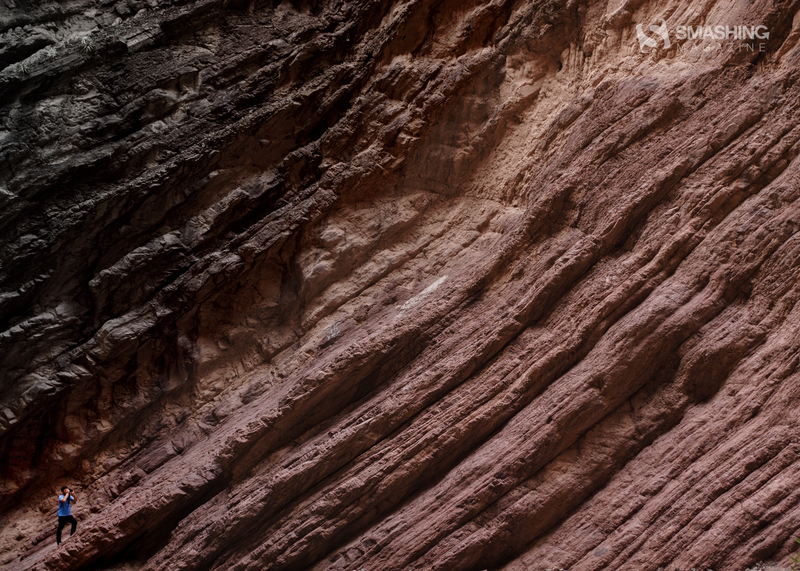 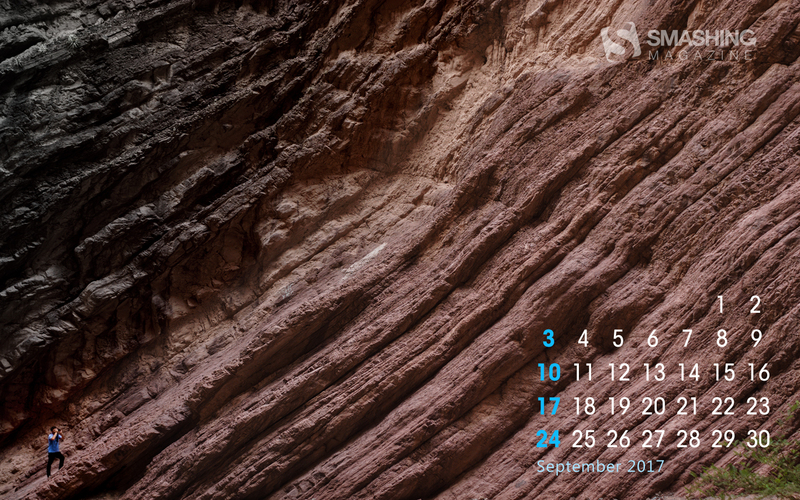 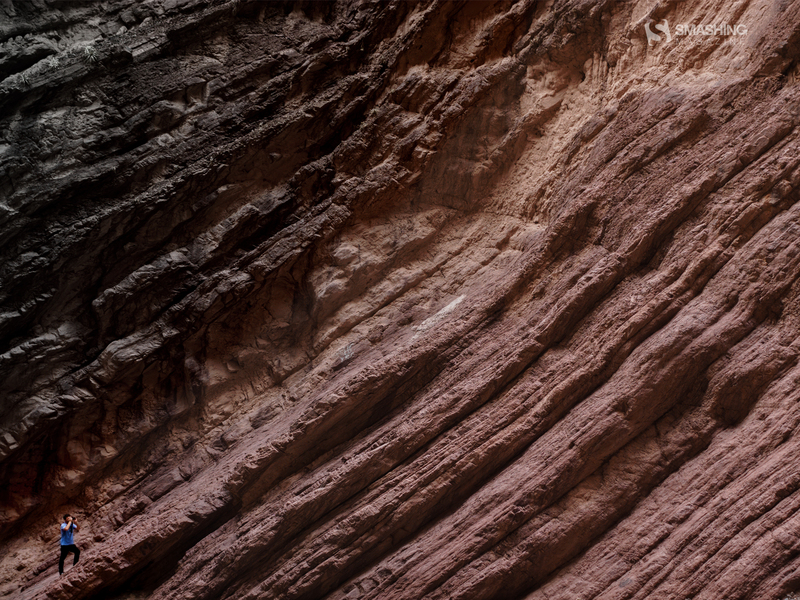 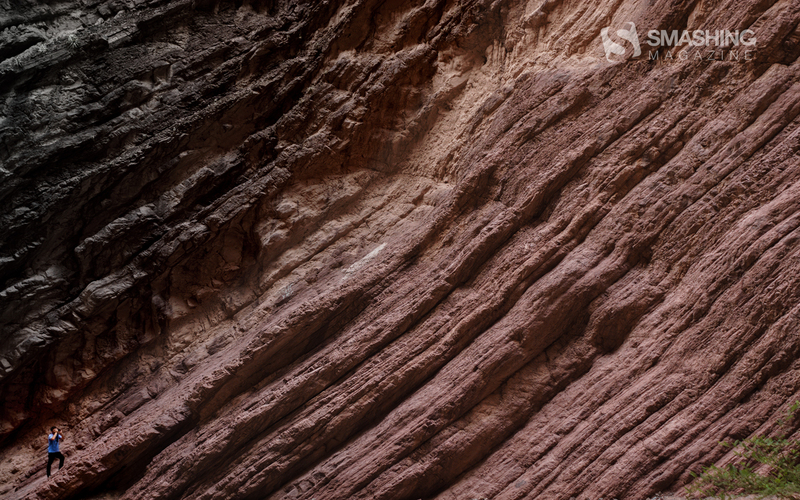 “After leading a photographic tour through Northwestern Argentina and while discovering its magical ravines and rock formations, I decided to make a wallpaper inspired by the Devil’s throat formation. 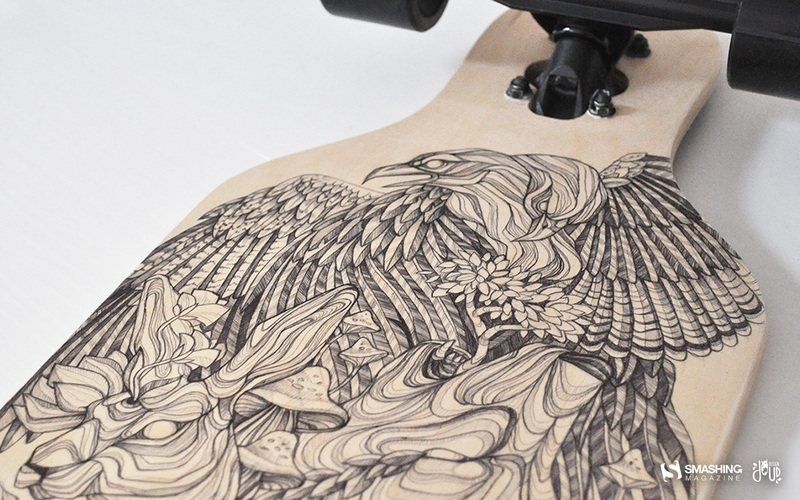 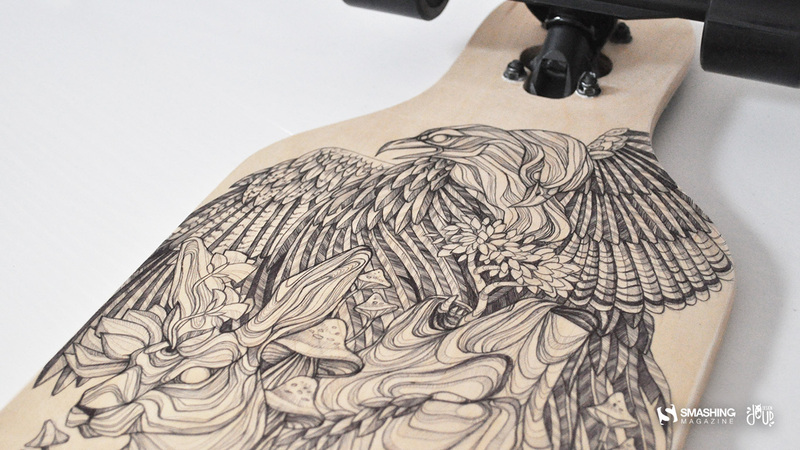 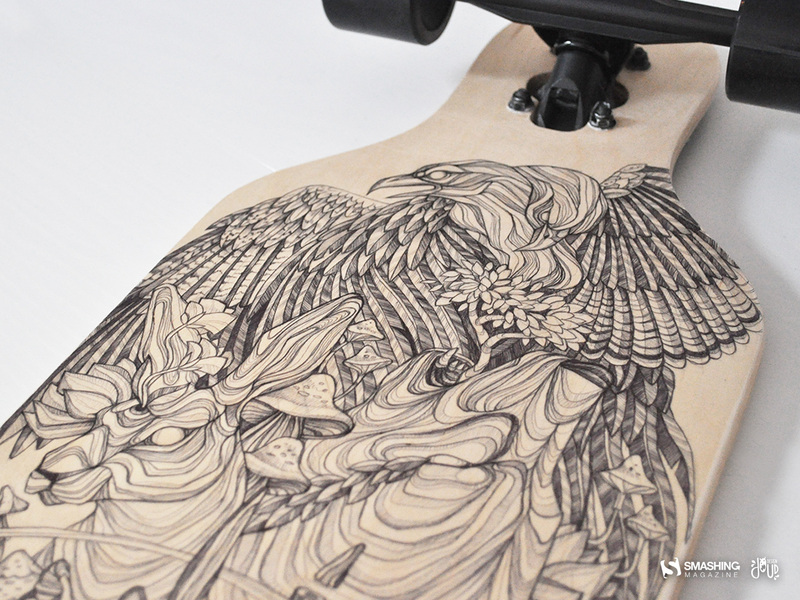 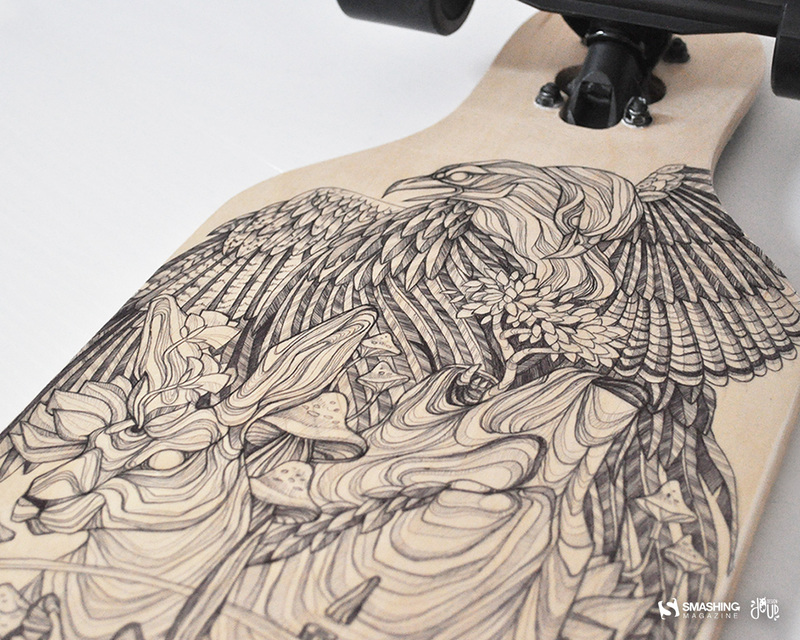 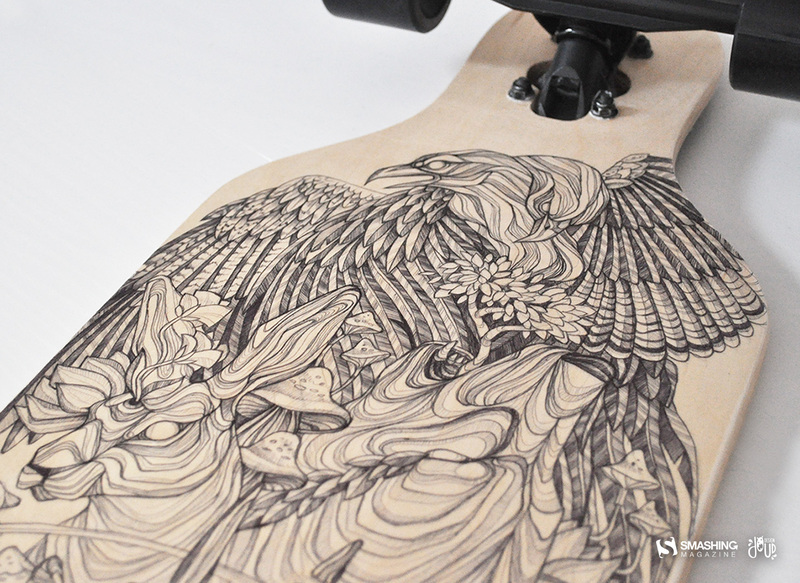 Use human for scale!” — Designed by Diego Waisman from the United States. 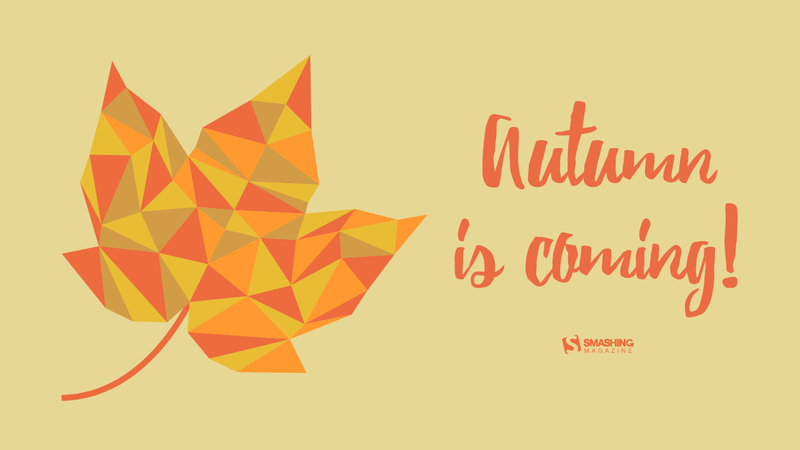 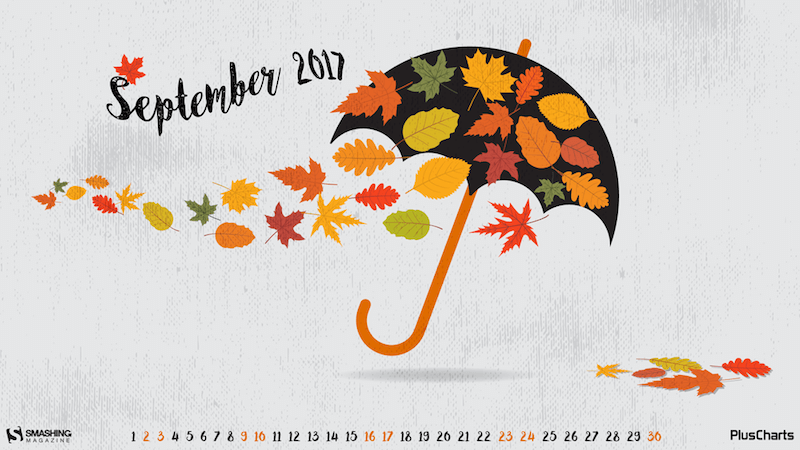 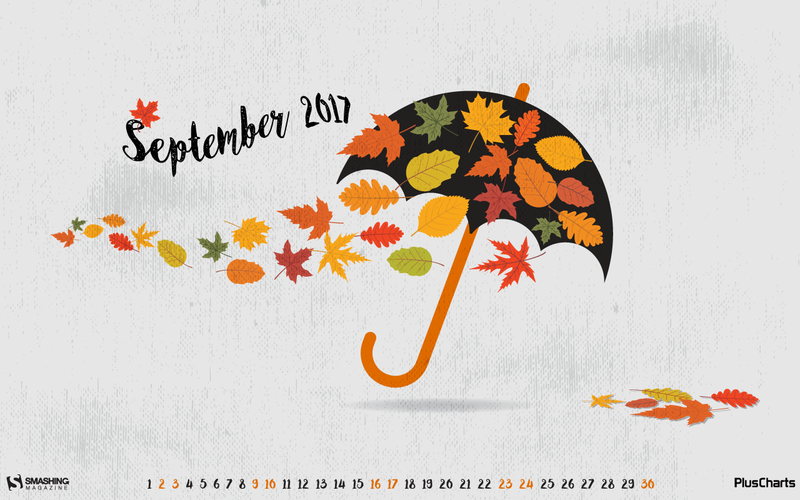 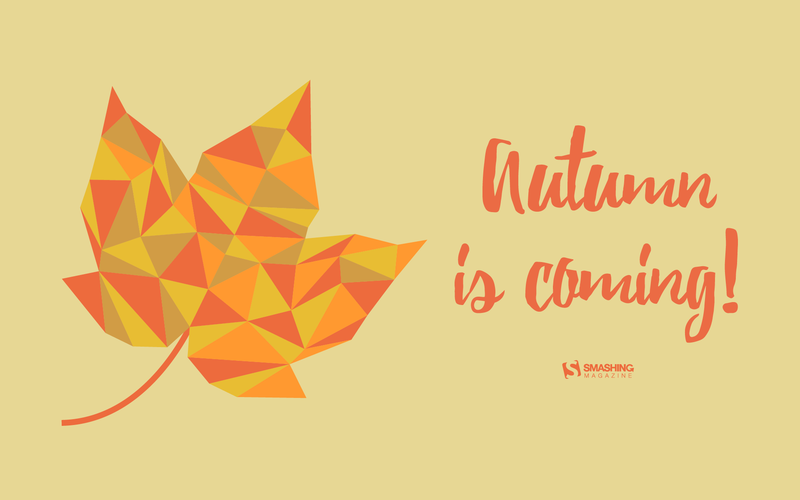 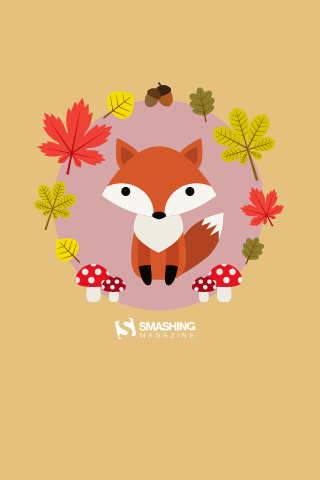 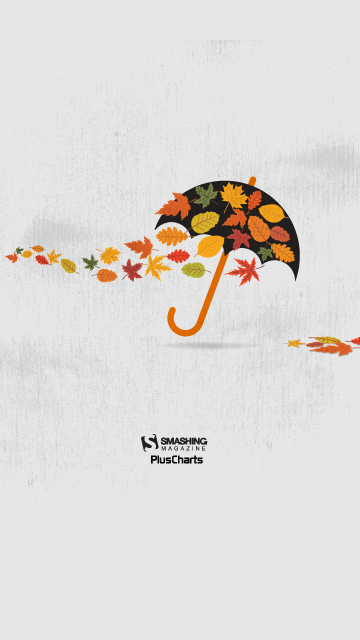 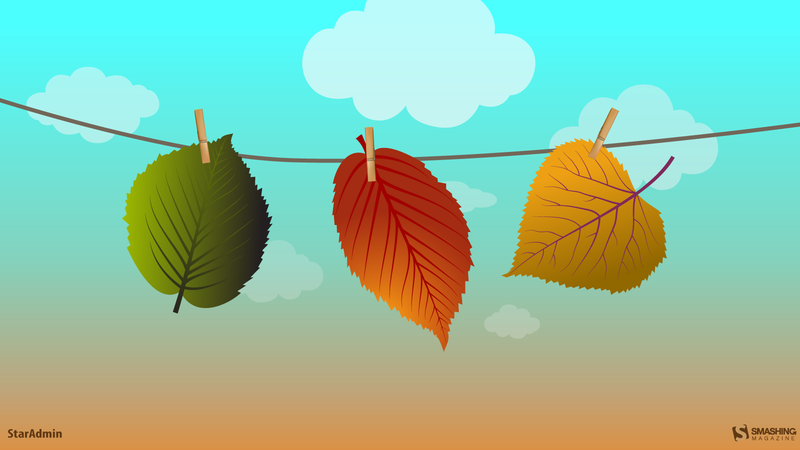 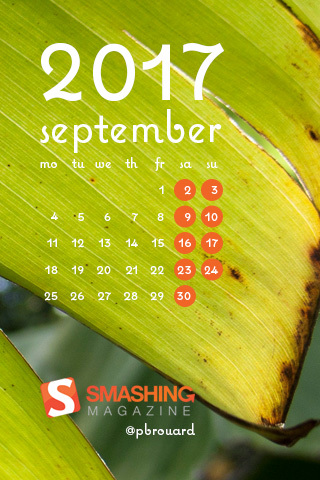 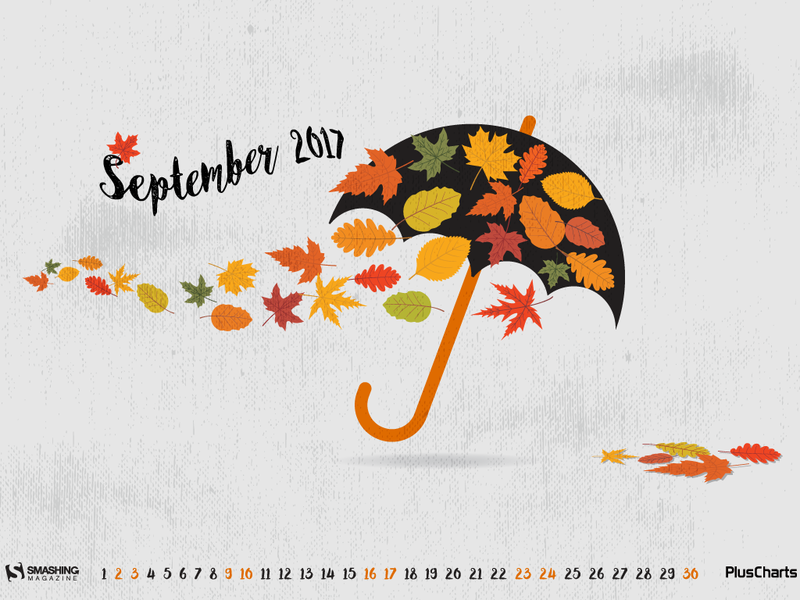 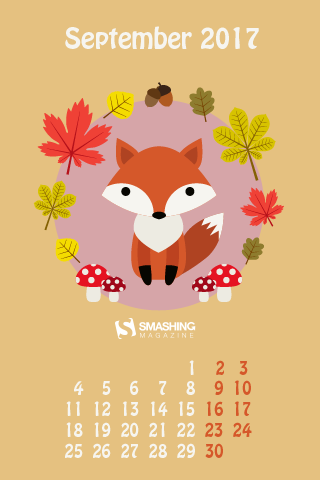 “I designed this wallpaper to remind everyone that autumn is here and they are still reading the best design website, Smashing Magazine” — Designed by Advanced Web Ranking from Romania. 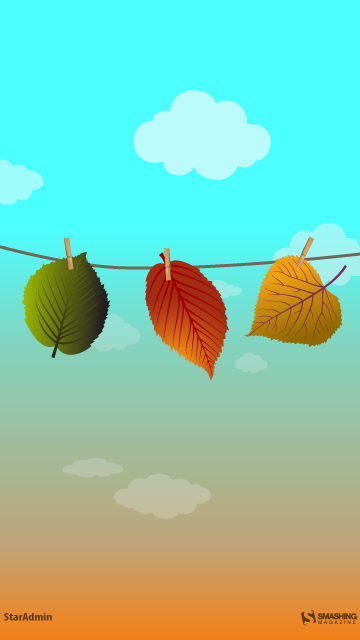 “Since it is already September, the leaves are falling and the days are getting shorter and shorter. It is also getting colder so therefore this lovely wallpaper to warm you up.” — Designed by Melissa Bogemans from Belgium. 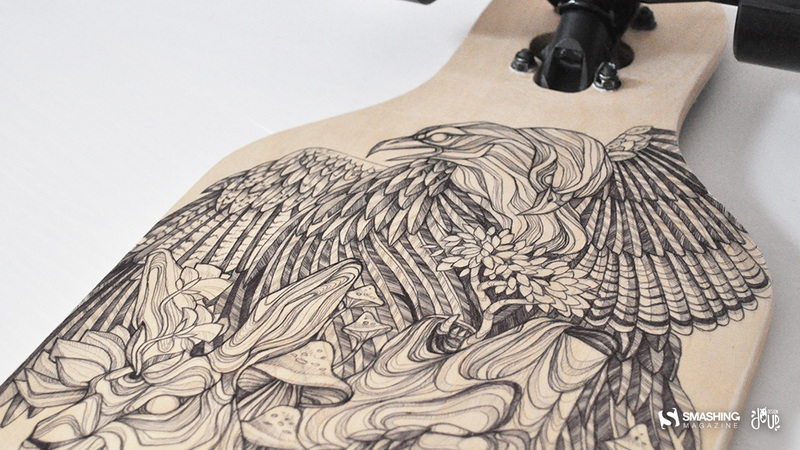 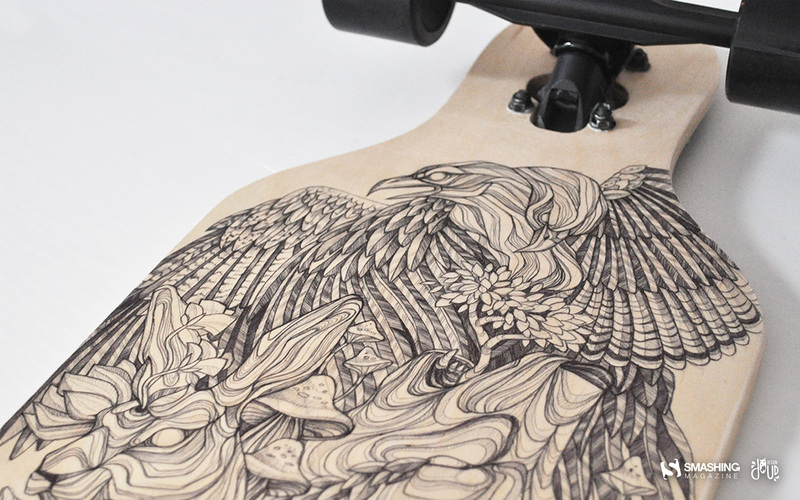 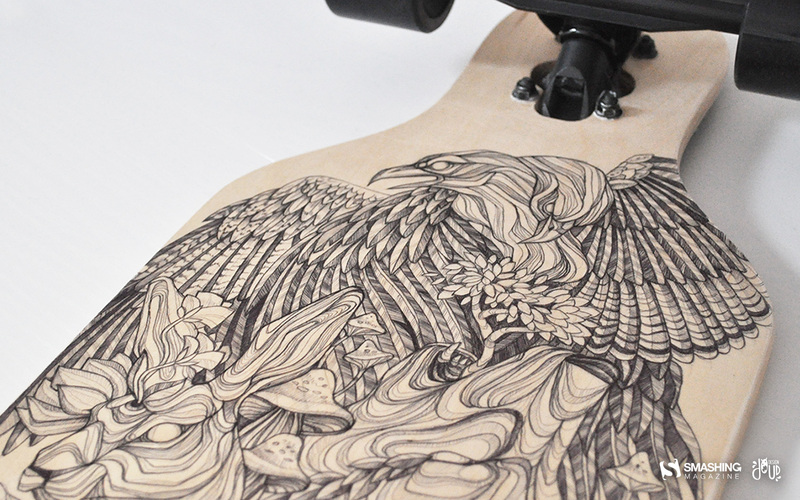 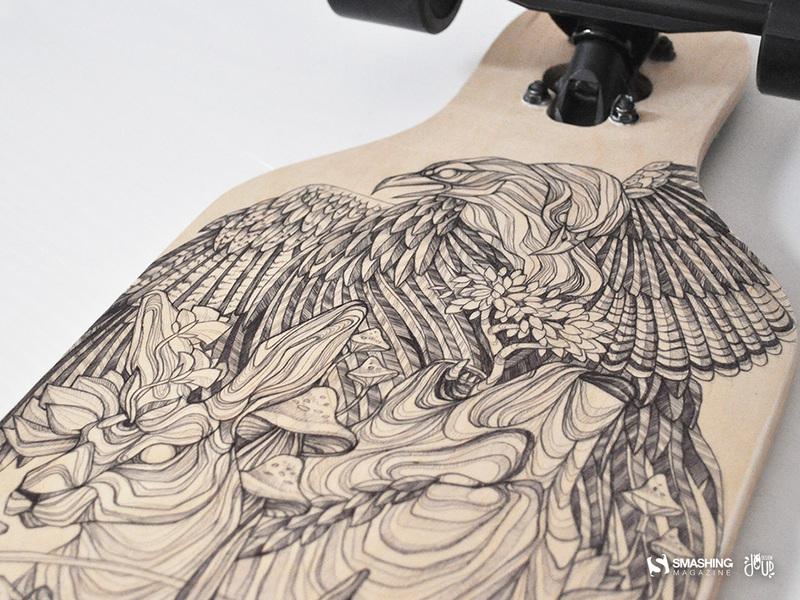 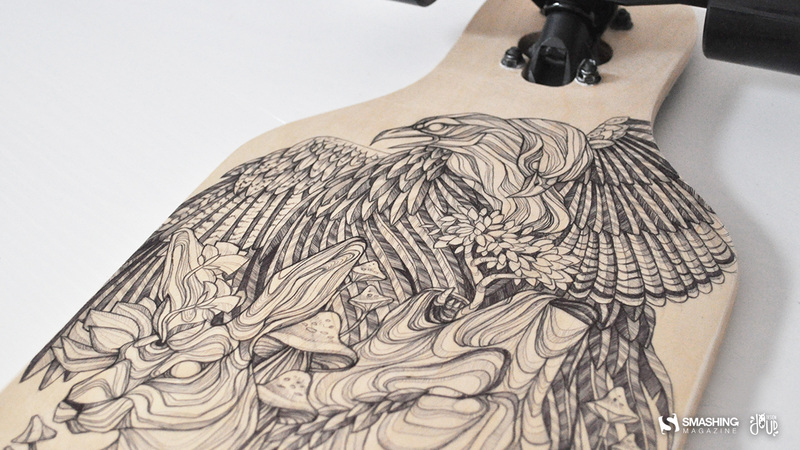 “Adapt to the seasons of life, change and transformation” — Designed by Pluscharts from India. 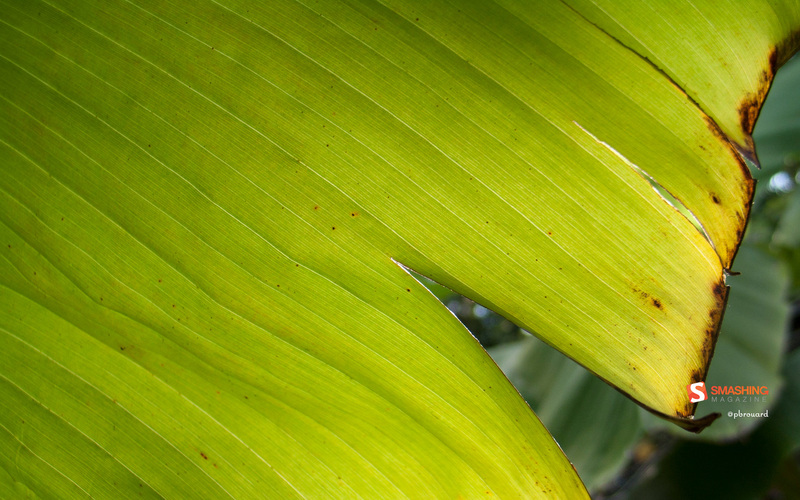 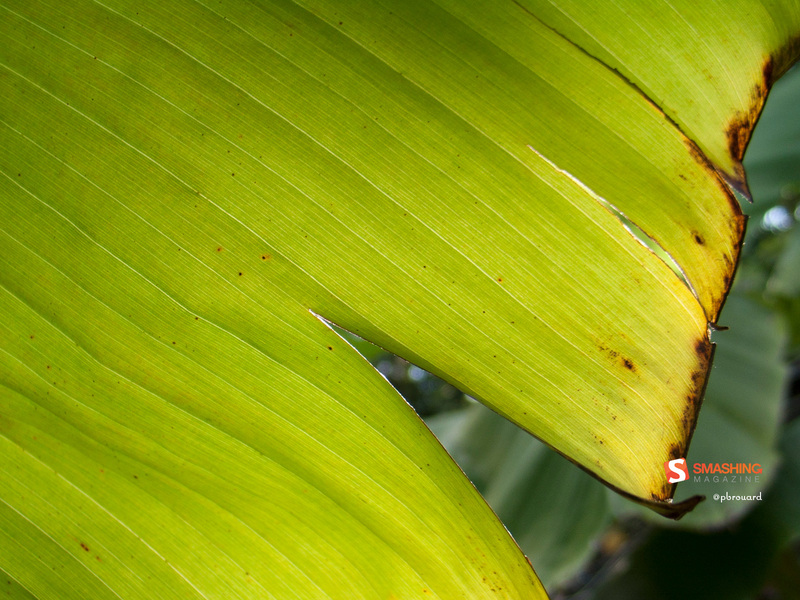 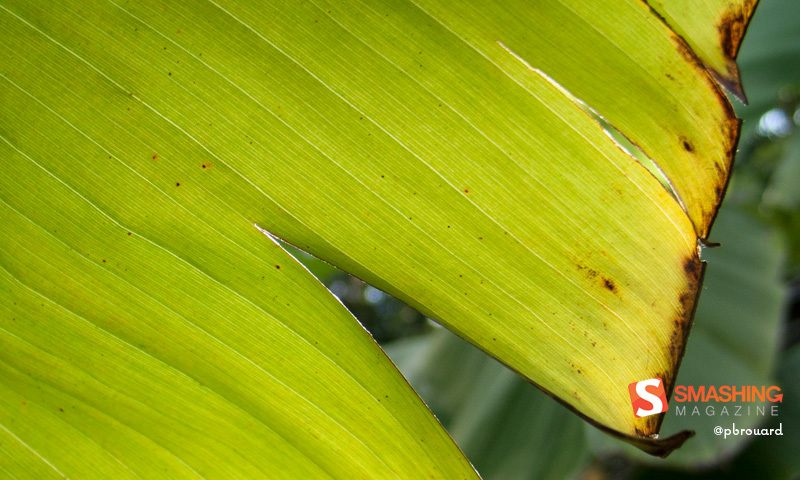 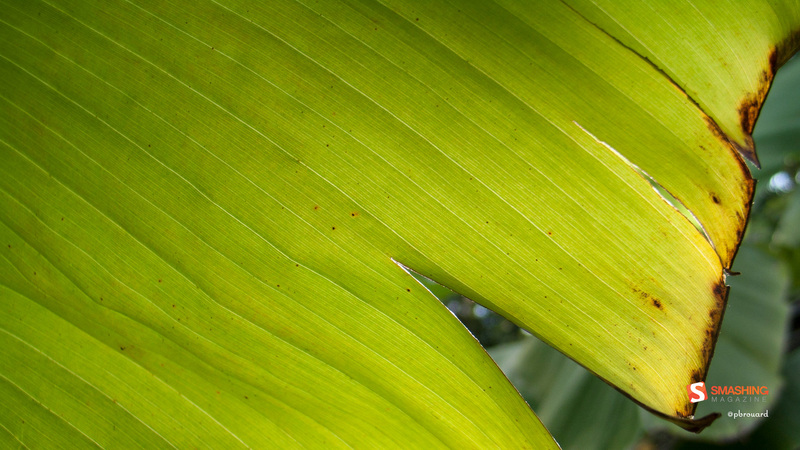 “I was visiting a beautiful garden, taking pictures of details within the plants. 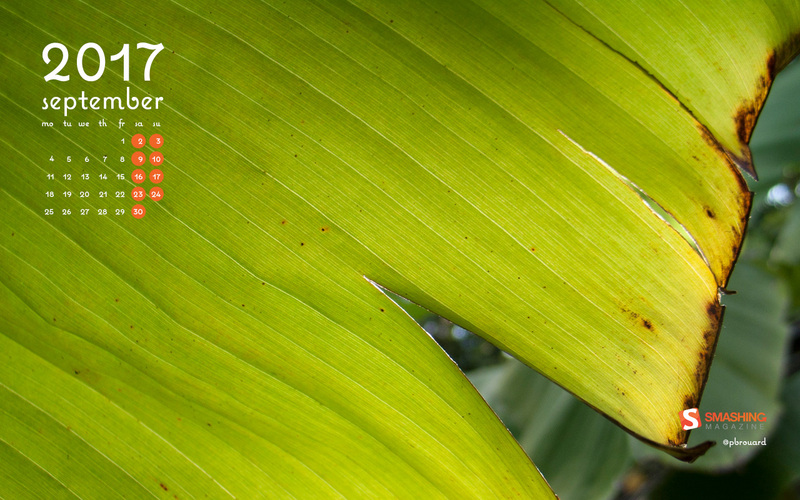 The colors of this leaf were so brilliant with the sun behind.” — Designed by Philippe Brouard from France. 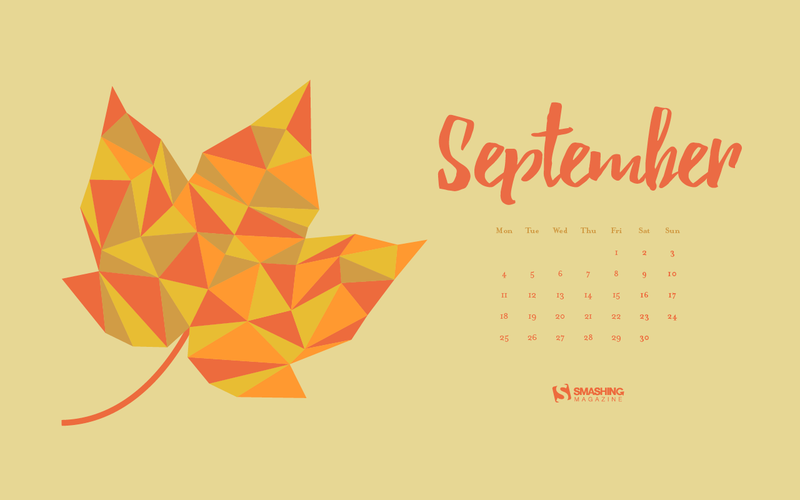 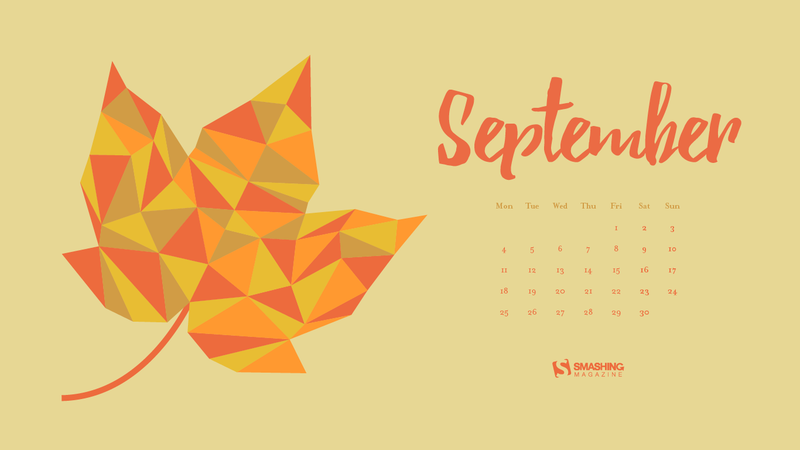 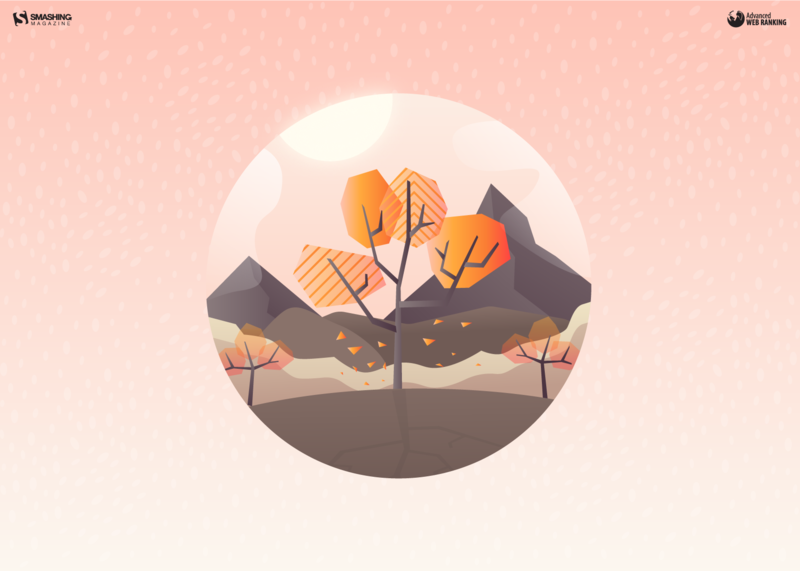 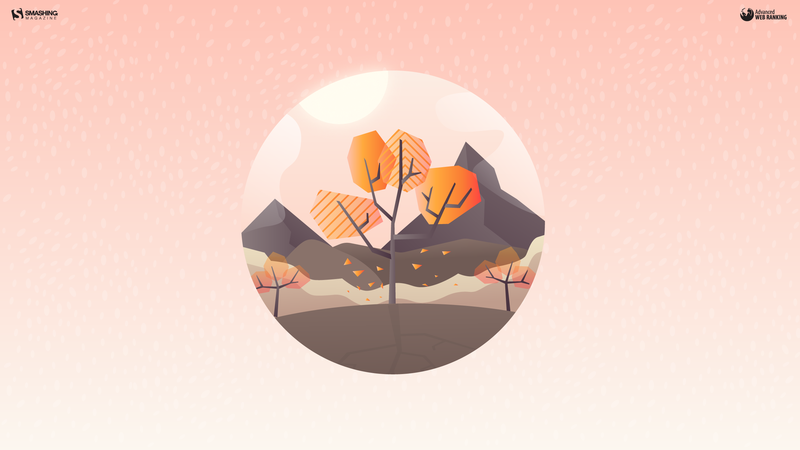 “Autumn is coming, so I decided to try out a geometric leaf design this month!” — Designed by James Mitchell from the United Kingdom. 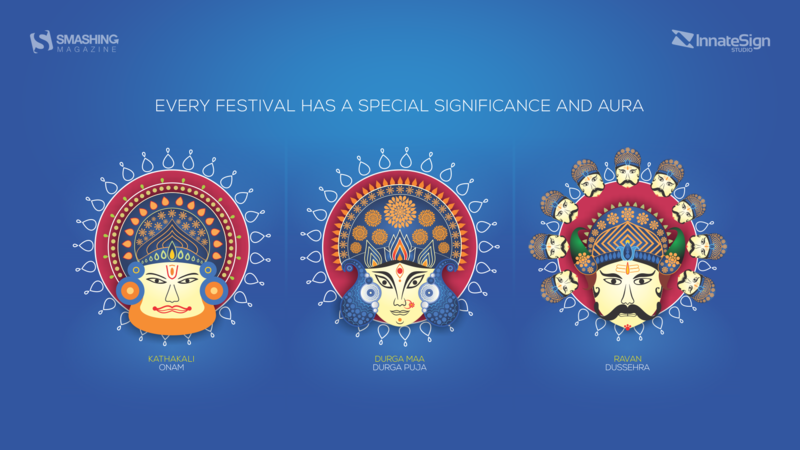 “India is a world in itself, with the richness of its heritage and culture. The beautiful festivals are a means of removing all the negativity in our minds and refreshing our souls from within. The festivals are filled with bright colors and uplifting music which rejuvenates our senses and ignites our soul with confluence of multiple energies drawn from several auspicious moments of the past. 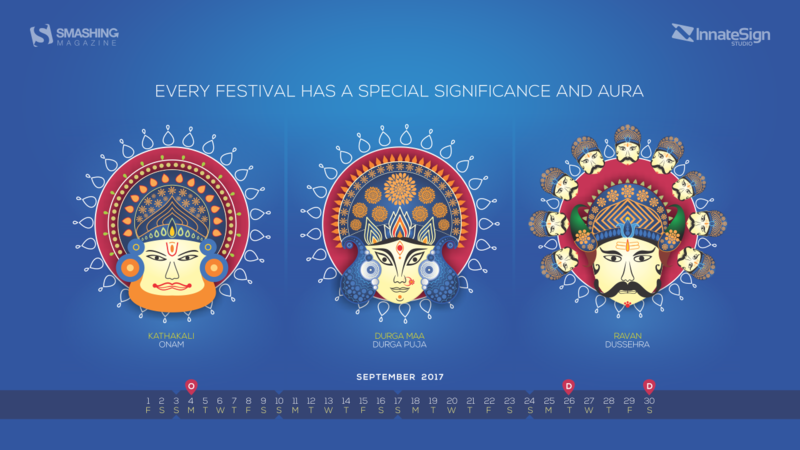 These festivals are a delight for the creative minds due to their vibrant concepts, energy, colors and art blended in to beautiful form. 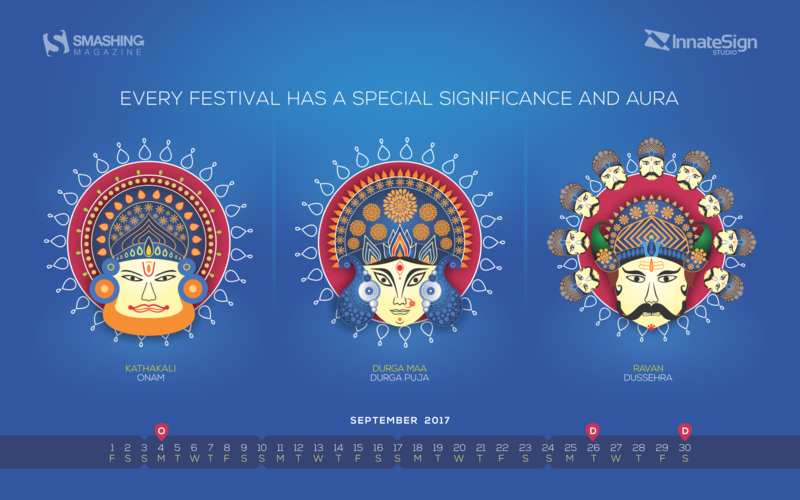 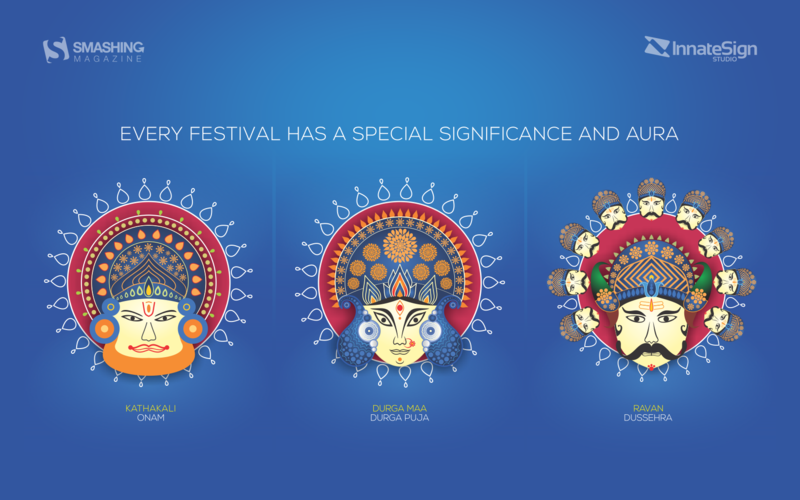 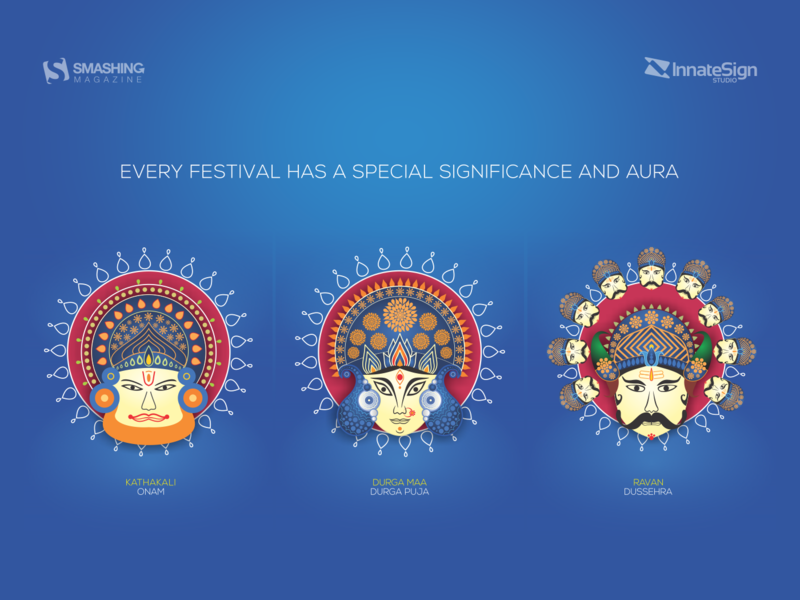 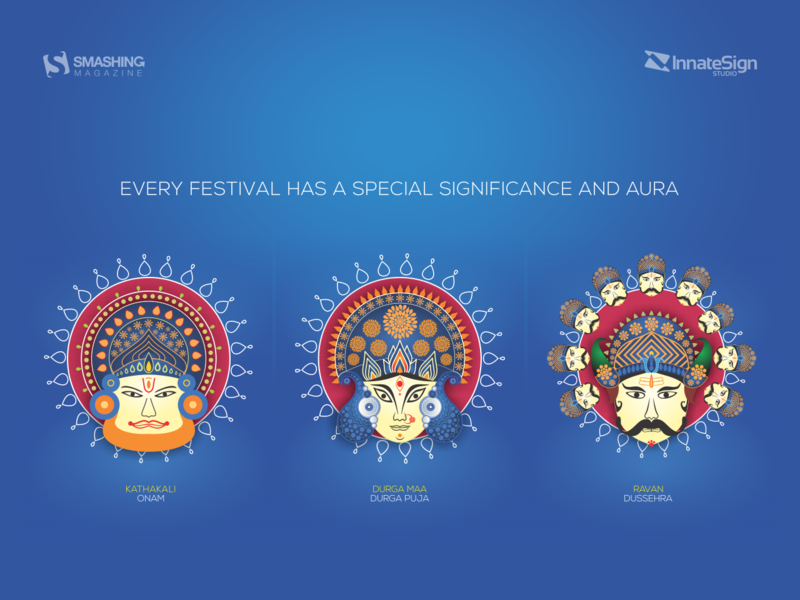 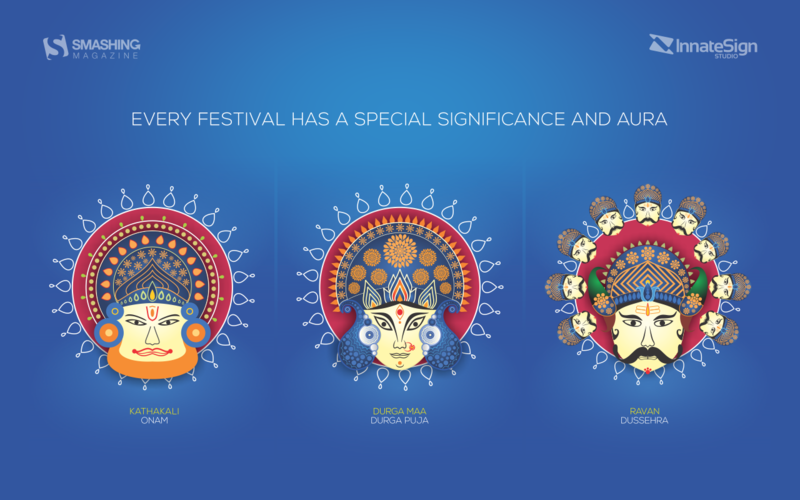 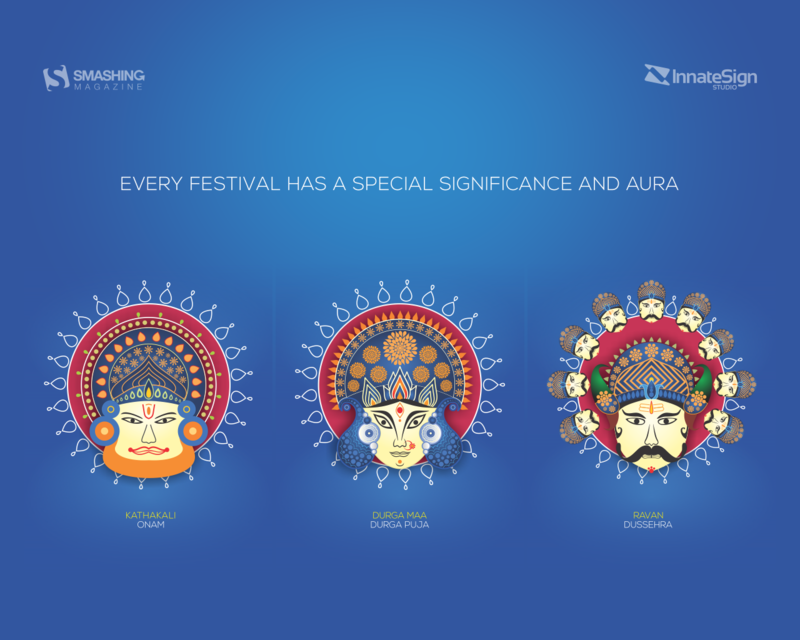 Every festival has a special significance and aura, I would like to communicate it to the world through this wallpaper.” — Designed by Shyam Pawar from India. 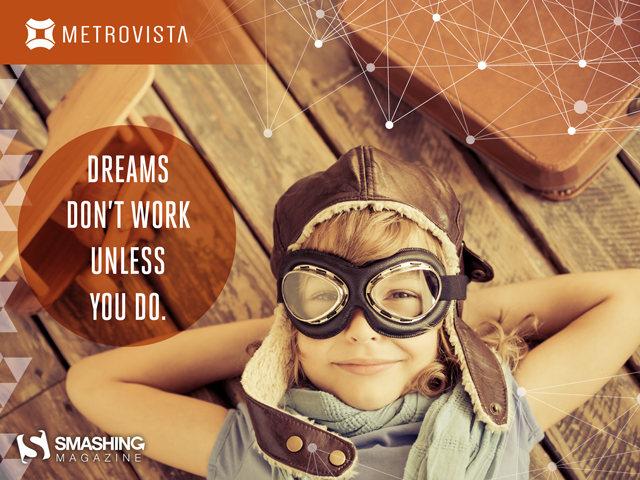 Designed by Metrovista from Orlando, FL. 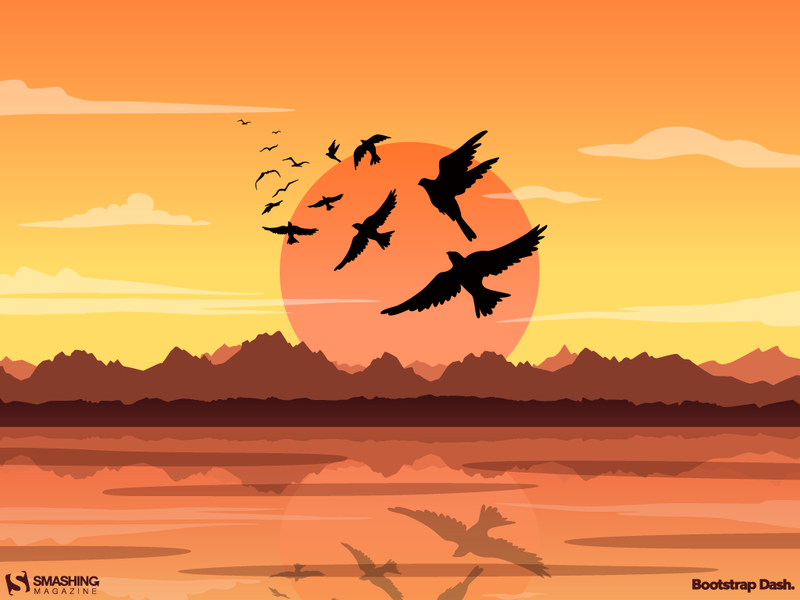 “Travel and change of place adds new vigor to the mind. 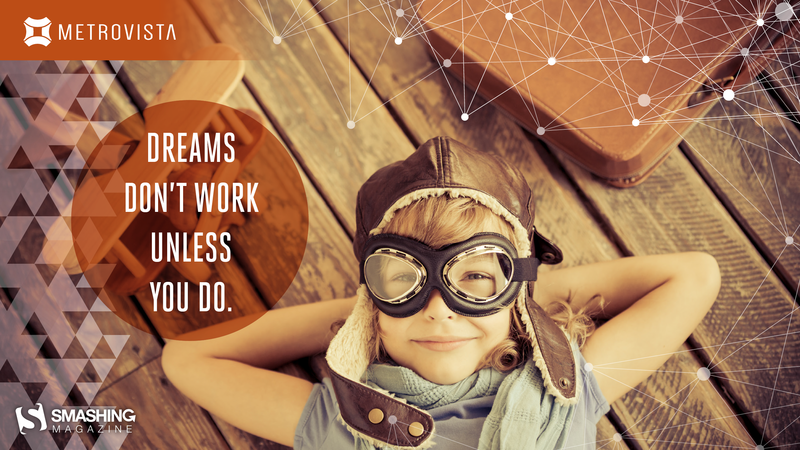 Take a break, forget your worries and travel. Create stories of new places and adventures to tell. 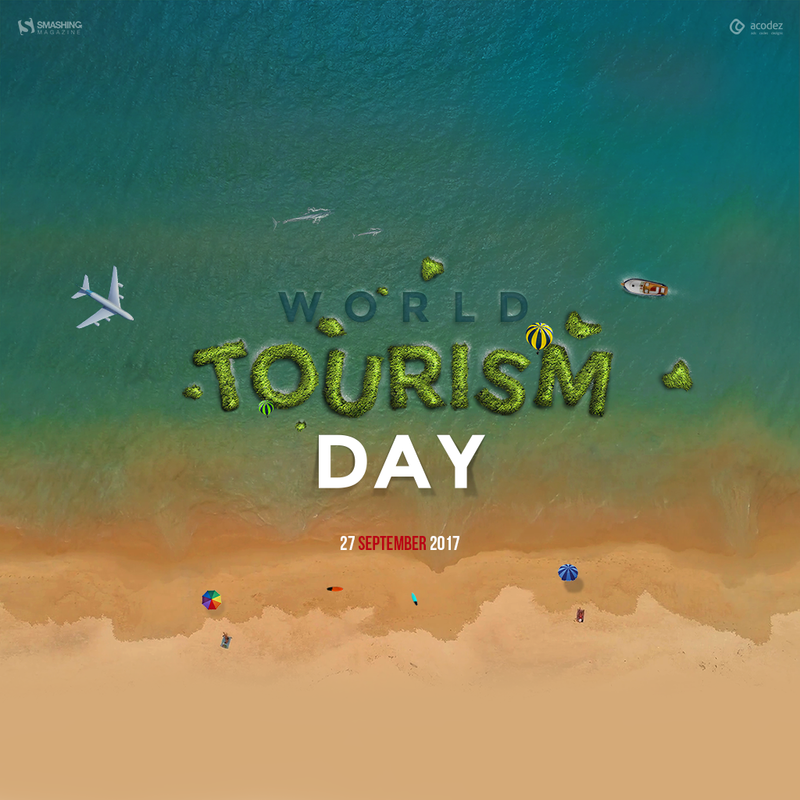 Meet new people, learn new languages, taste new cuisines, experience the beauty of different culture and traditions, and lose your spirit to the soul of the universe which lies in traveling. 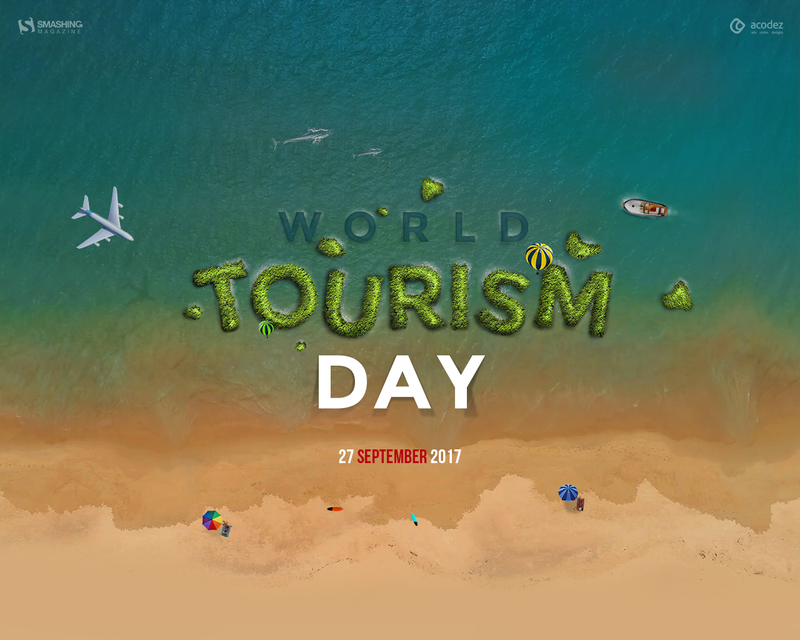 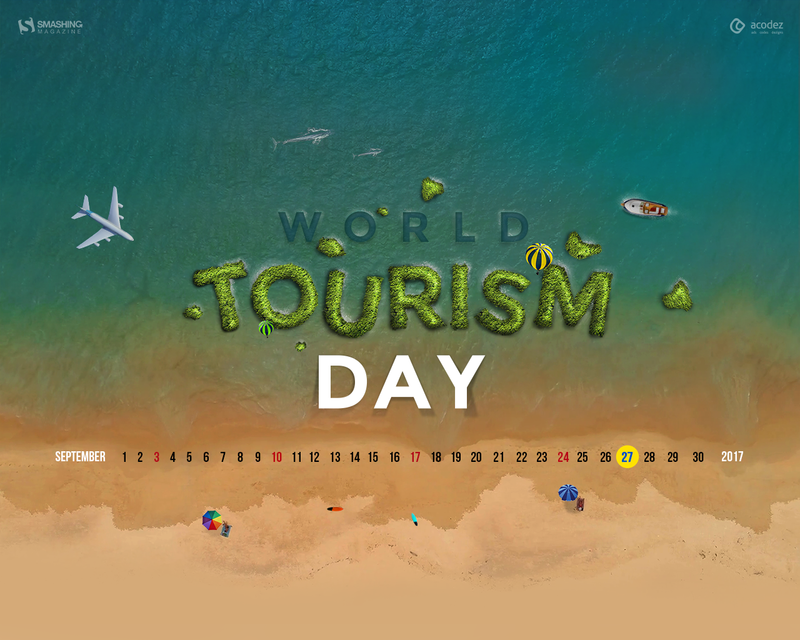 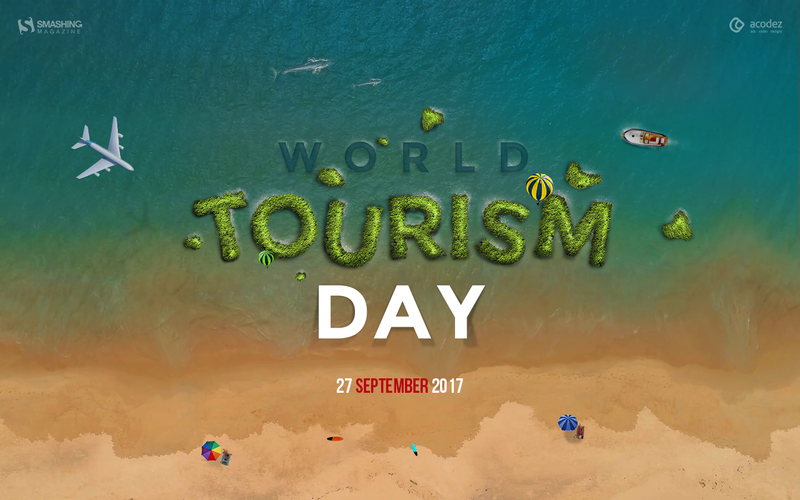 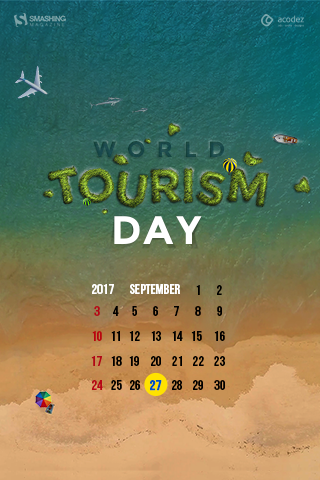 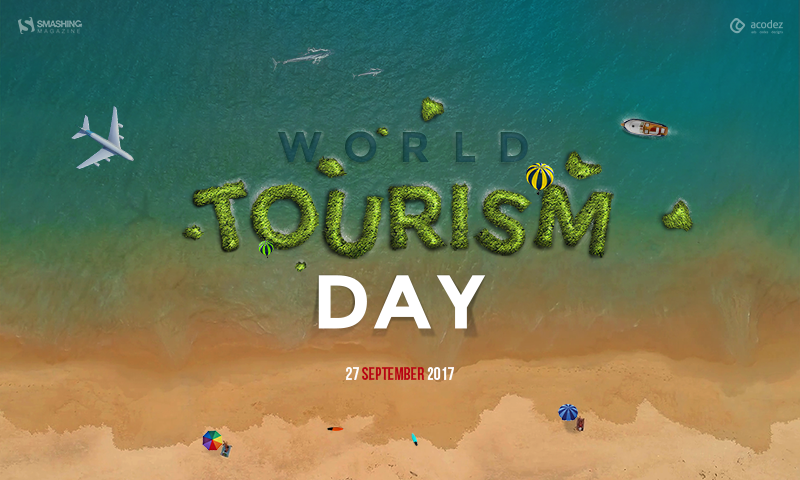 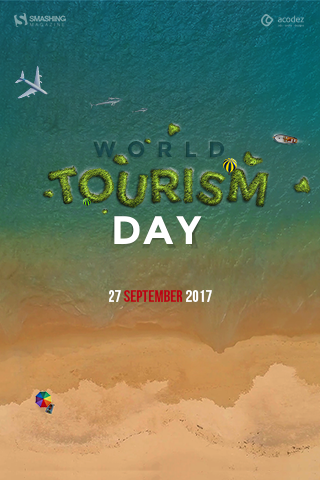 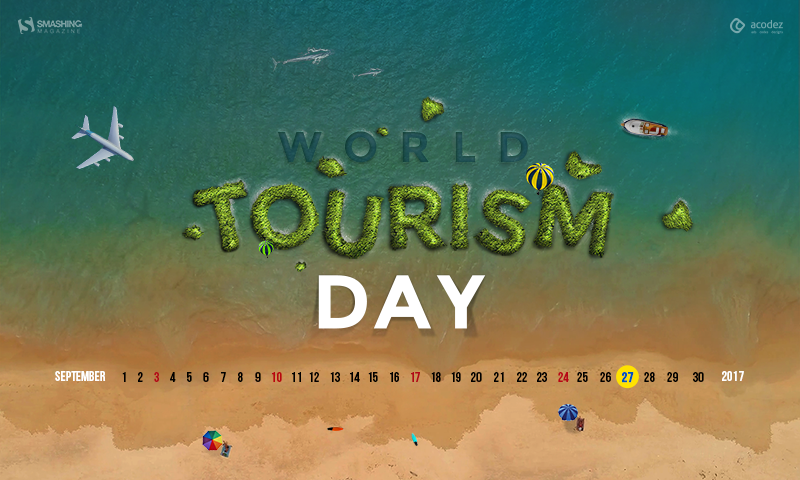 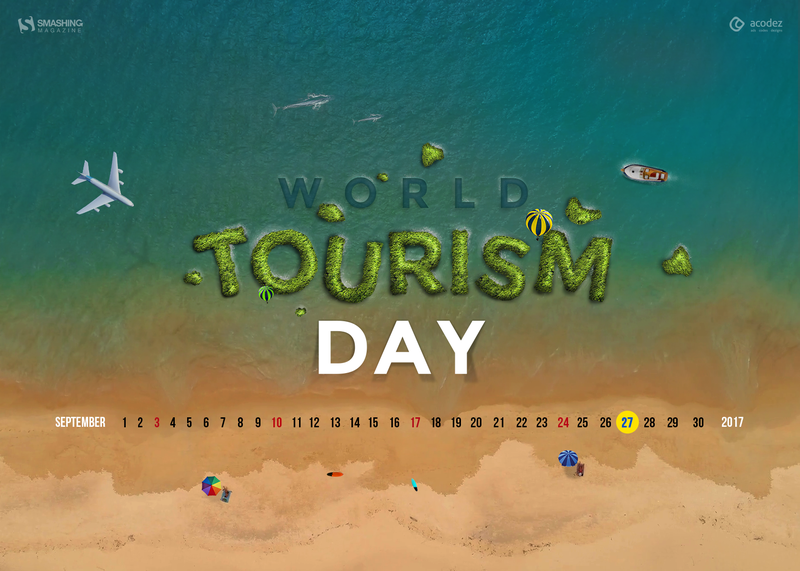 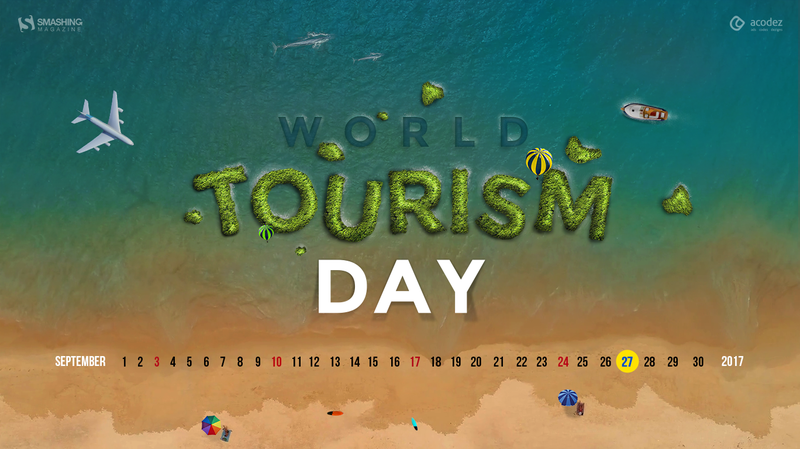 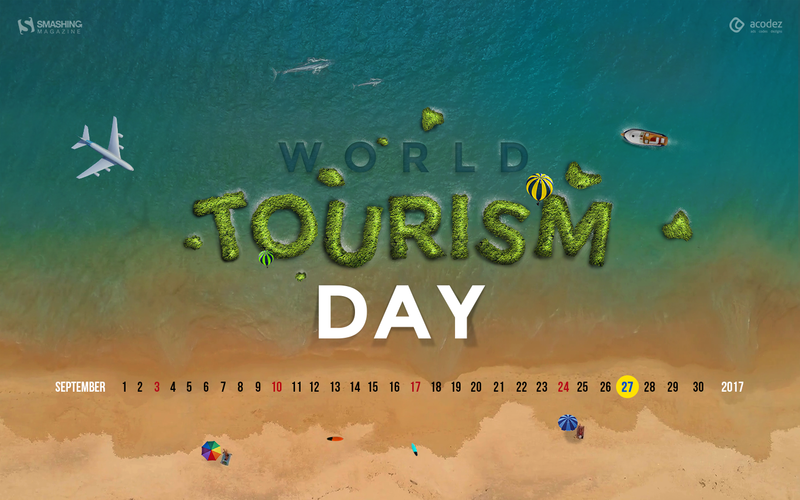 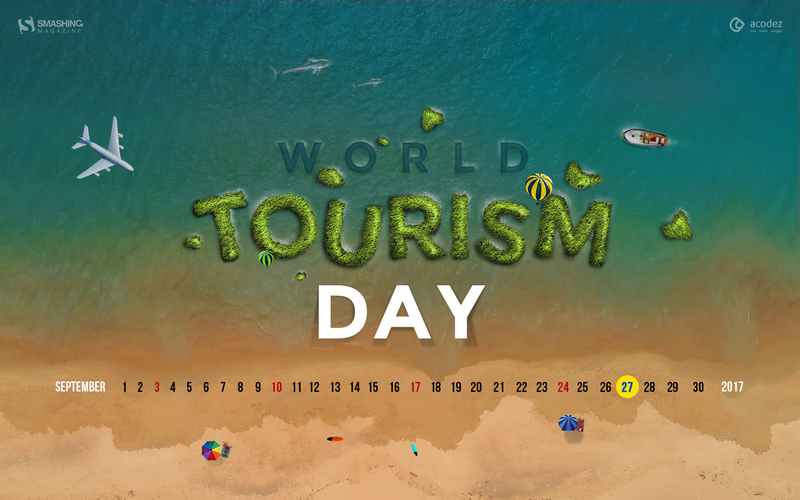 On World Tourism Day, start a new journey of your life, rejuvenate and breathe and live happily while traveling across roads you have never taken before.” — Designed by Acodez IT Solutions from India. “A touch on guitar’s strings, soft caresses on the piano’s pins, resurrecting waves of joy, of love from the heart within. 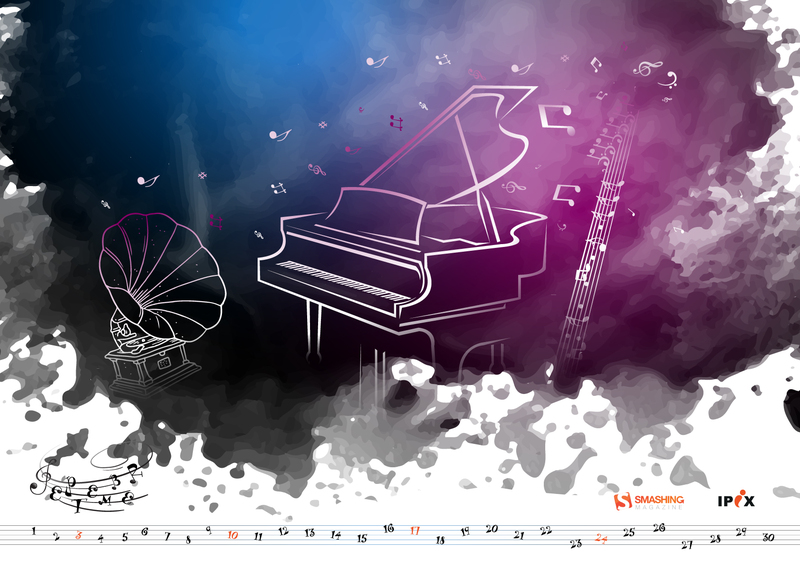 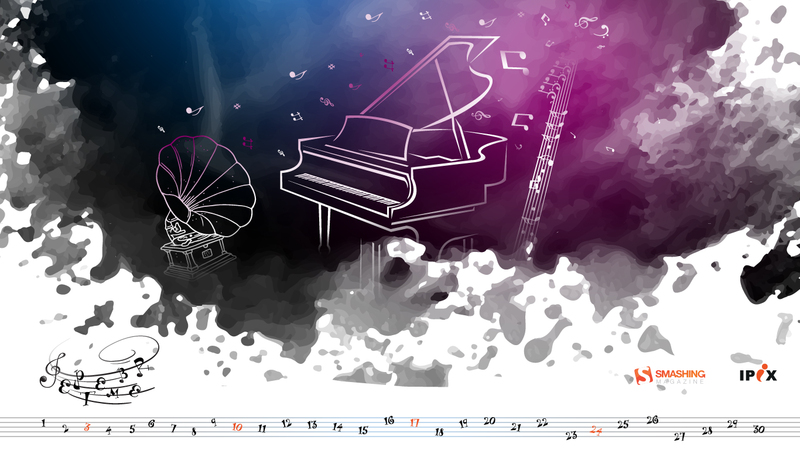 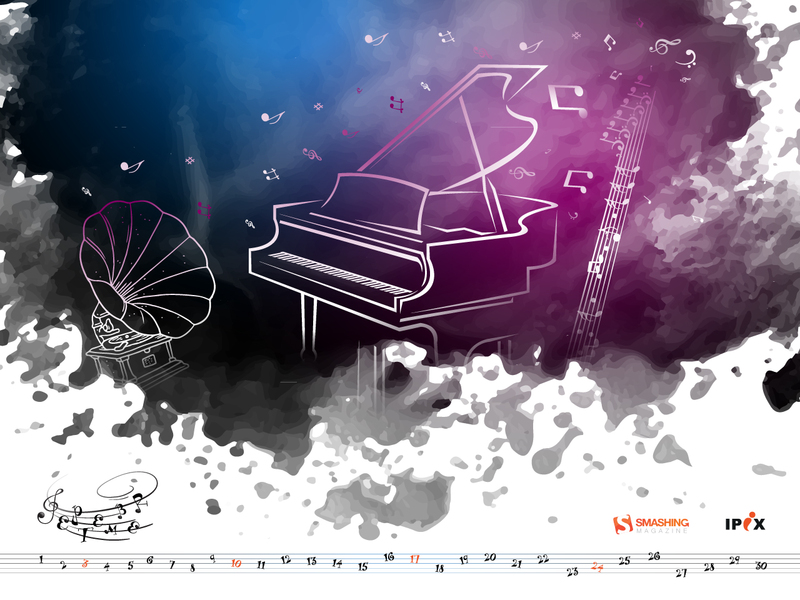 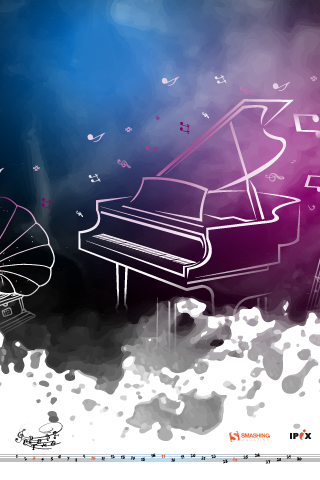 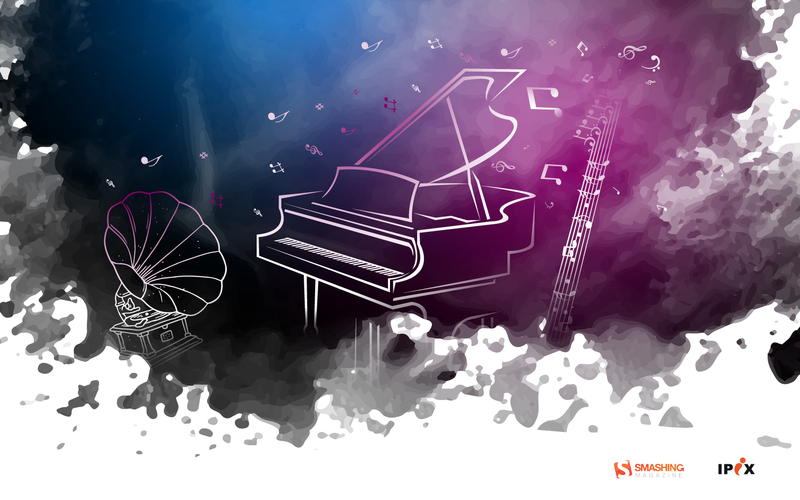 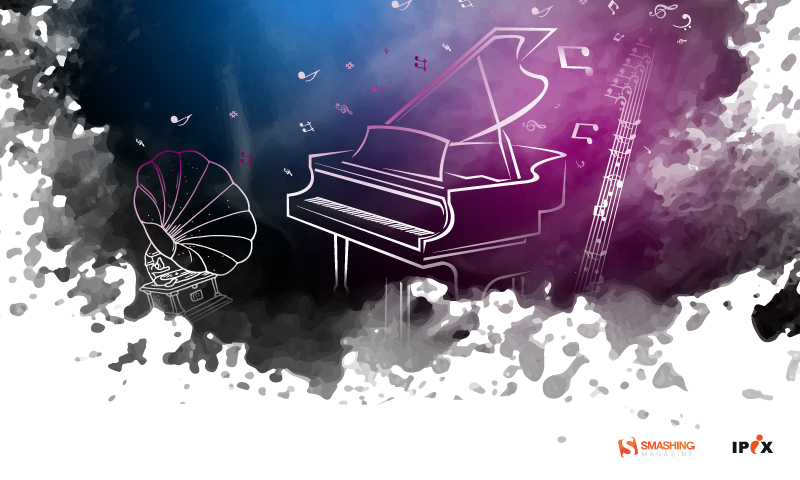 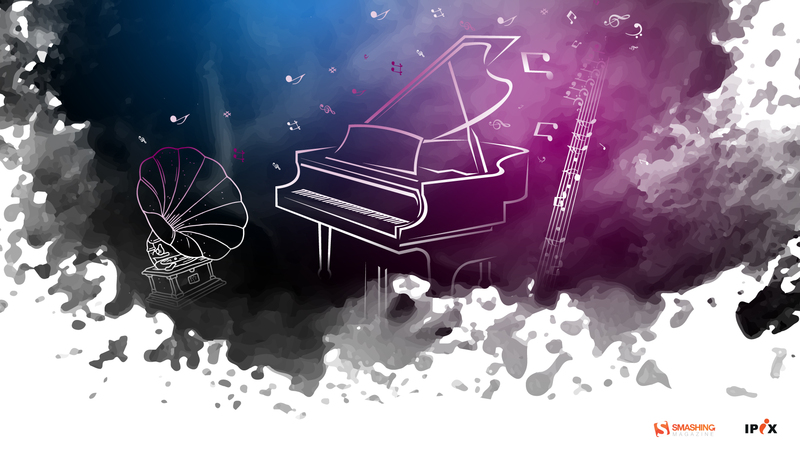 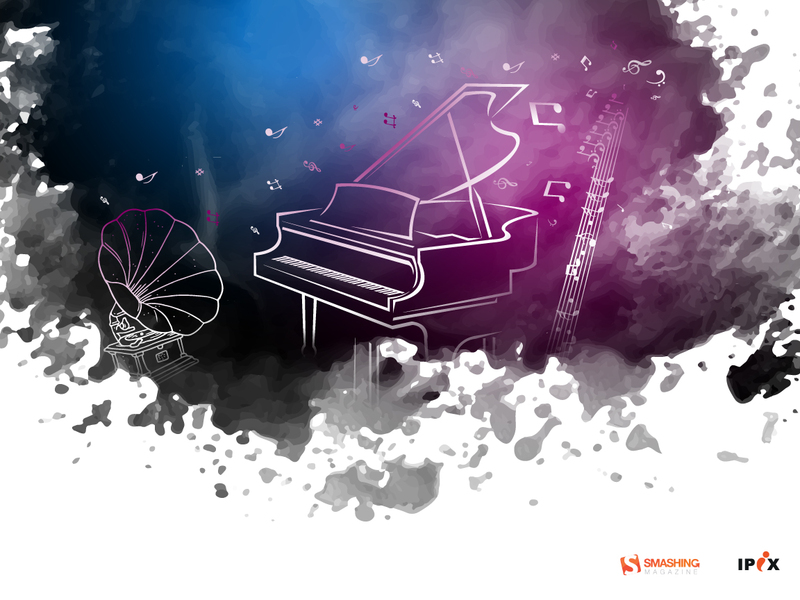 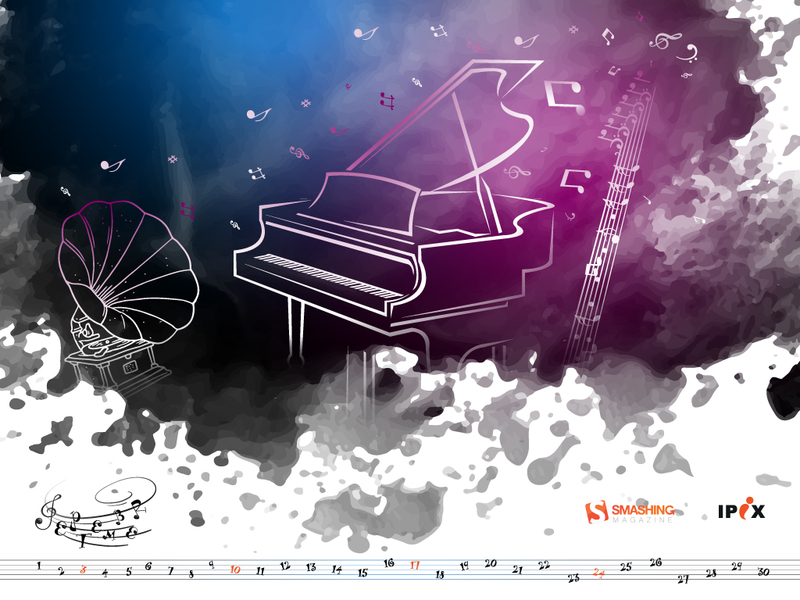 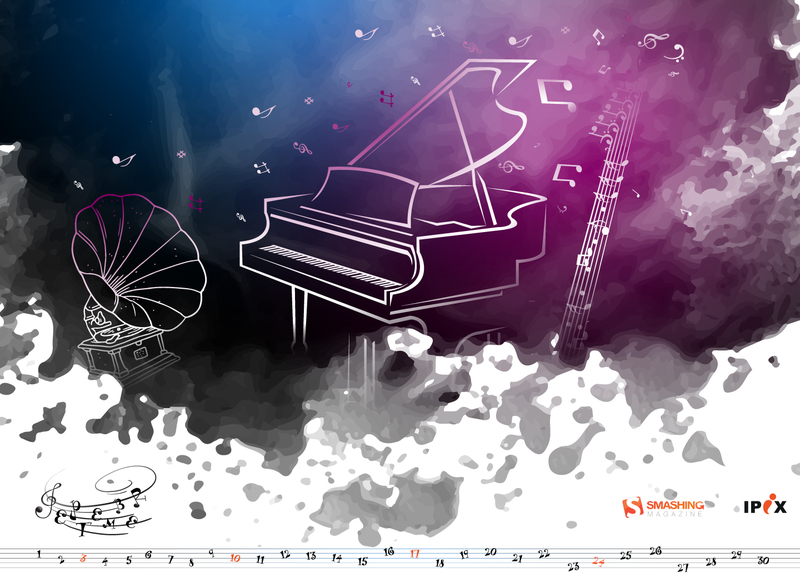 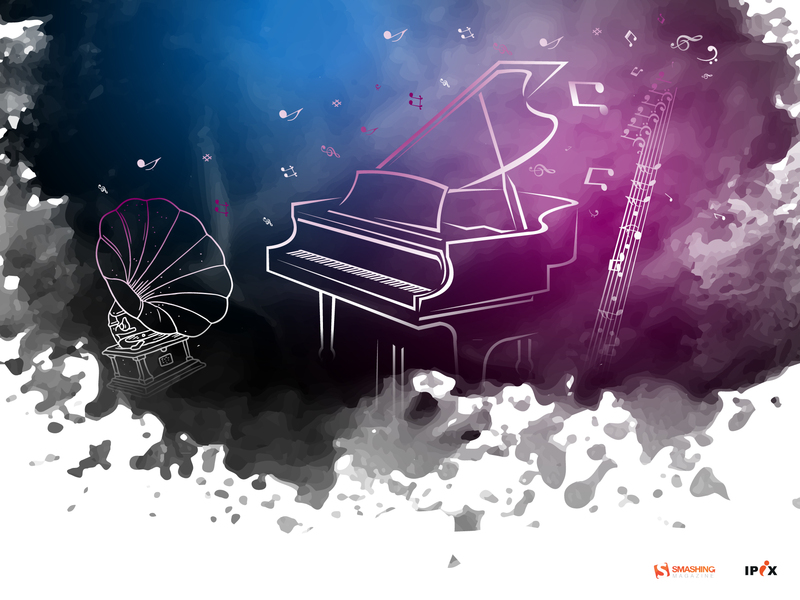 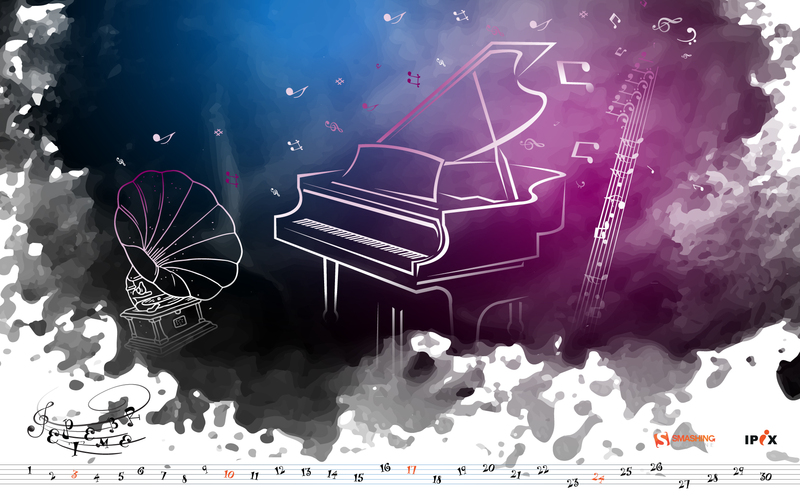 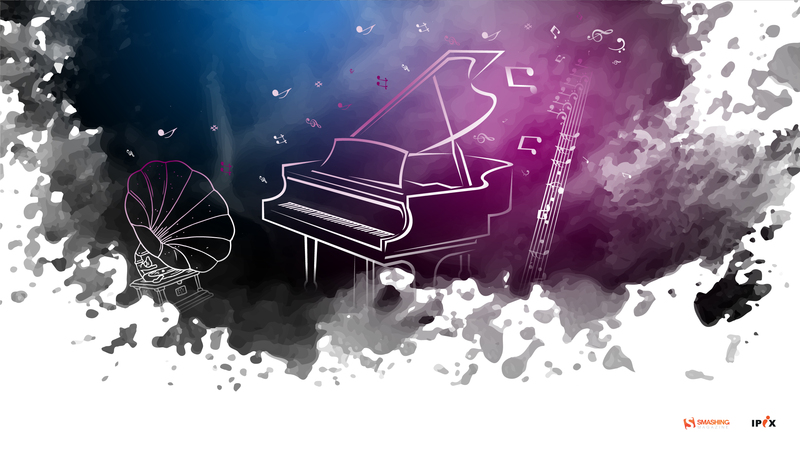 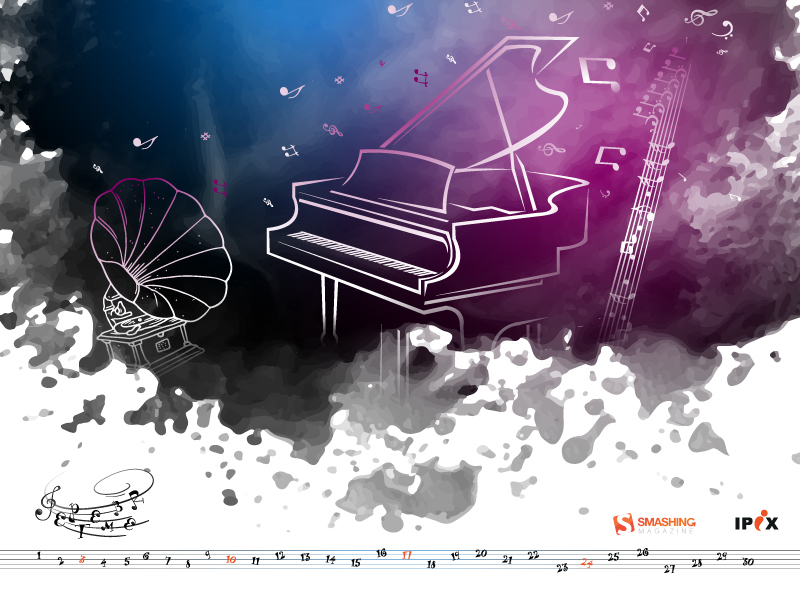 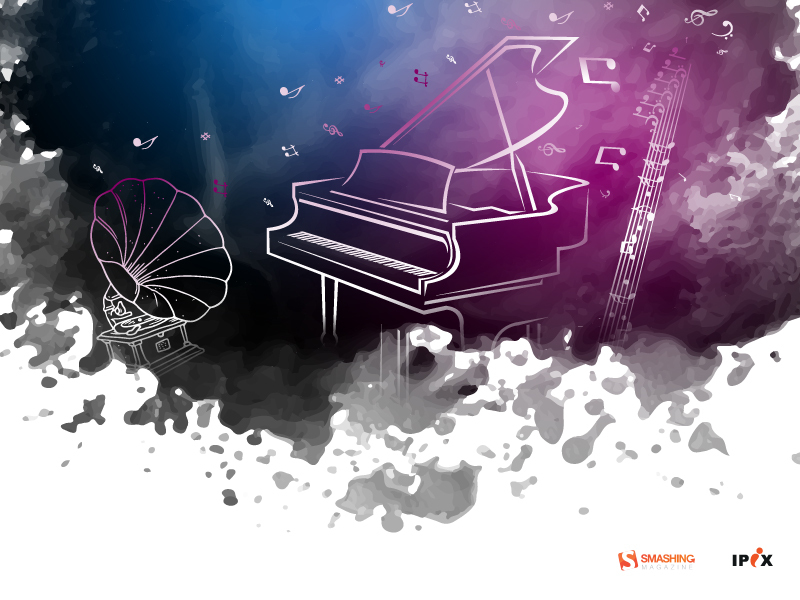 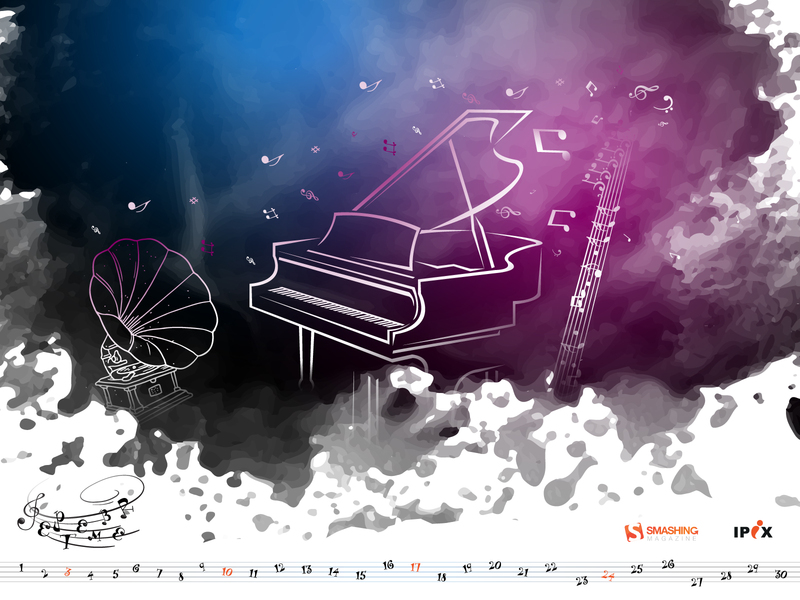 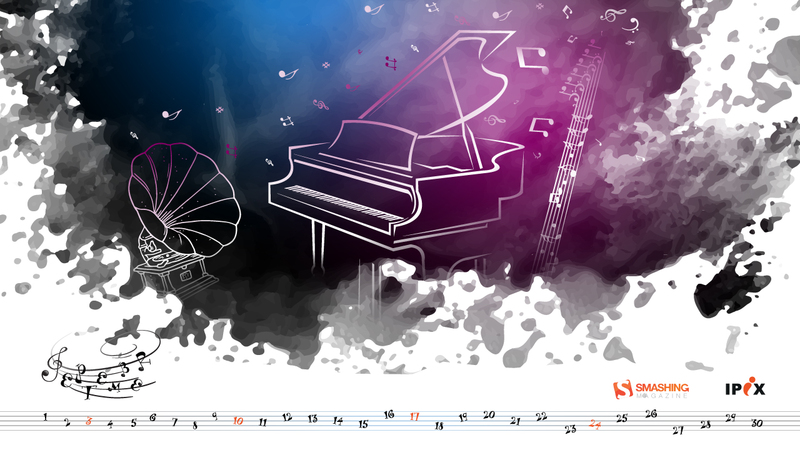 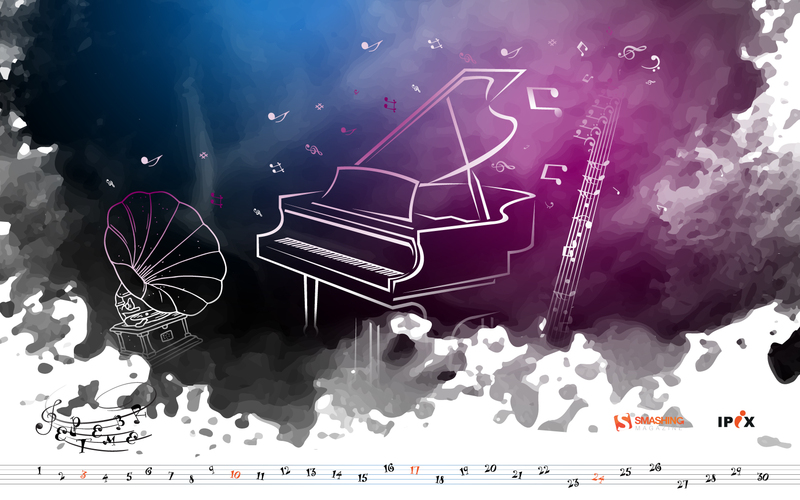 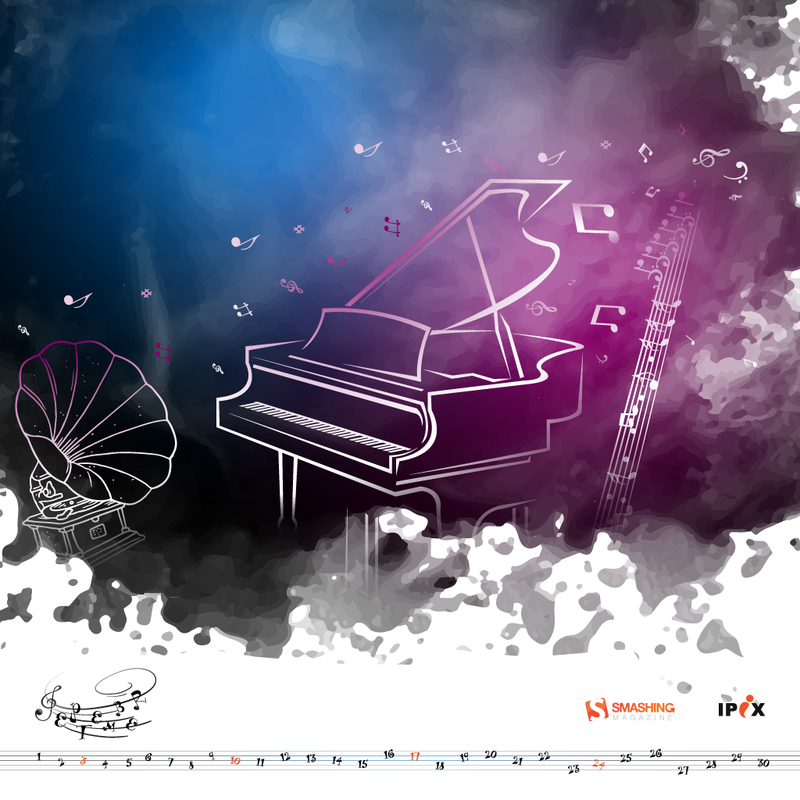 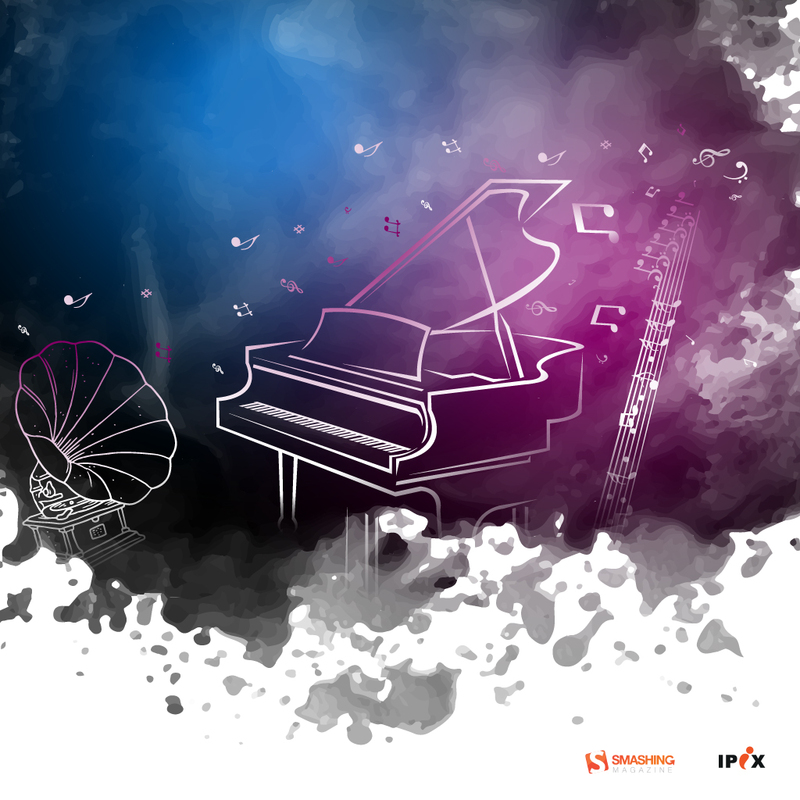 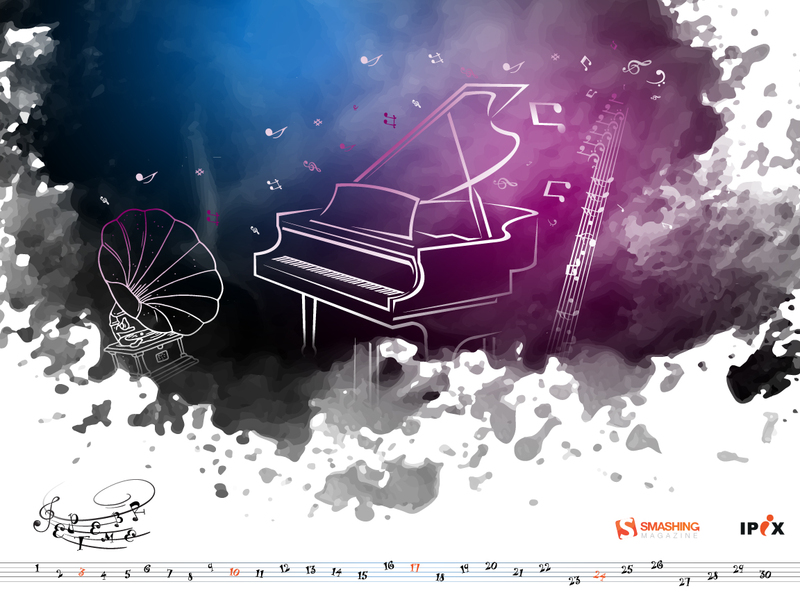 Come, let’s get immersed in the sound of music…” — Designed by IPIX Technologies from India. 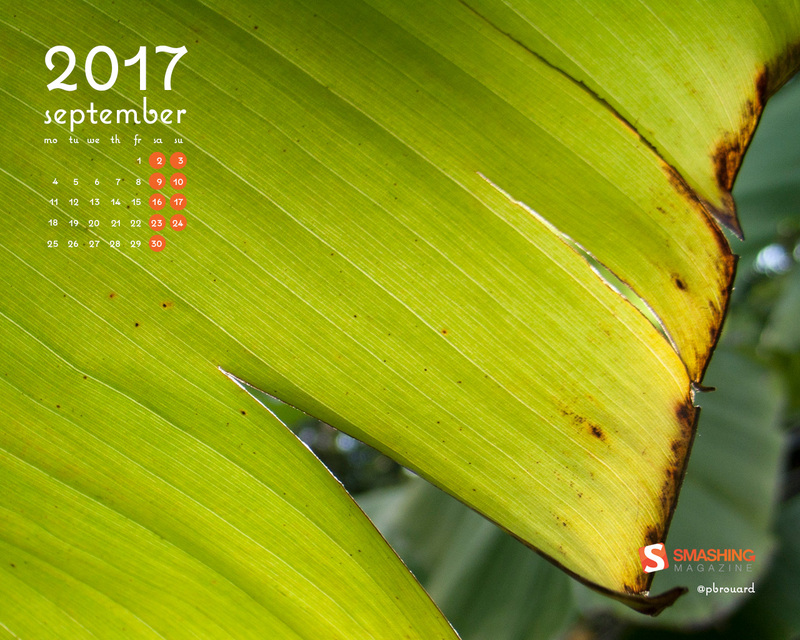 Designed by StarAdmin Bootstrap Admin Dashboard from India. “September the 13th is the birthday of legendary author, Roald Dahl. If you haven’t heard of him, where have you been? 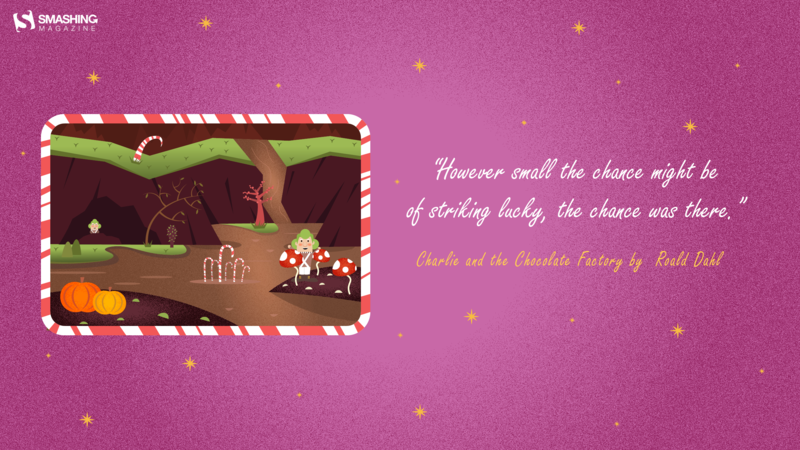 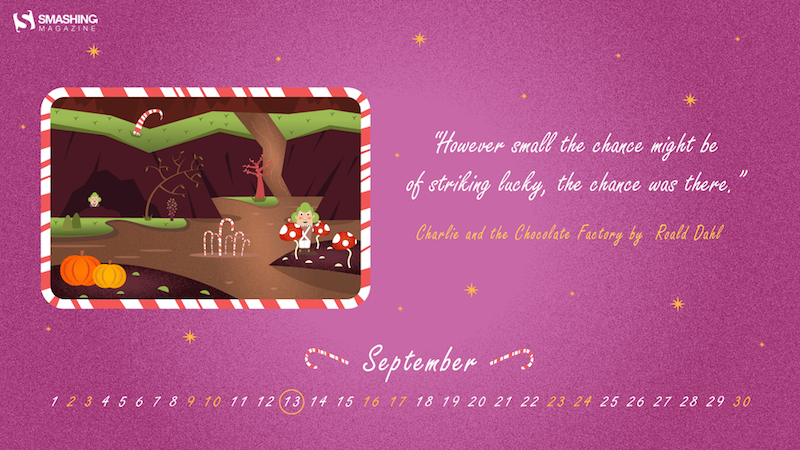 I have even included an inspirational quote from the Charlie and the Chocolate Factory book.” — Designed by Safia Begum from the United Kingdom. 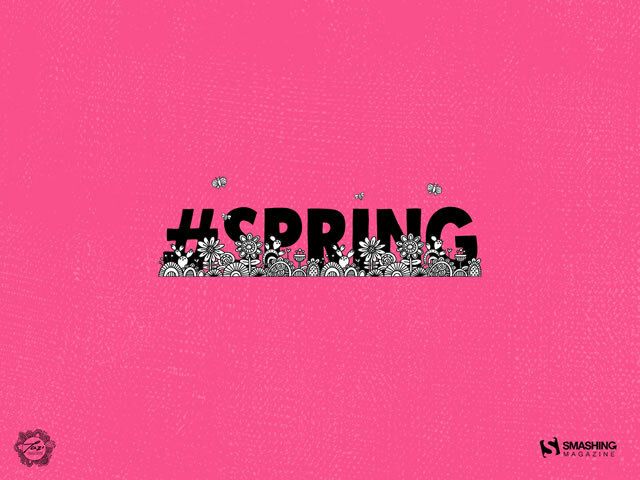 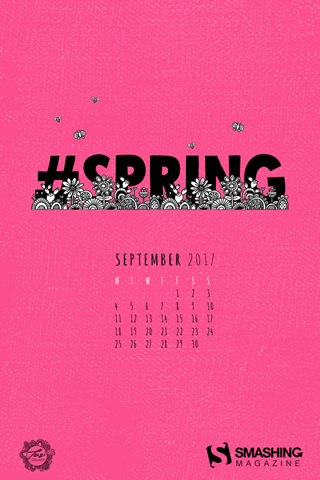 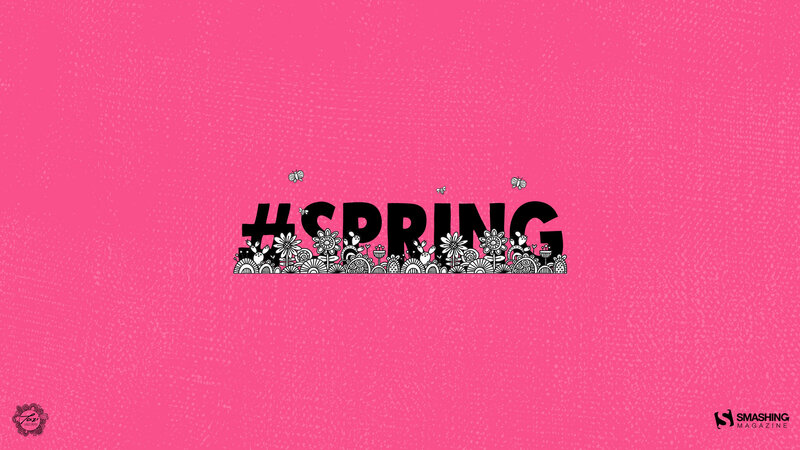 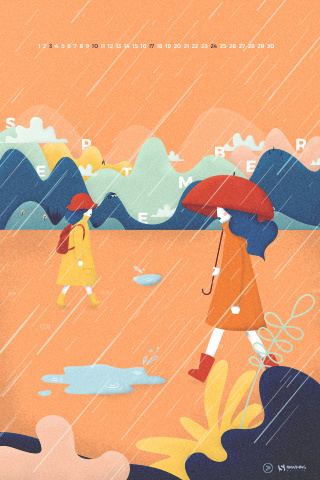 “Such a lovely time of the year in Melbourne!” — Designed by Tazi from Australia. 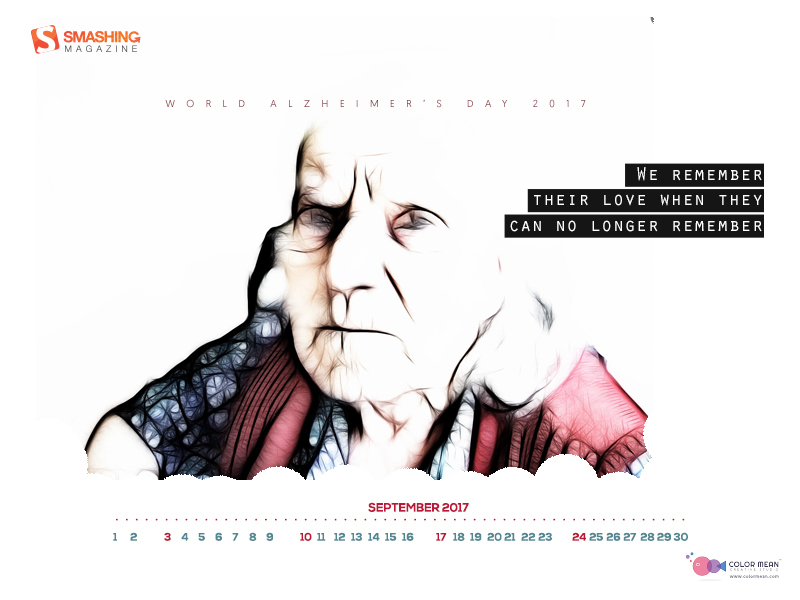 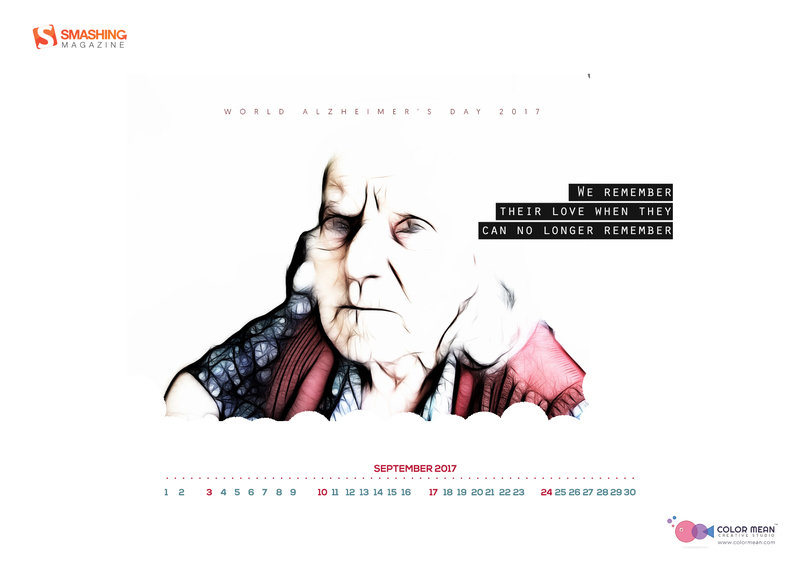 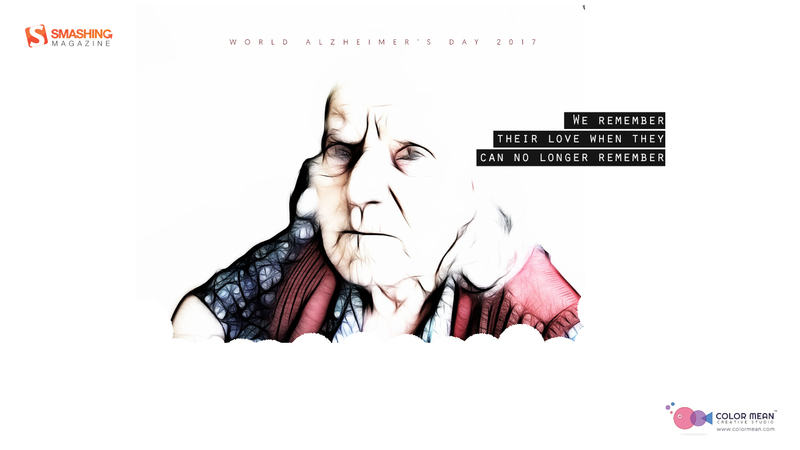 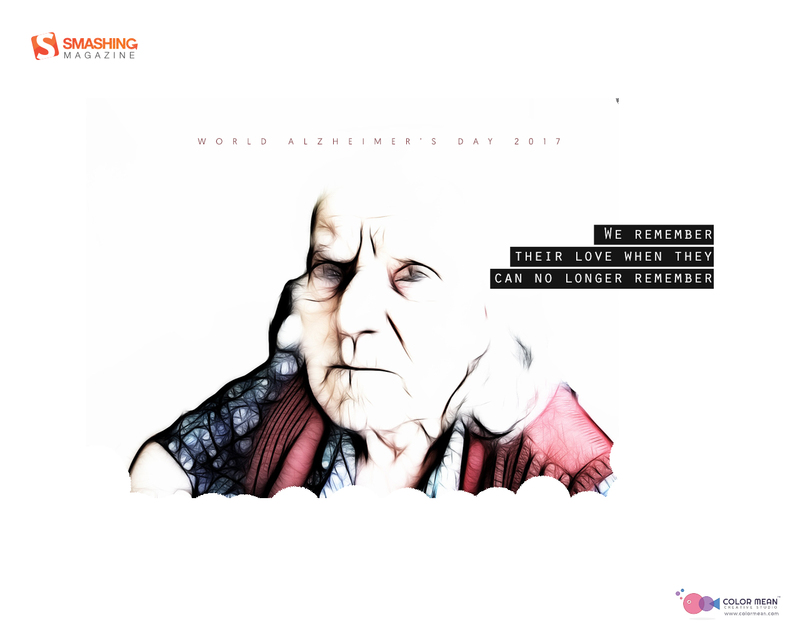 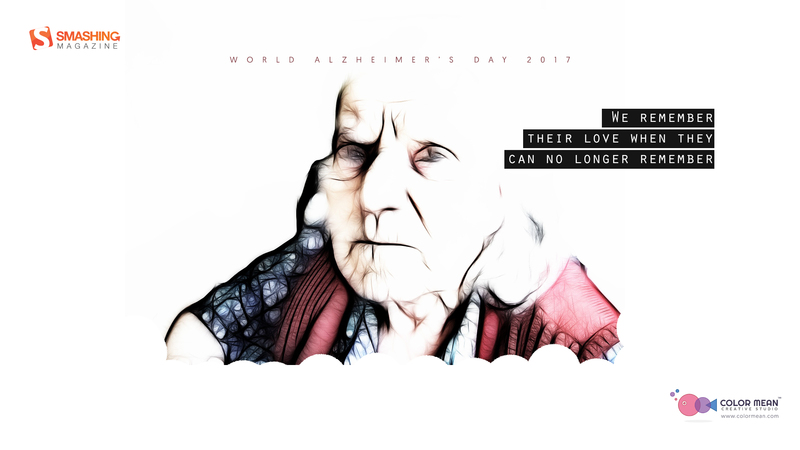 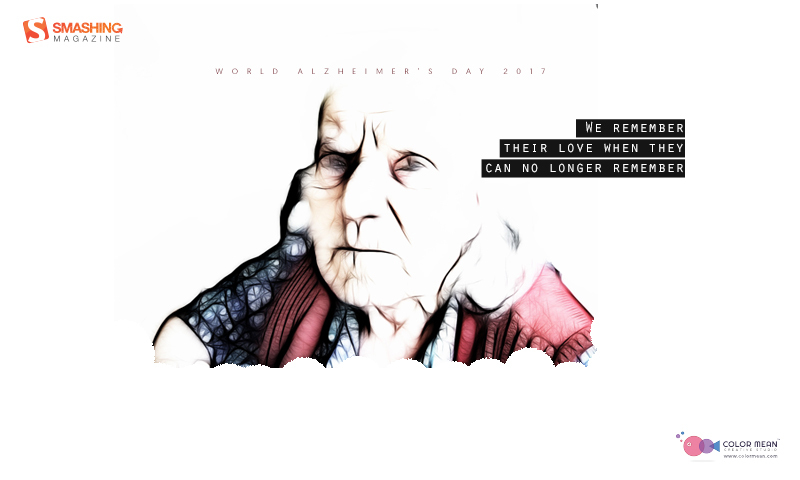 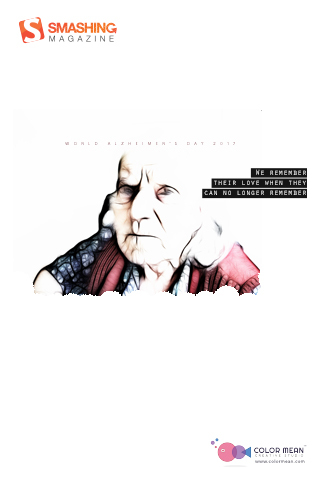 “We remember their love when they can no longer remember.” — Designed by Color Mean Creative Studio from Dubai.